That was great! 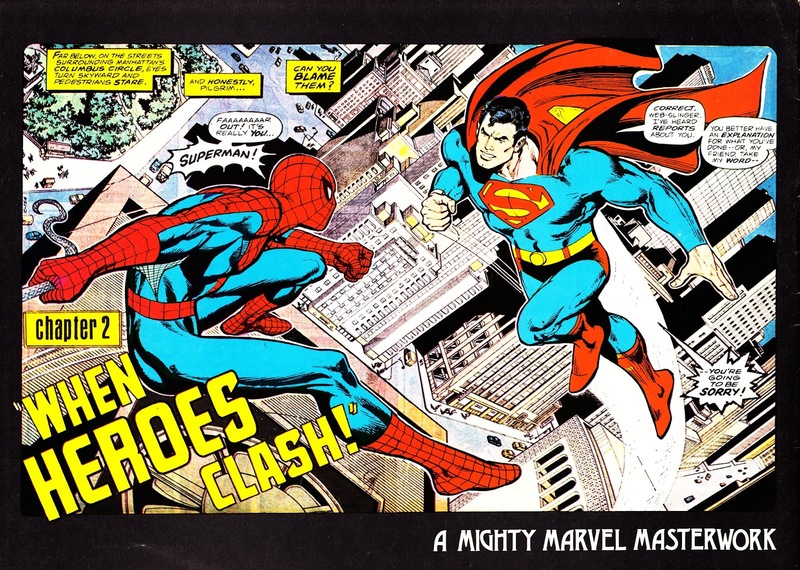 So much non-superhero stuff I had so little knowledge of. Slow, this is THE post I've been waiting for! I'm going to be on here ALL DAY! Thanks so much and well done for putting it all together!! A really good read. Thanks! 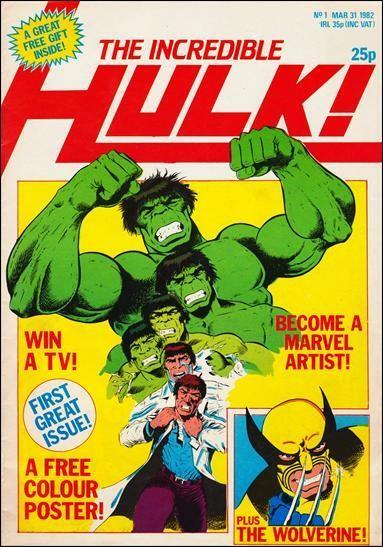 This is awesome, an obvious culmination of your labor of love and certainly welcome/appreciated/enjoyable infotainment for the Marvel-mad masses, me included! 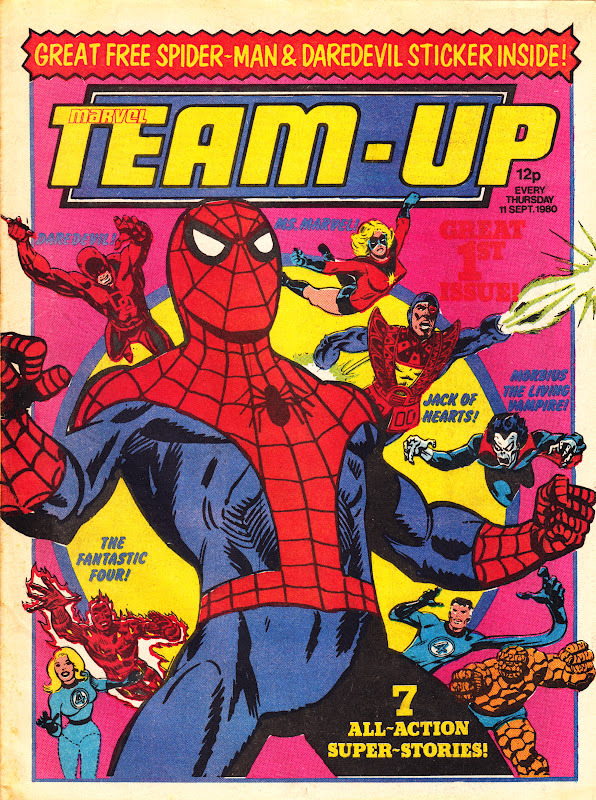 Was US Marvel Team-Up #103 (Spidey & Ant-Man vs. Taskmaster) reprinted in any UK comic(s)? Please identify which issue(s) if possible. Hmmm... I have no idea. It doesn't ring any bells but I haven't read every single (all 666!) 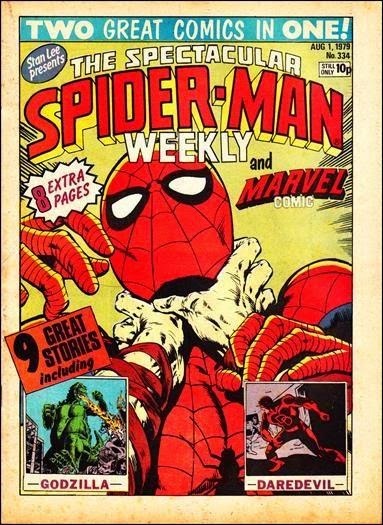 issues of the first incarnation of the Spidey weekly. 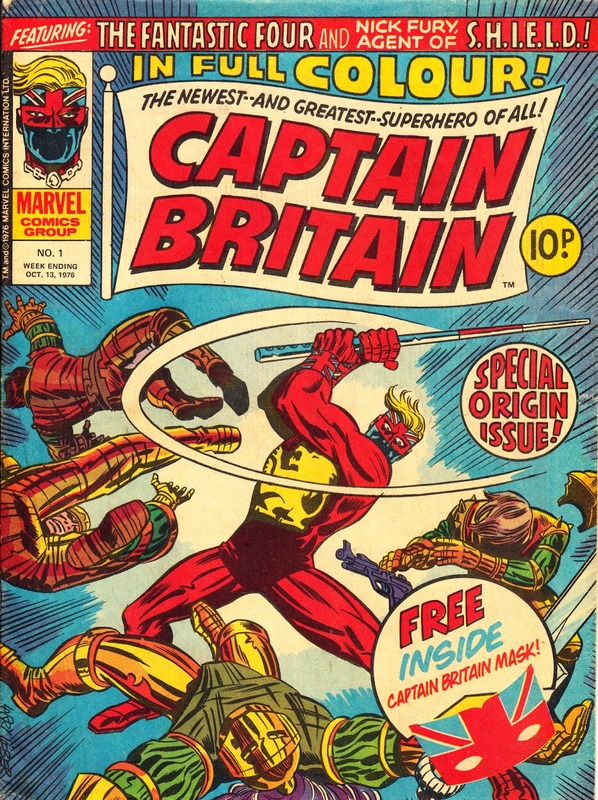 I'm pretty sure it's not part of the British TEAM-UP weekly (I've posted about that separately) which cherry-picked strips from the US run. 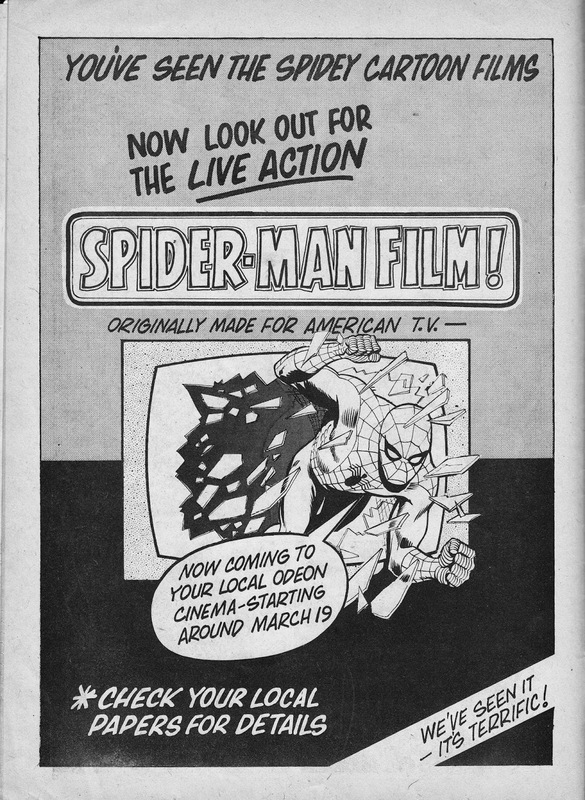 It might have appeared in the SPIDER-MAN WEEKLY, which always needed copious amounts of material... and the MTU strips were handy because they were continuity-lite and could be slotted in at any deadline crunch. 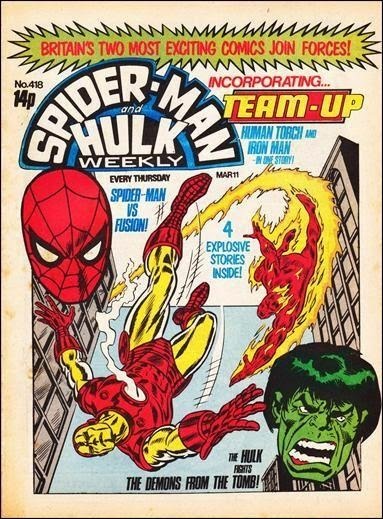 The early issues of SPIDER-MAN POCKET BOOK also ran MTU strips before they were switched to the weekly so it may have surfaced there. Maybe someone else here can shed some light? Fingers-crossed! 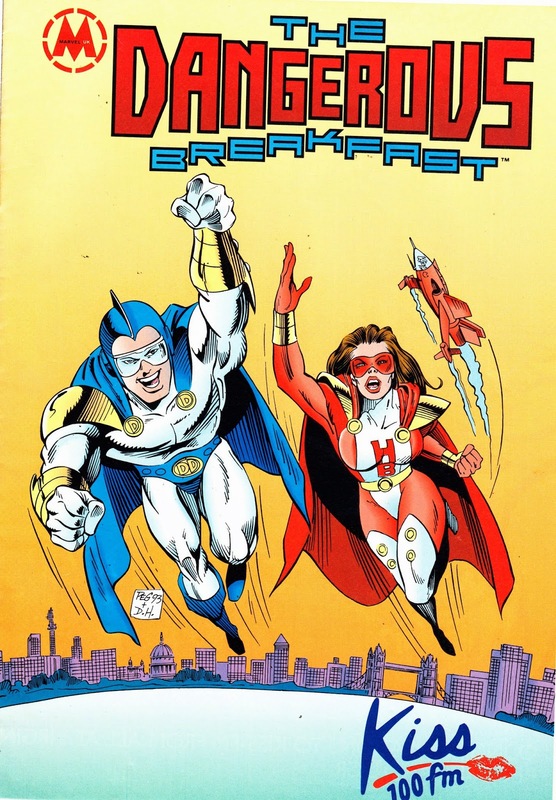 I'm also pretty sure it's not in TEAM-UP or POCKET BOOK, and I've been through quite a bit of the WEEKLY and am fairly convinced the US #103 Ant-Man/Taskmaster story was never used. I'll continue to hope someone more familiar can confirm. Any interest in adding QUESTPROBE to your timeline above? 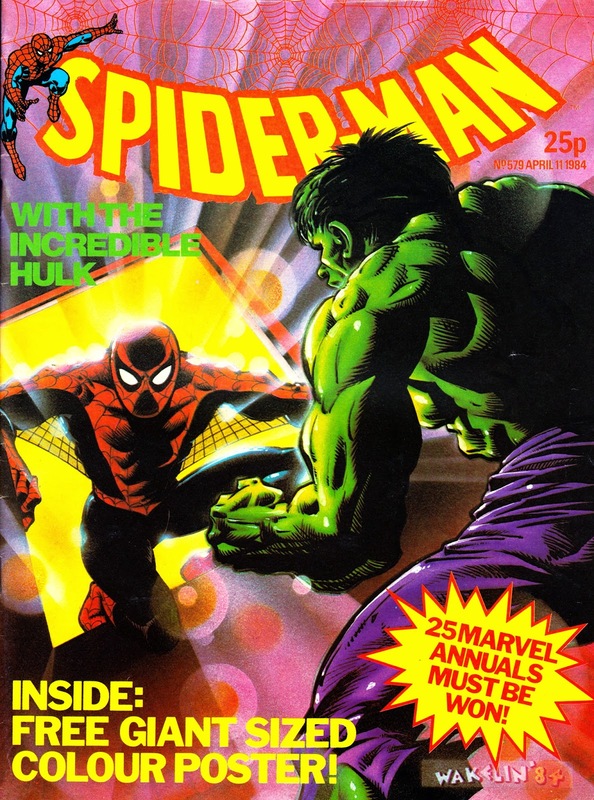 I know of No.1 (cover 60p June 1984) and No.2 (no month date) printed by Marvel UK. 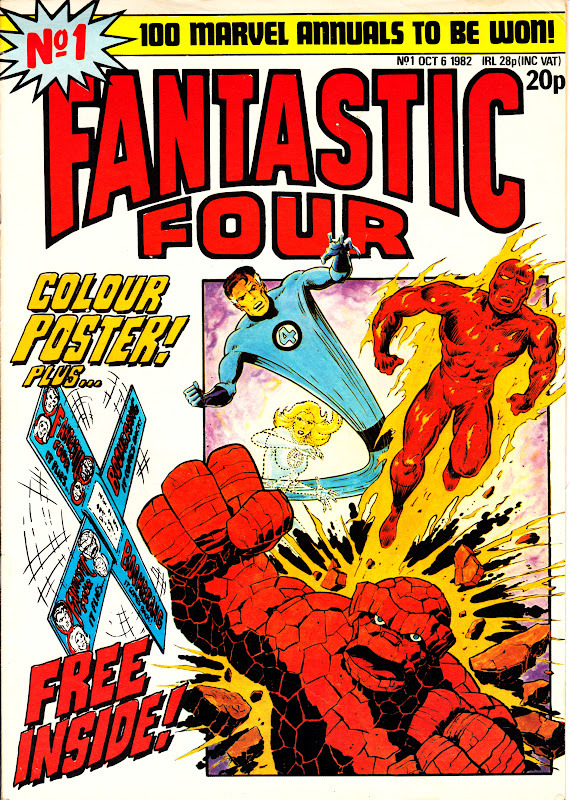 At the end of No.2 it says "Next (issue): The Fantastic Four! 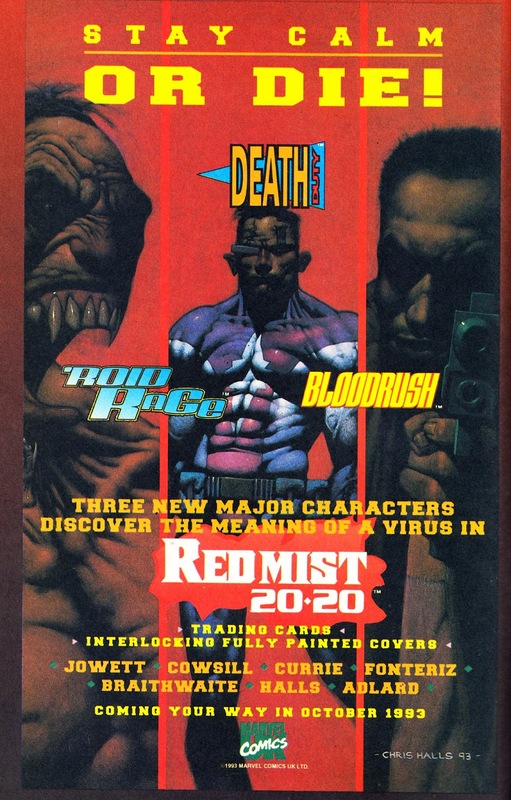 "; a #3 was printed in the US, but then the intended 12-issue maxi-series was cancelled due to the video game company it tied into going bankrupt. Oh, whoops, I should've searched your blog for "questprobe" before I typed the above, but now I see that you posted about it before as a 1-shot special and you mentioned above that you weren't trying to include all specials here. 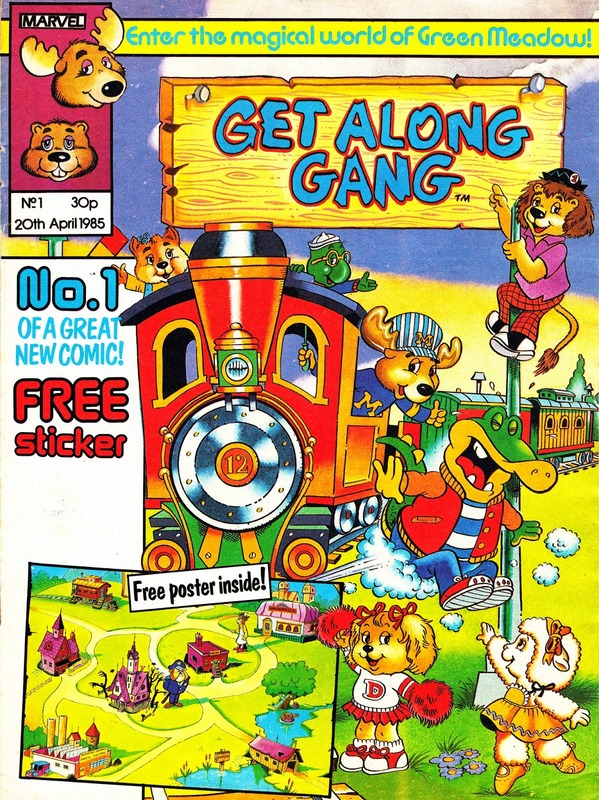 Maybe it helps you to know now that there was a No.2 UK version, and they evidently intended to follow through with the whole series. 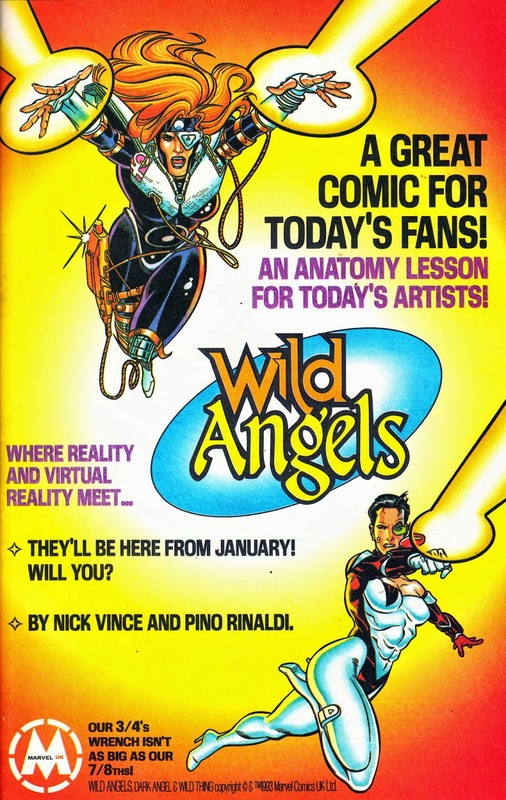 I'll send you a scan of the cover & indicia when I get around to the other stuff, if you're interested. Oooo! Another discovery! Good find! Thank you. Yes please for the scan! 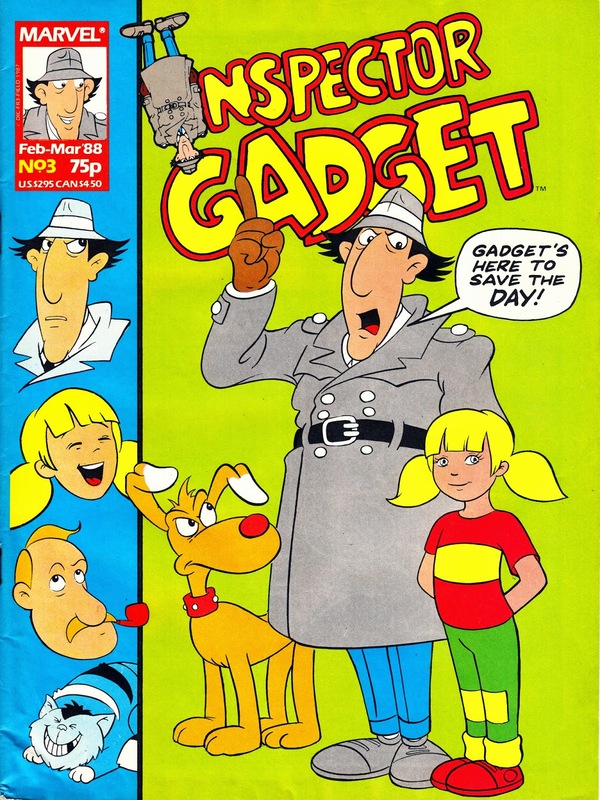 The QUESTPROBE tie-ins got little or no promotion in the rest of the line so I had no idea they'd done a second one. Excellent overview of the MUK catalog. 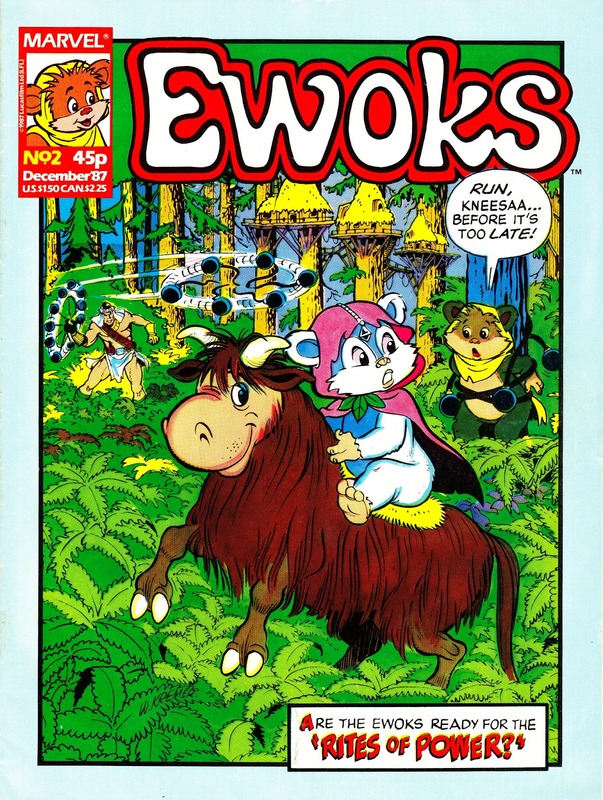 I was pretty certain there were more licenced titles than that, though there were probably just more strips squirrelled away in the back of books like Return of the Jedi rather than headlining their own titles. 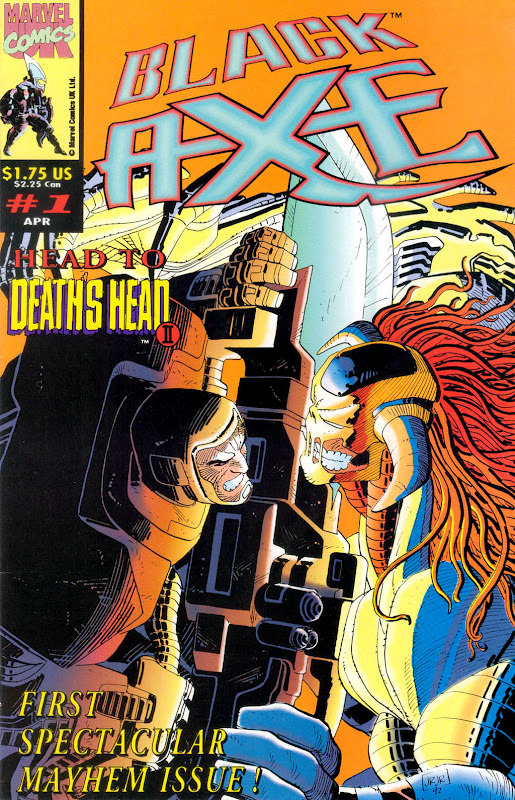 Am I remembering wrong, or was there a Death's Head Gold #0 issue, too? 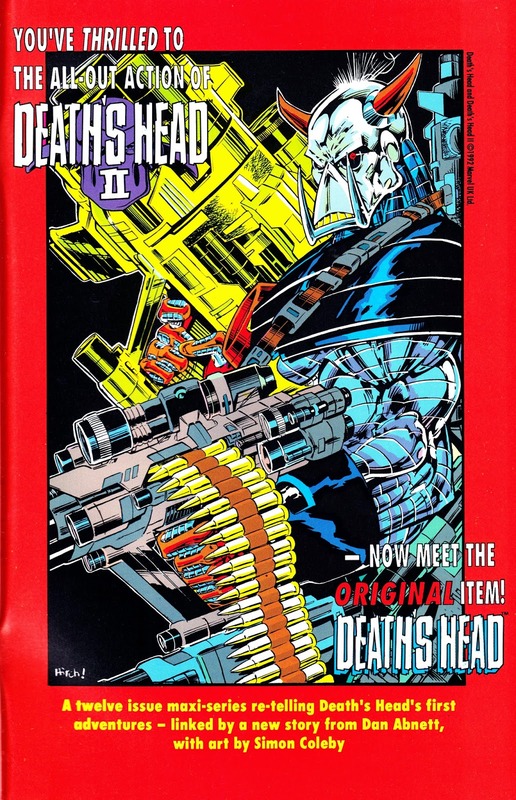 DEATH'S HEAD II GOLD issue 0 is an interesting one. 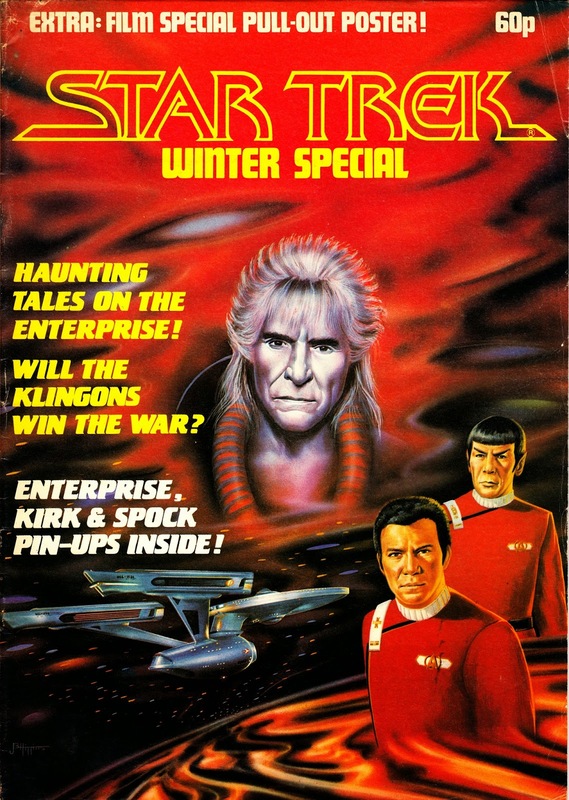 I've seen it listed as a standalone several times (and, indeed, an early post here on STARLOGGED, reflects that) but I've never seen a copy... and I'm not convinced it exists. 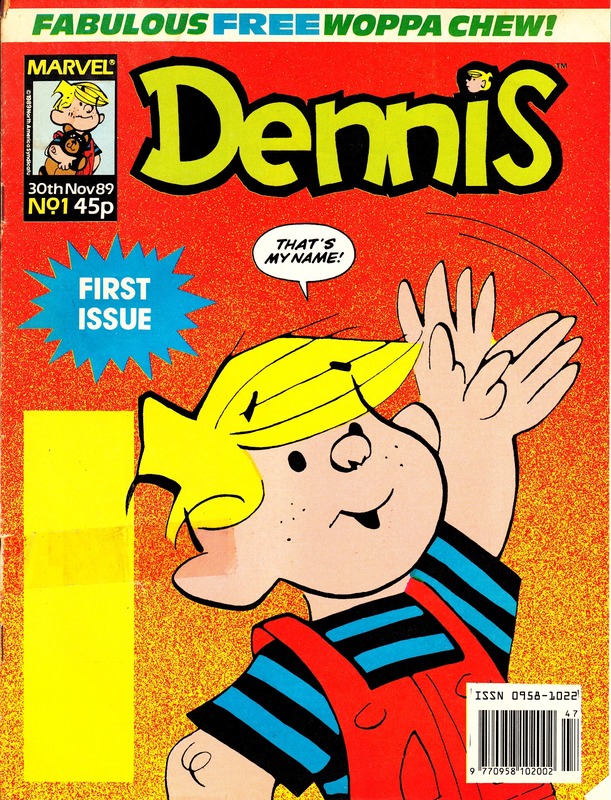 Issue 14 of the ongoing DHII title was a flip-book with GOLD zero on the reverse. 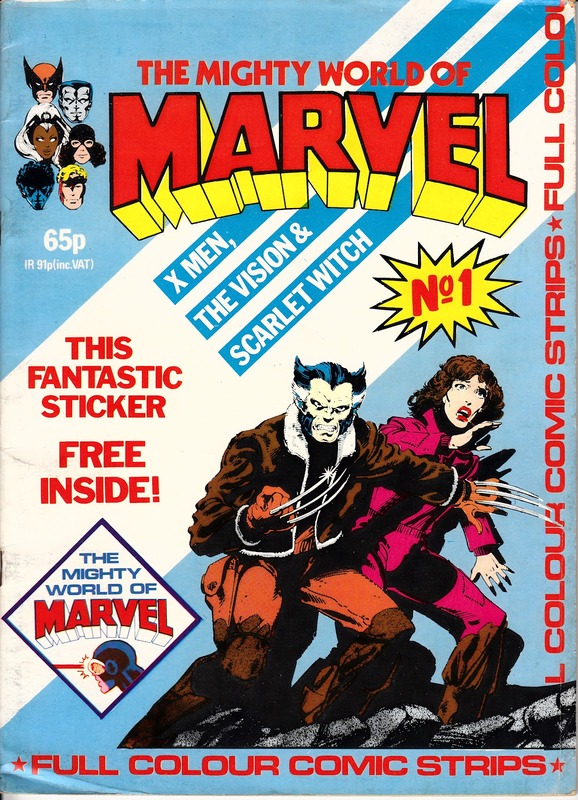 It's possible it was also issued as a standalone (possibly as a promotional item) but I suspect it's a Mighty Marvel Urban Myth. Slow, didn't spot Thomas the tank engine & friends! I'm in the middle of compiling my own list. Once I finish it, I'll send you everything missing from this post! Thanks for the heads-up for the omissions. THOMAS THE TANK ENGINE is now listed. 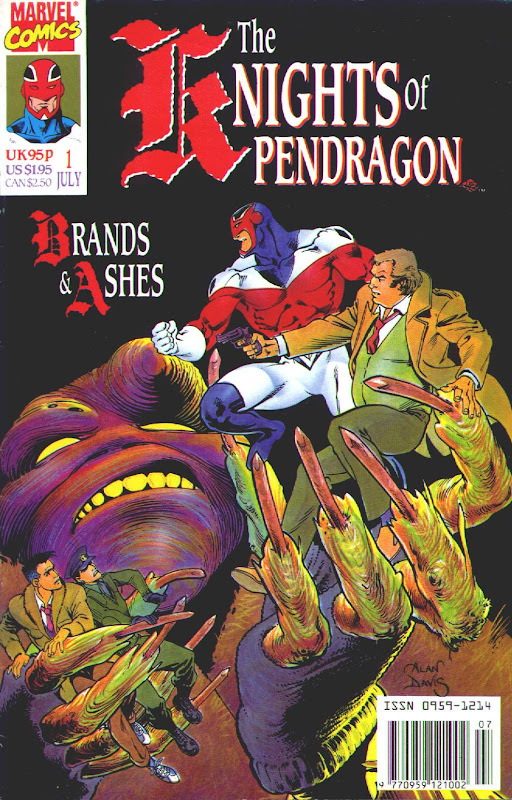 I wasn't sure if that had launched in the M-UK era or after the creation of Redan Publishing. 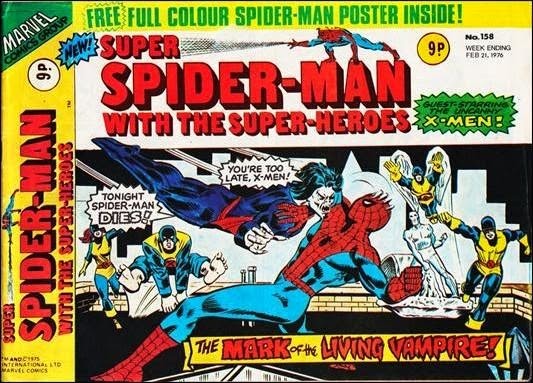 A quick bit of Googling confirms it happened in "Marvel Time". 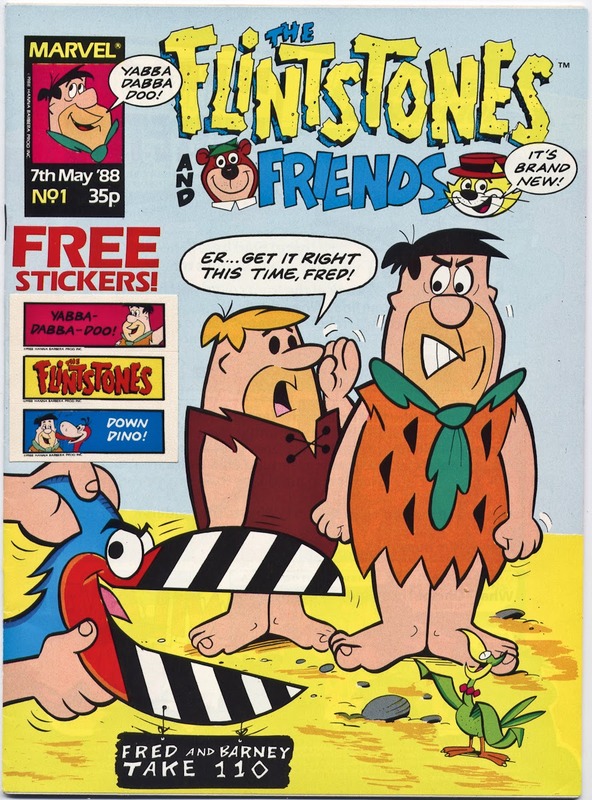 Is FLINTSTONES AND FRIENDS the same as CARTOON TIME (1989)? 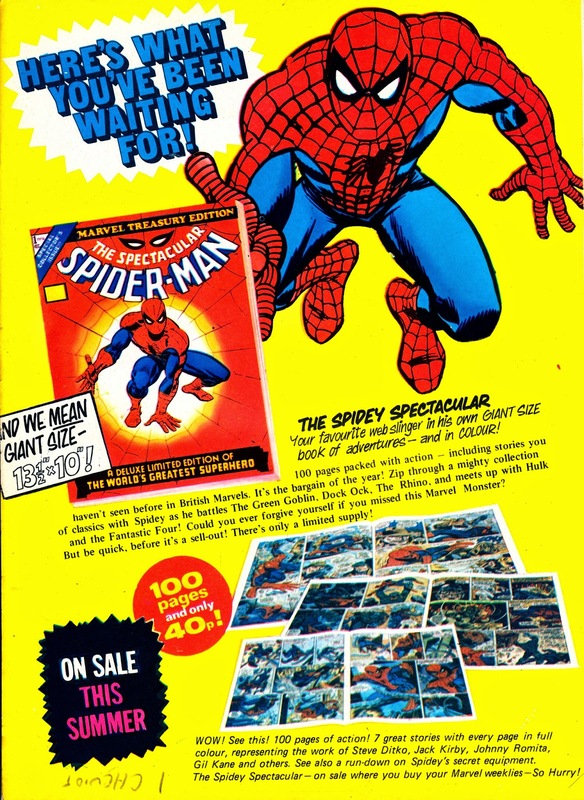 That's now listed (complete with launch ad). 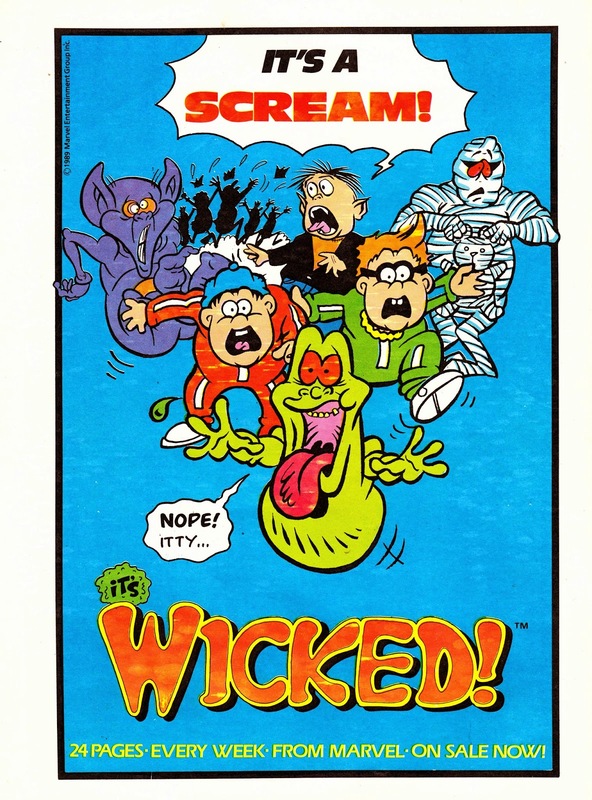 Did M-UK ever publish a regular DUCKULA title? 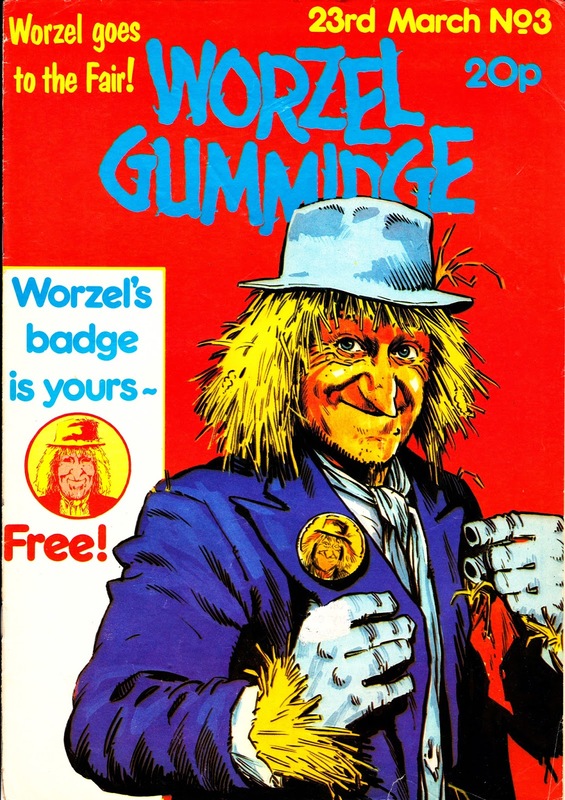 I'm aware of a one-shot (which, I think, reprinted US material) but that (strictly) falls outside the remit of this guide. 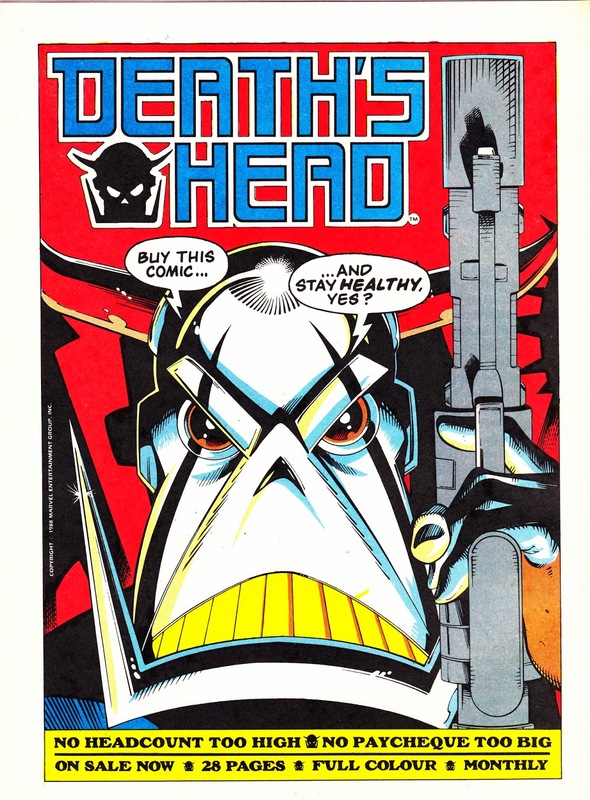 There was an ongoing Duckula comic from an outfit called Celebrity (and, of course, the LOOK-IN strips too). 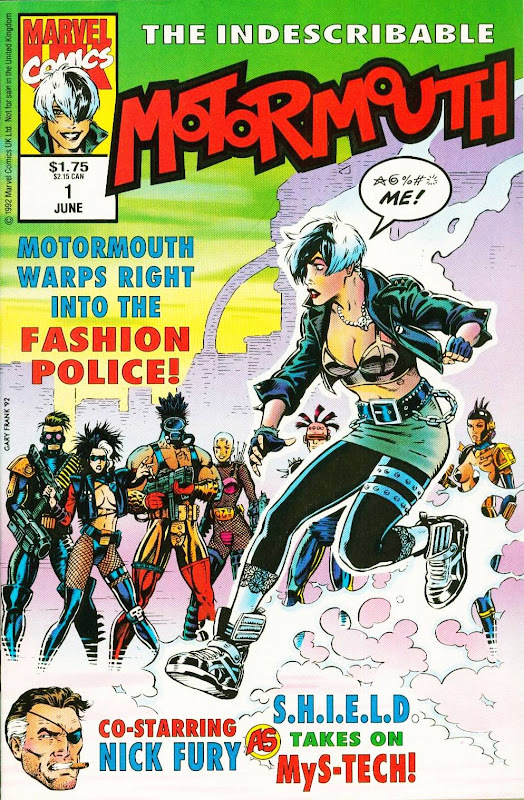 KIM, from the early eighties, is an enigma to me. I've never seen a copy (I guess I wasn't looking!) or even a House Ad. It's a M-UK landmark because it was the first weekly pitched specifically at girls... but I don't know anything else about it. 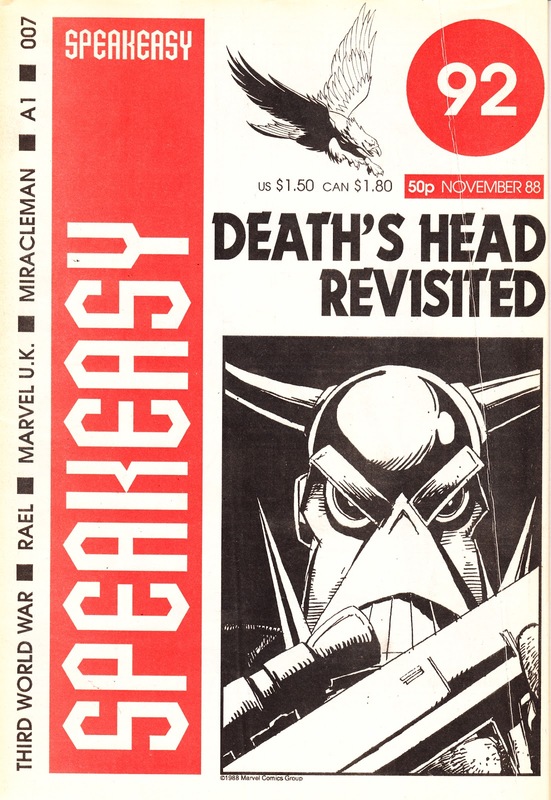 I've also included a few more scans which you may find useful. Thanks Darren. You are brilliant! 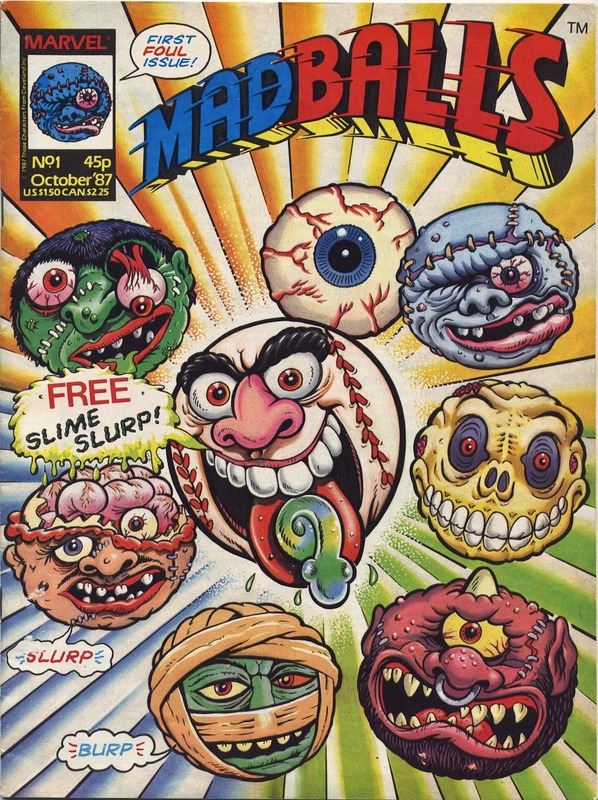 A couple of those (ACTION FORCE and MADBALLS) do reside in a box somewhere... 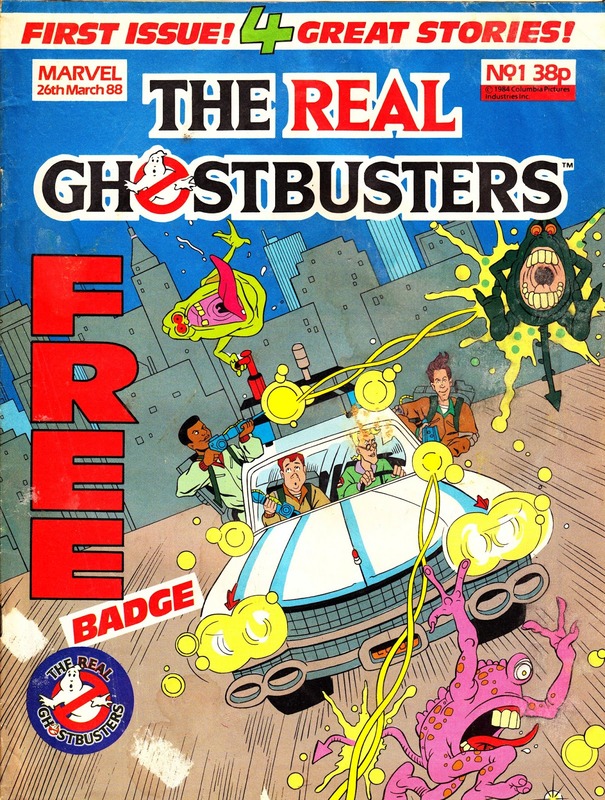 I've just never got around to scanning them. 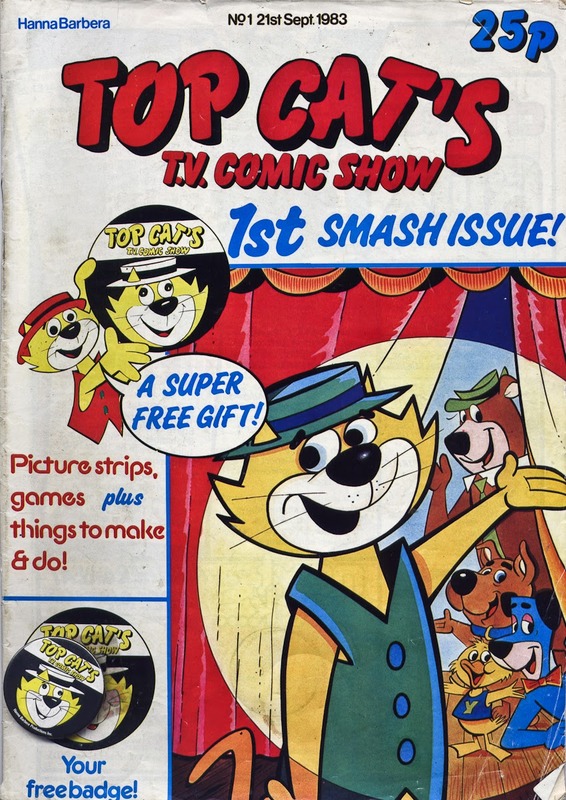 But the TOP CAT and FLINTSTONES ones are AWOL from my collection so they are brilliant additions to the page. Great to have you stopping by. Apologies for the lack of FARTHING WOOD. 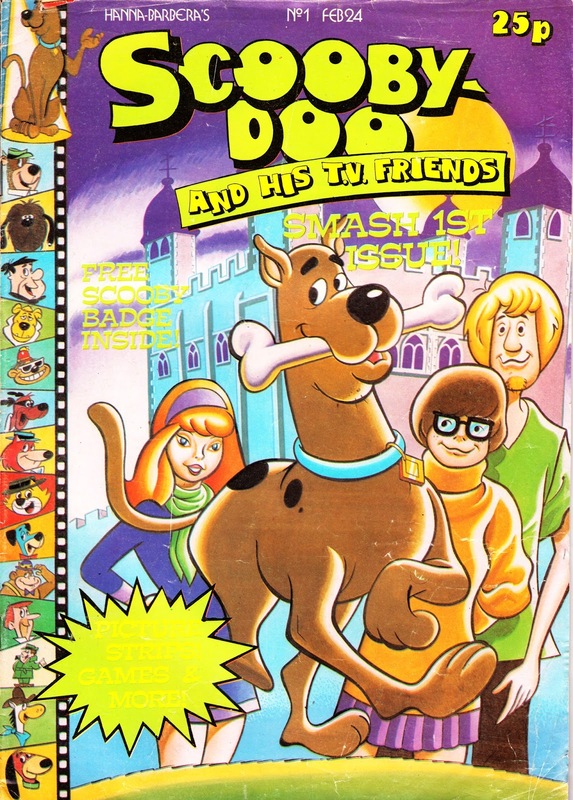 I vaguely remember the show on CBBC (although I'm not sure I ever saw it) but I had no idea that Marvel had licensed it. If you have some more information, I'll happily add it. 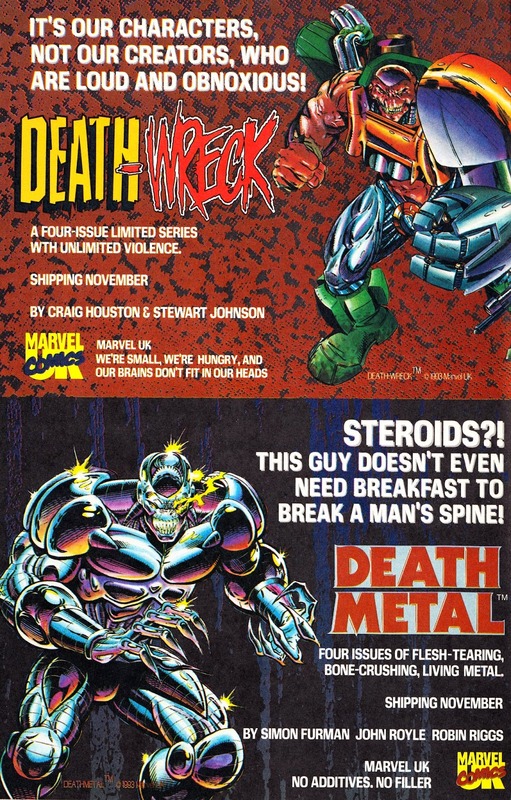 There are some quite substantial gaps between launches in the 1990s so I suspect that I've missed a bunch of licensed titles. 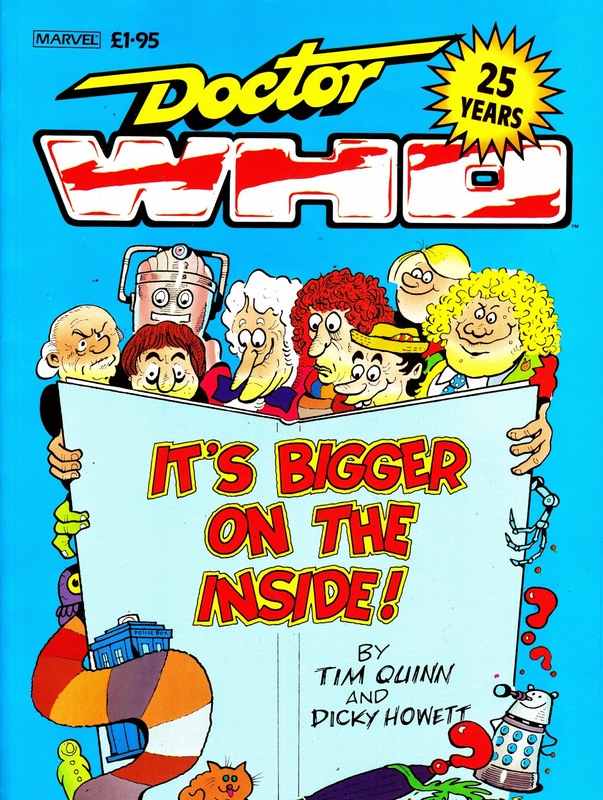 the new dr who titan comic is in the large format although i was expecting it to be in the collector edition size. It was very hard to find as only one shop had it and only 3 copies remained... so one to look out for ! 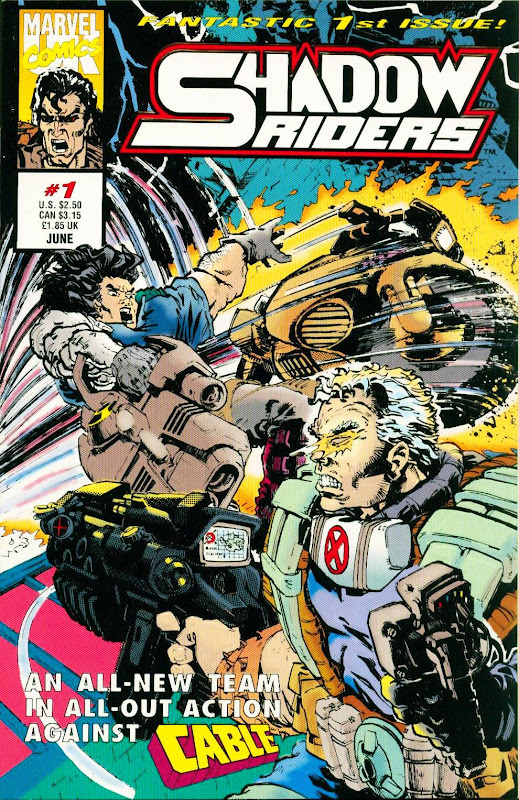 A quick recommendation for THE TRANSFORMERS ANIMATED ALMANAC. 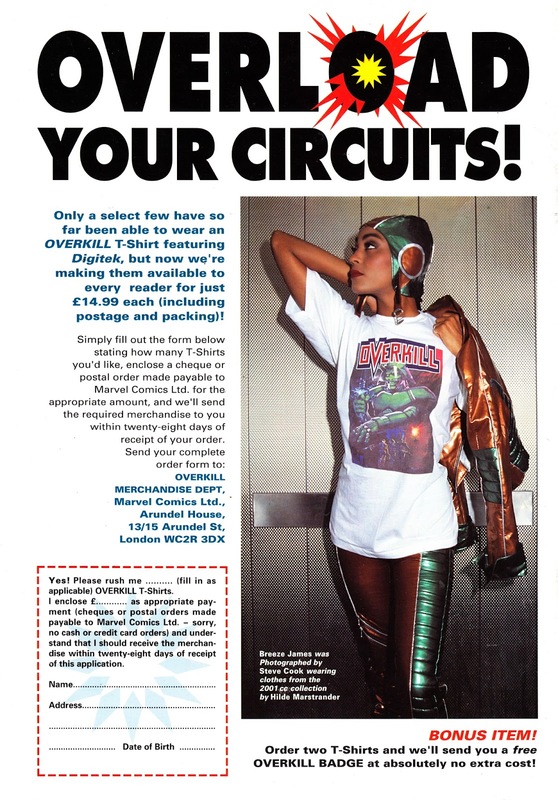 This surpasses even THE ART OF TRANSFORMERS PACKAGING in visual content and page count. Definitely in the ' must buy ' category. Last but not least Slow, a little request. 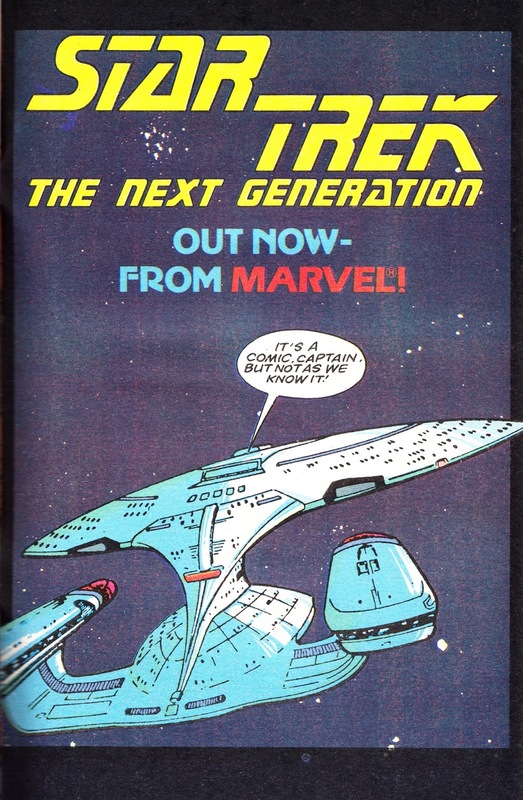 How about a blog entry on the late great Leonard Nimoy ? Maybe similar to the one you did on Glen Larson although not quite as long. Thanks for the updates! Much appreciated! 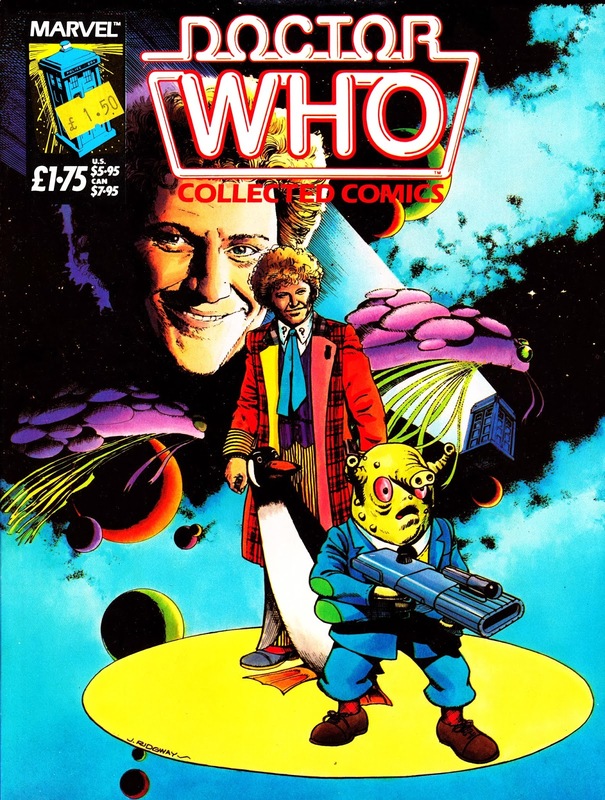 The New WHO comic surprised me as well as I assumed it would be in the COLLECTORS' EDITION format. Good value... and larger pages... than the US editions. 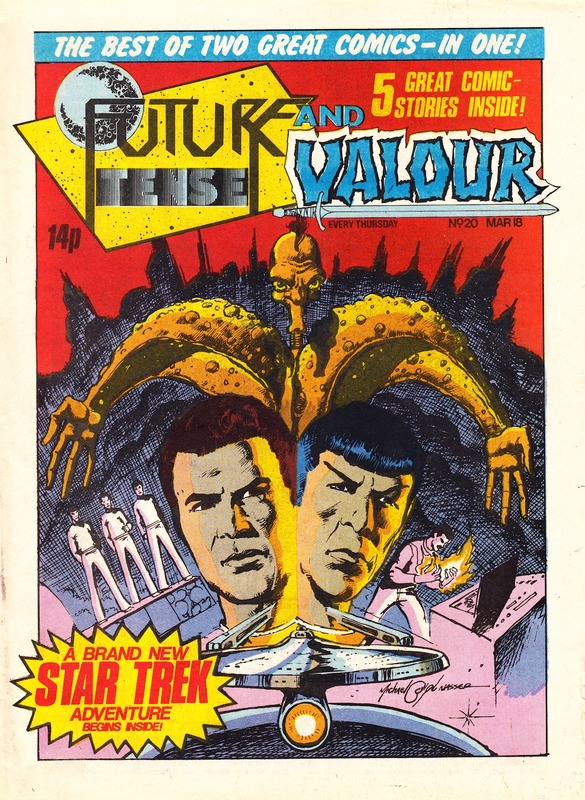 TBH, I don't know enough about Leonard Nimoy's career to mark his passing in any meaningful way. However, I have just finished watching the documentary feature film about George Takei which features a contribution from him (and also Walter Koenig without his hairpiece!). It's an excellent film and I highly recommend it. 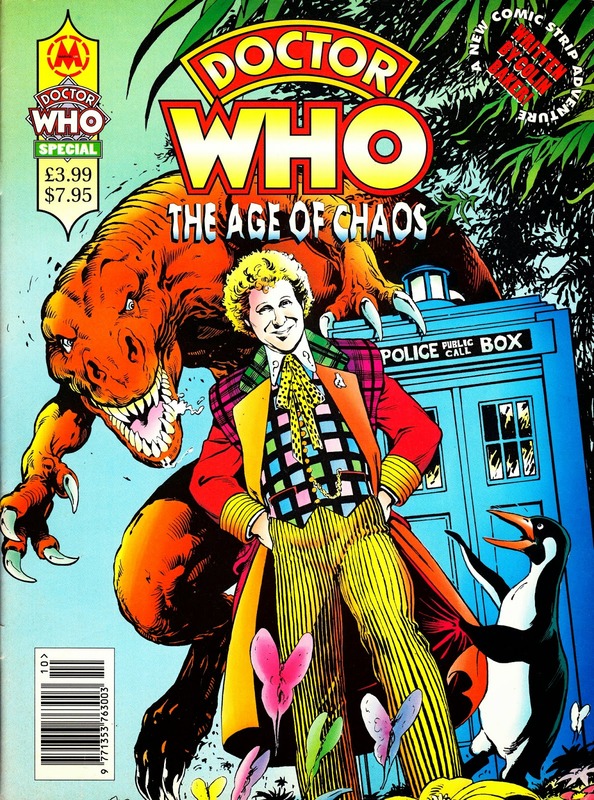 Don't know if it contributes anything, but I recently sold a complete run of Dr Who Classic Comics on eBay, and among them was a one-off called Age Of Chaos that came out in 1994. 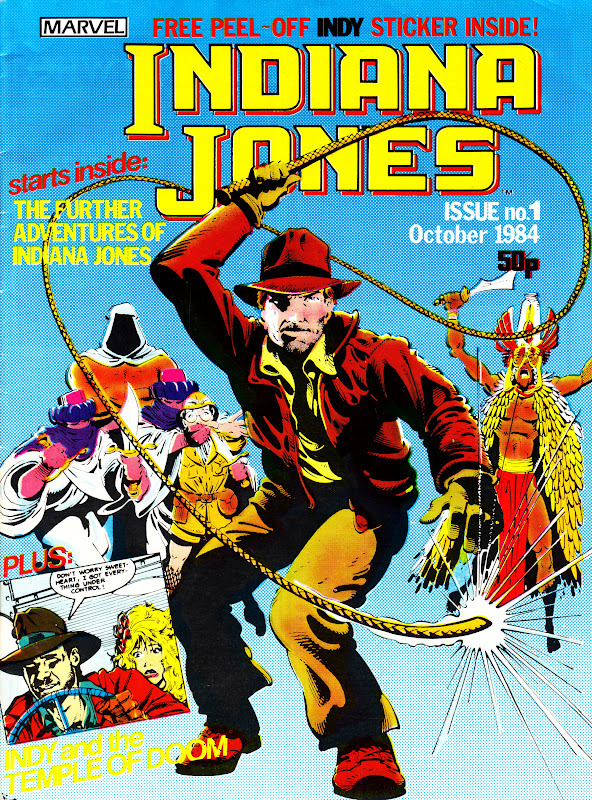 It was an all-original story written by one of the actors who played the Doctor and it's listed online as being a trade paperback collection of some sort, though it was actually physically more akin to the collected Battletide one-shot than a tpb, was significantly cheaper than a GN, and it would have been bought in a newsagent rather than a book store. 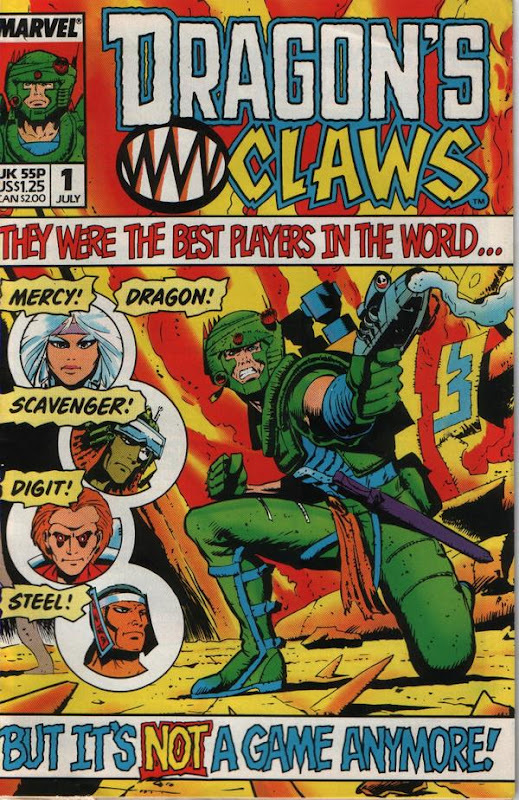 I didn't initially include the AGE OF CHAOS one-shot as I considered it a special rather than ongoing. 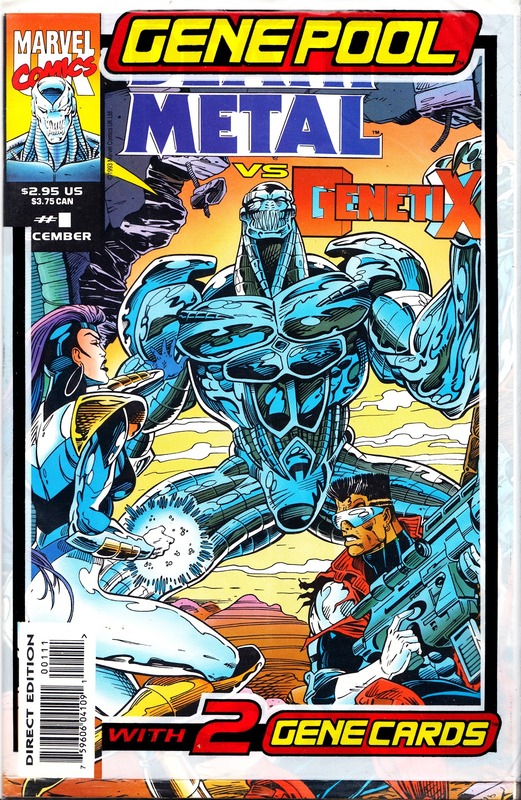 It contained material leftover from the collapse of the Genesis line of US books. I've now added it, and the Dalek companion. 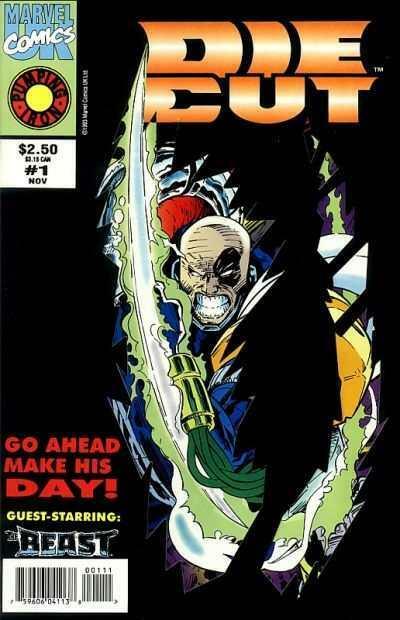 I've also seen it described as a trade paperback... 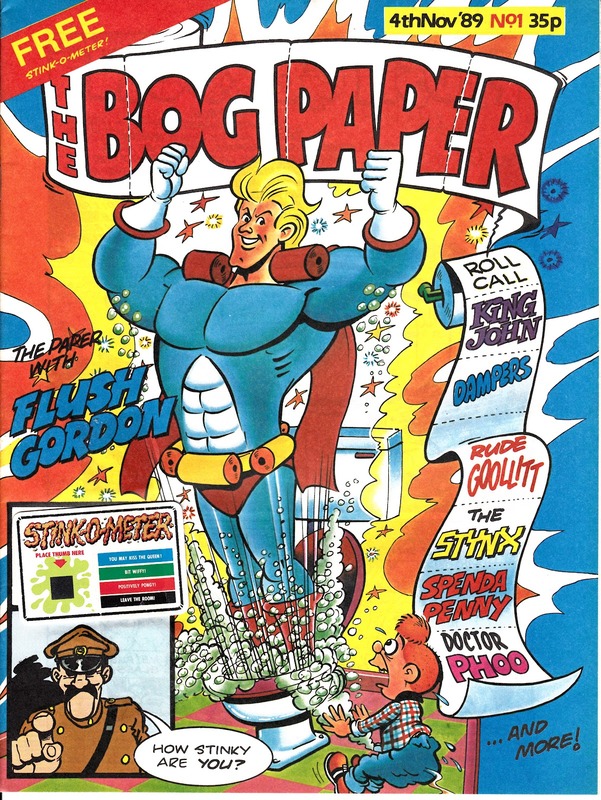 I don't know why as it's only been available as a done-in-one staple-straining magazine. Wow! Thanks for the nostalgia overload. So much information. So happy. 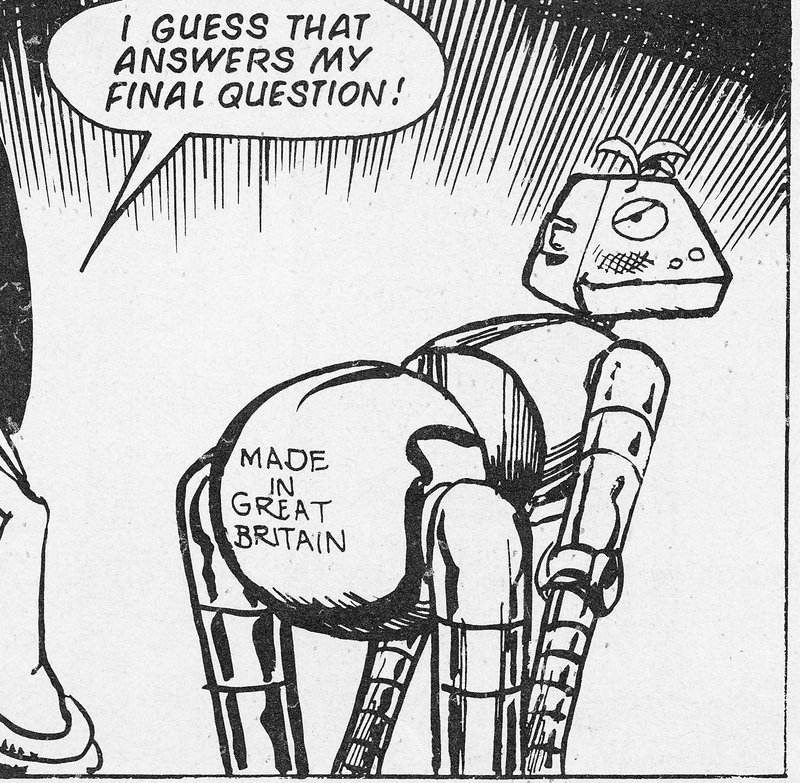 There was also a Droids comic. I'm still searching for Kim! 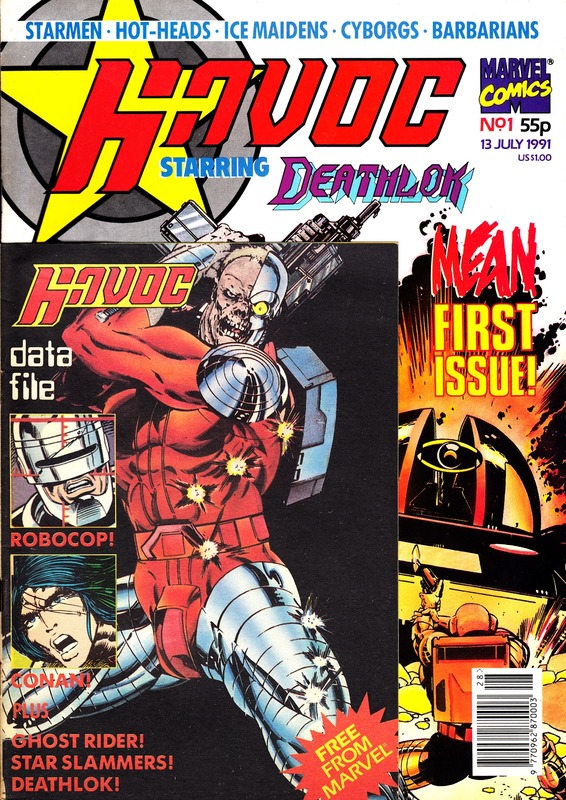 The UK DROIDS tie-in was only two one-shots (so, outside the remit of this guide at present... just because one-shots is a massive piece of research in itself) and a run in THE MARVEL BUMPER COMIC. I will dig deeper on DUCKULA as I've seen conflicting information. 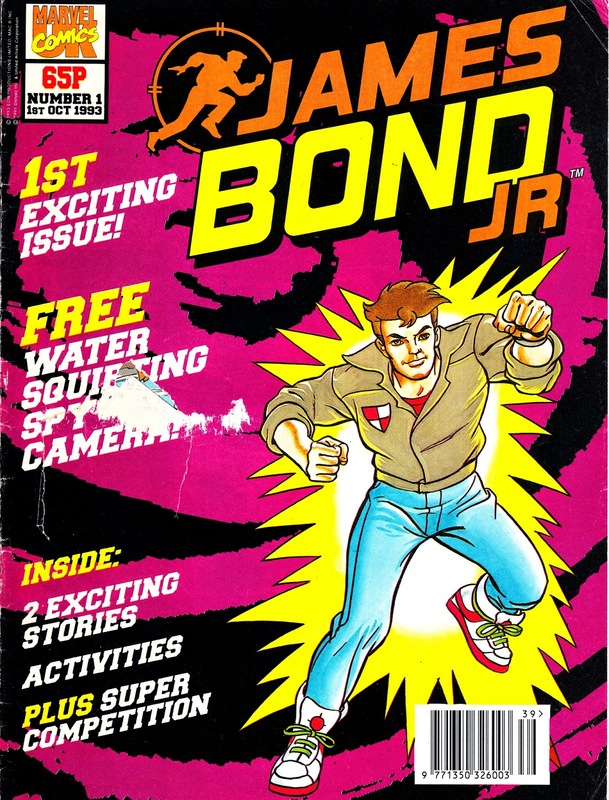 Do you have any cover scans? 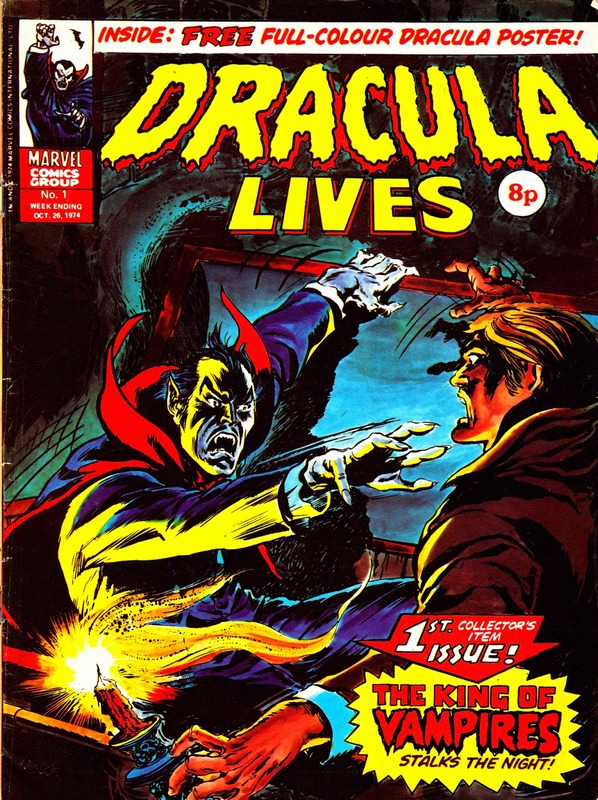 Count Duckula ( Volume 1 ) Marvel UK Wikia., the details and scan are on there, NOT the Albion comics wikia! Oops! Excellent! Nicely researched, and I'm sure it'll be useful reference for many fans. 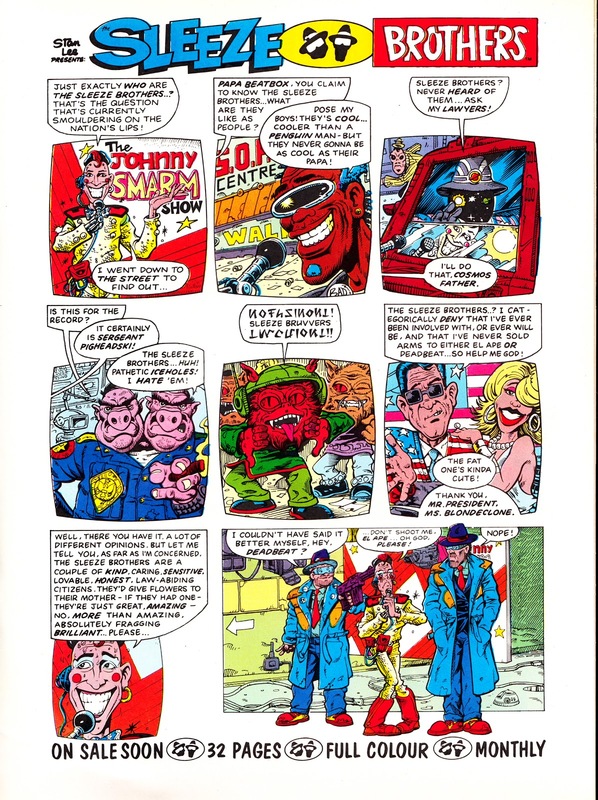 Thanks for mentioning Captain Wally and Snailman! Hi Lew, it's my pleasure and thanks for stopping by. 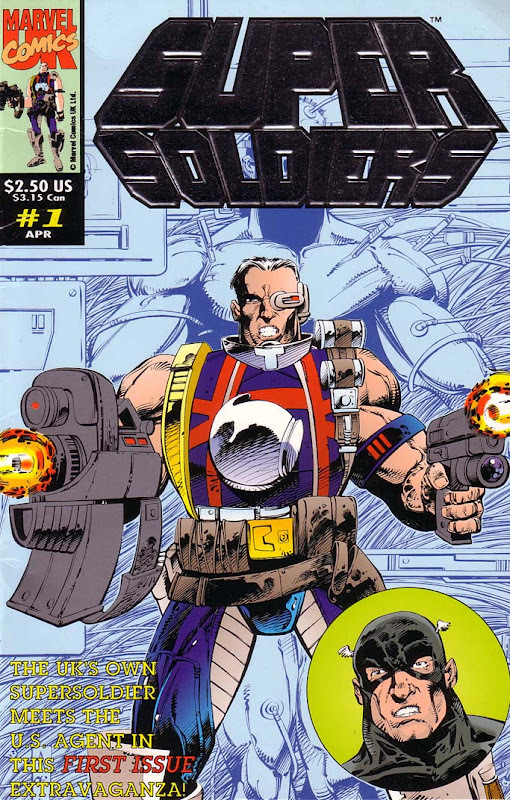 I've added a mention of Macho Man to the SECRET WARS II entry and I'll do likewise for Robo Capers in the near future. slow, if you dont mind me asking, is this mega entry your way of calling time on the blog for good or do you still intend to keep posting on a daily basis..? 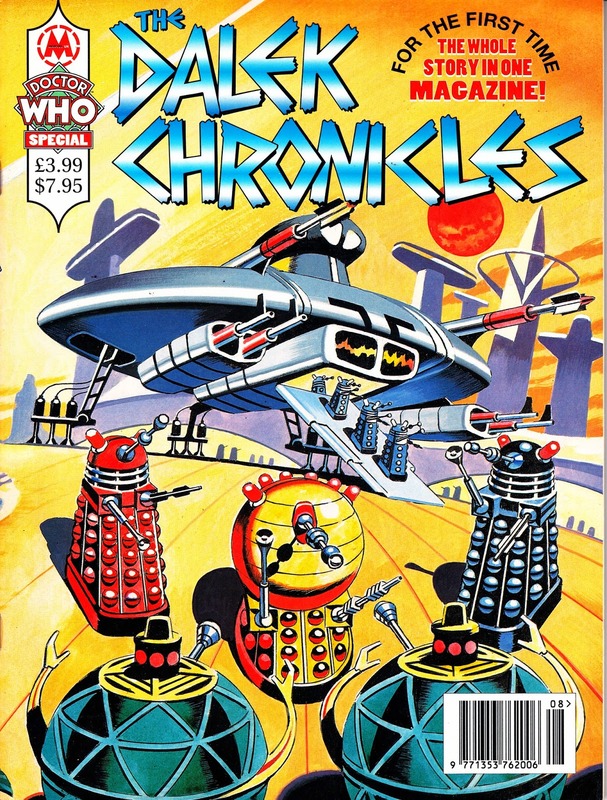 Forbidden planet are having a spring sale and i came across a very nice item at half price titled AMERICAN COMIC BOOK CHRONICLES - THE 1970'S by twomorrows who also publish the mags BACK ISSUE and ALTER EGO. A superb tome and highly recommended. 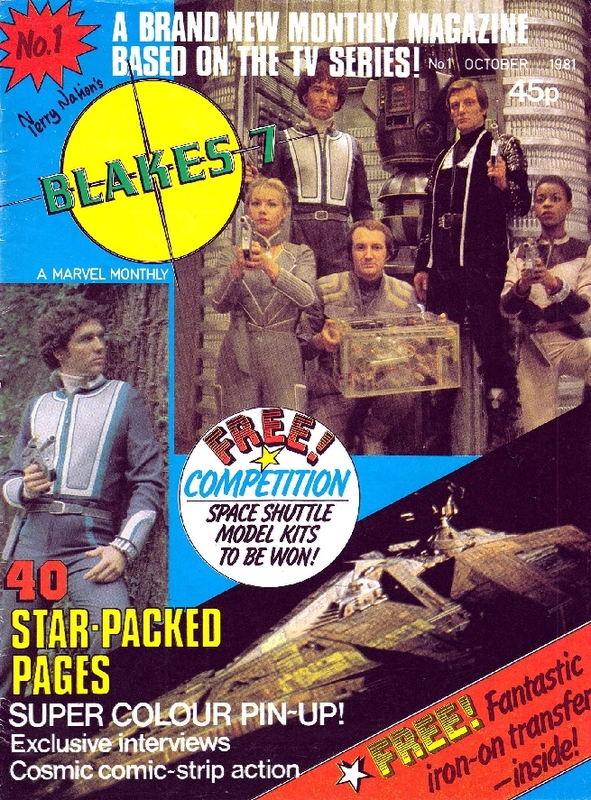 No plans to call time on STARLOGGED at the moment, although the amount of new material "on file" for future posts is becoming ever more finite. I've got plenty of things still to scan (and I'm adding all the time) but work has been hectic for the past few months and I've had no time to dust off the scanner. I don't see that situation changing anytime soon. This mega-post is a story I've been wanting to tell since STARLOGGED started but it's taken me this long to accumulate all the information and material. Just writing this post, and uploading the images, took a couple of weeks of blogging time. 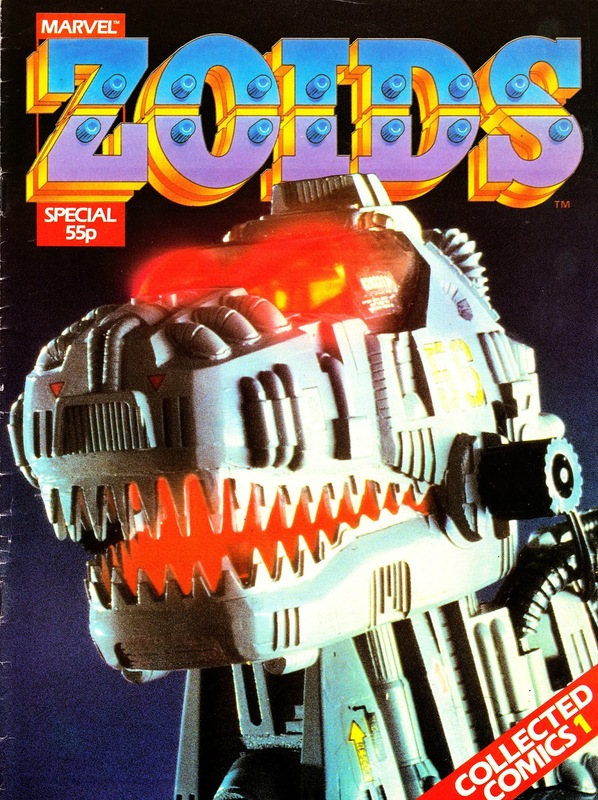 As you might have spotted, I'm concentrating on adding extra information and scans to this post at the moment to make it as comprehensive as possible. Once that's done, I'll move back to daily posts or find another mammoth topic to cover. Hurrah. 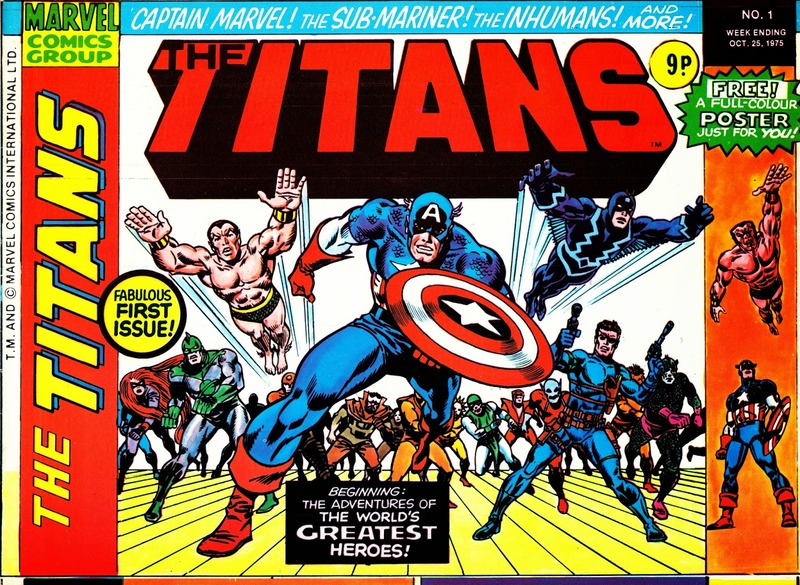 I have all of those AMERICAN COMIC BOOK CHRONICLES books and can heartily recommend them. 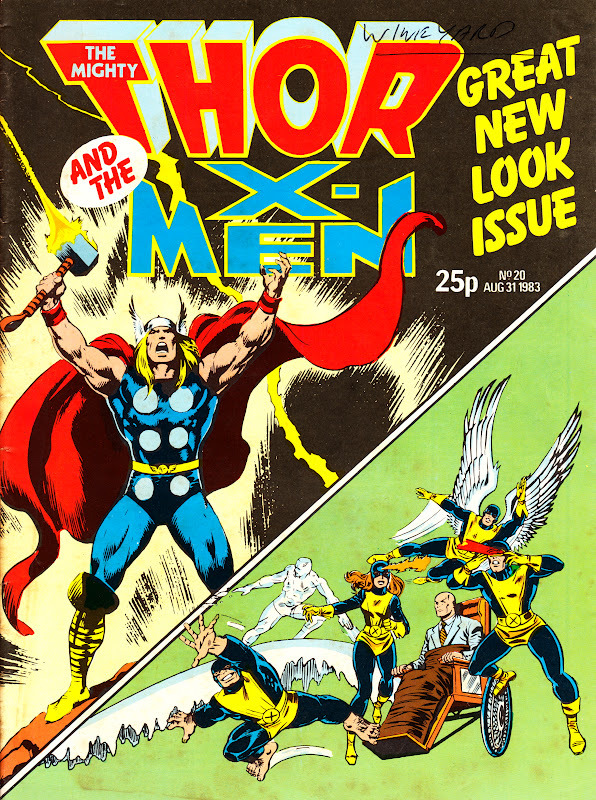 TWO-MORROWS have also published three books looking at key Marvel issues of the 1960s, 1970s and 1980s. 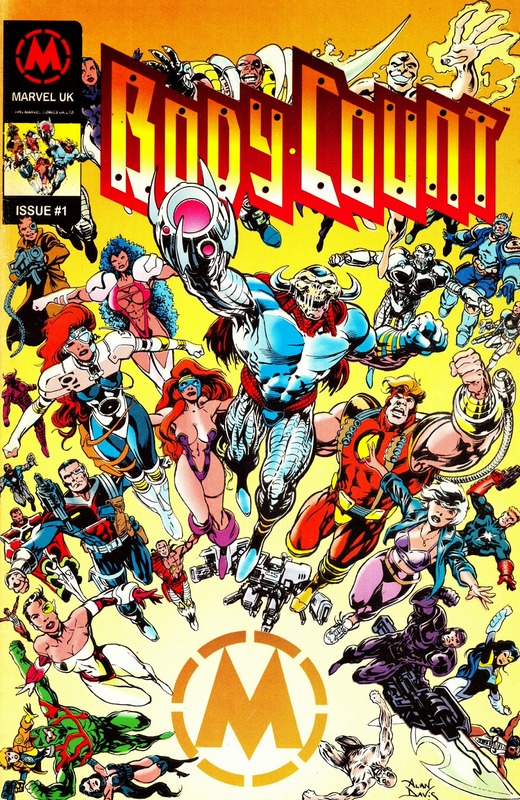 The issues selected can be slightly erratic (the 1980s volume covers a few issues of Rom... but none of the Micronauts) but still well worth your time and money. of course slow, i understand how time consuming it must have been and your effort is much appreciated. I look forward to future additions to this database and indeed any further daily posts. 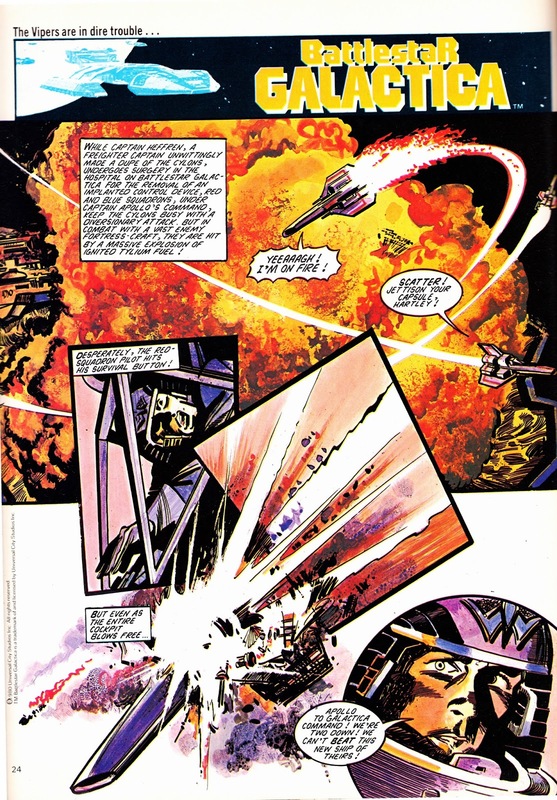 I attended a few comic sales last weekend and one dealer had a lot of the uk 1980s titles on offer such as M.A.S.K., TRANSFORMERS , THE PUNISHER and so forth. I just thought to myself " ah yes as seen on STARLOGGED ! " 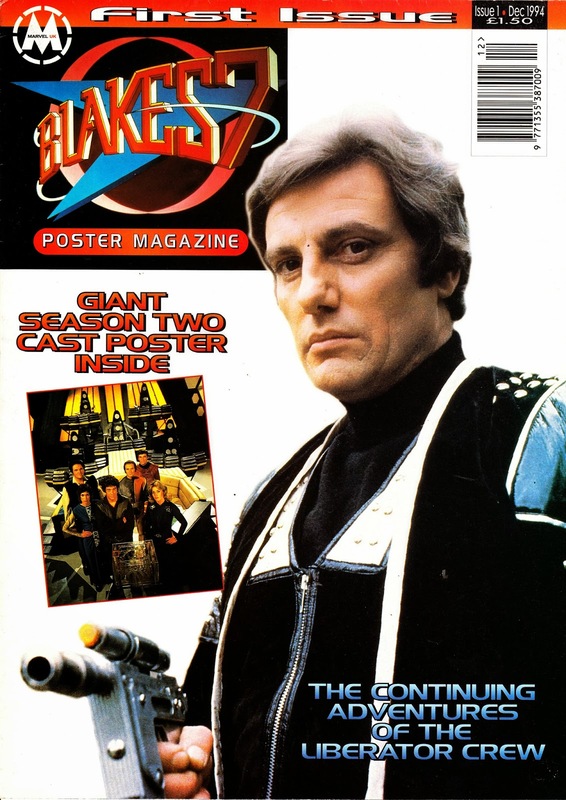 TITAN TO ALSO LOSE STAR WARS MAGAZINE LICENCE ? 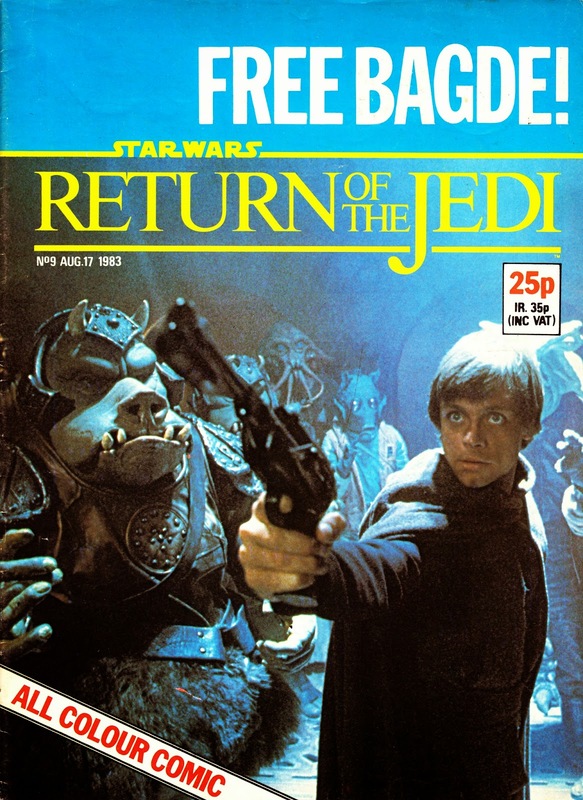 Premature speculation maybe but could this be the first indication of a new uk star wars mag from a different publisher ...? 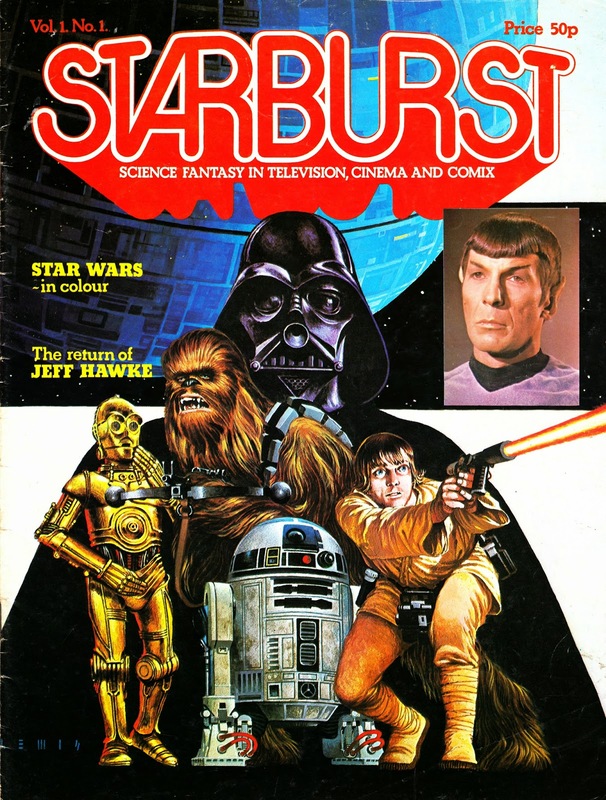 I'm not sure what STAR WARS MAGAZINE is (or was). 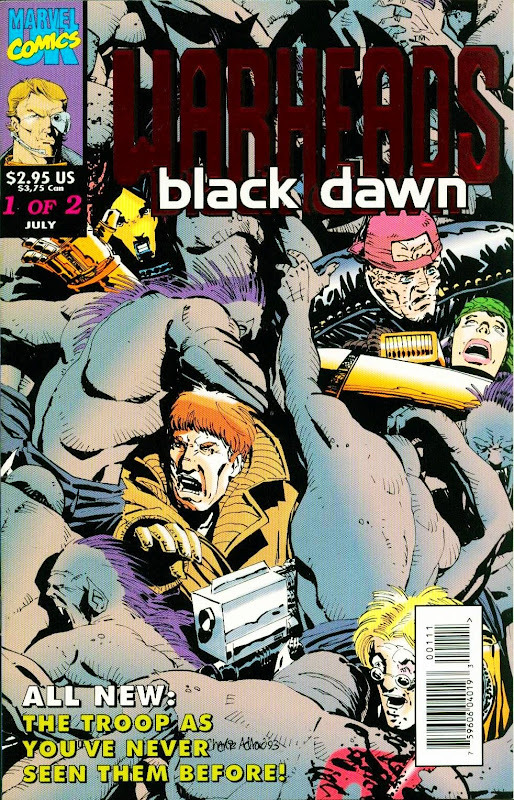 Was it the old SW comic that has already closed? 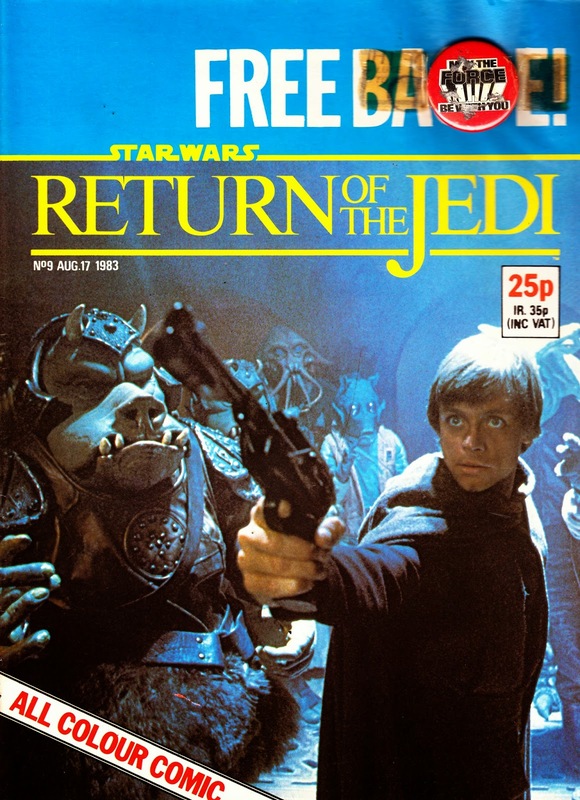 The article seems to suggest that it's not the STAR WARS INSIDER magazine. 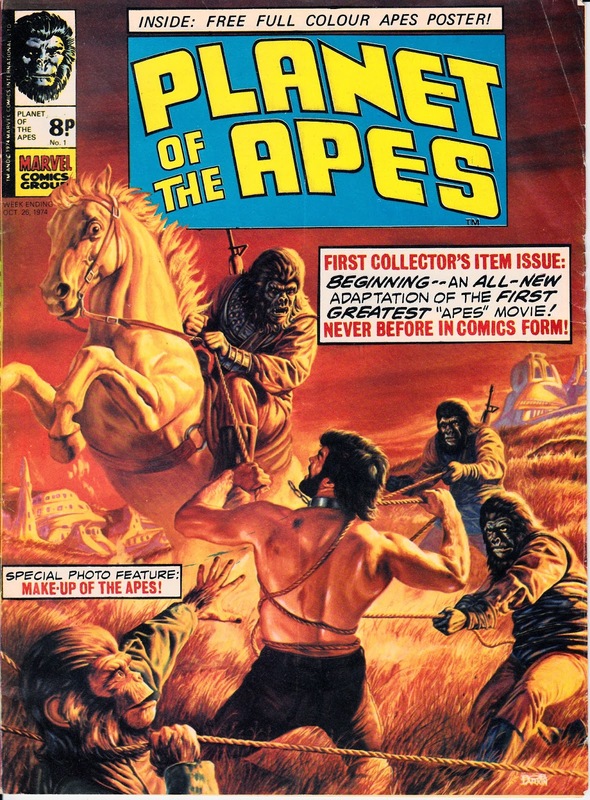 I picked-up a new copy of SWI in Forbidden Planet this week so it's still going at the moment. That said... who knows what will happen when licenses are amended or renegotiated to encompass the new film series. 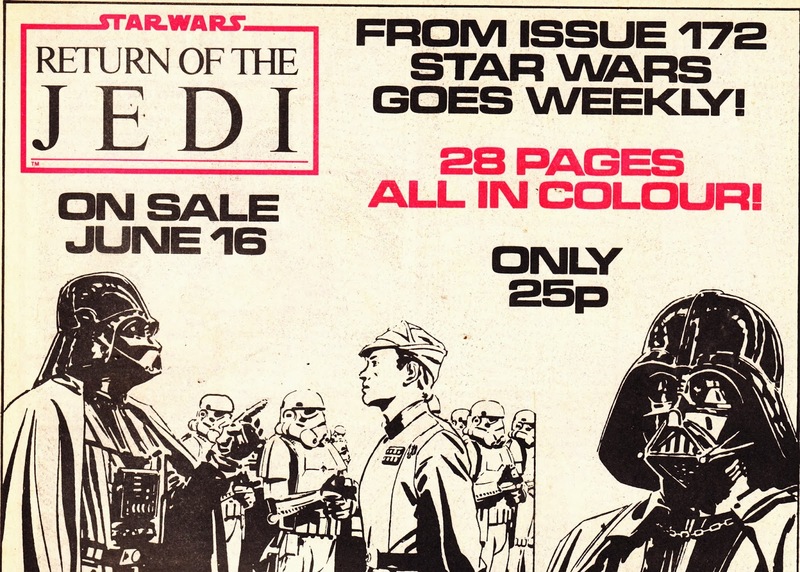 since titan uk have already ended their star wars comic and now put this title ' on hold ' ( i.e. cancelled ) , I had assumed that STAR WARS INSIDER would also be affected. 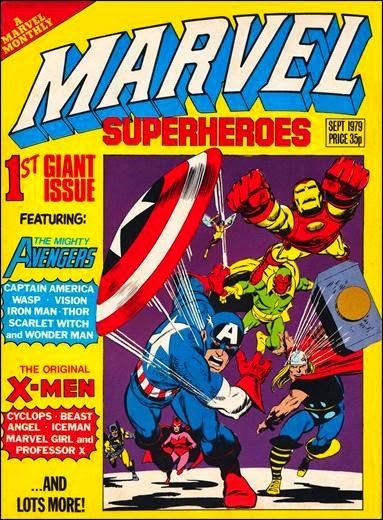 AVENGERS VAULT - a lovely visual guide to the avengers comic history. 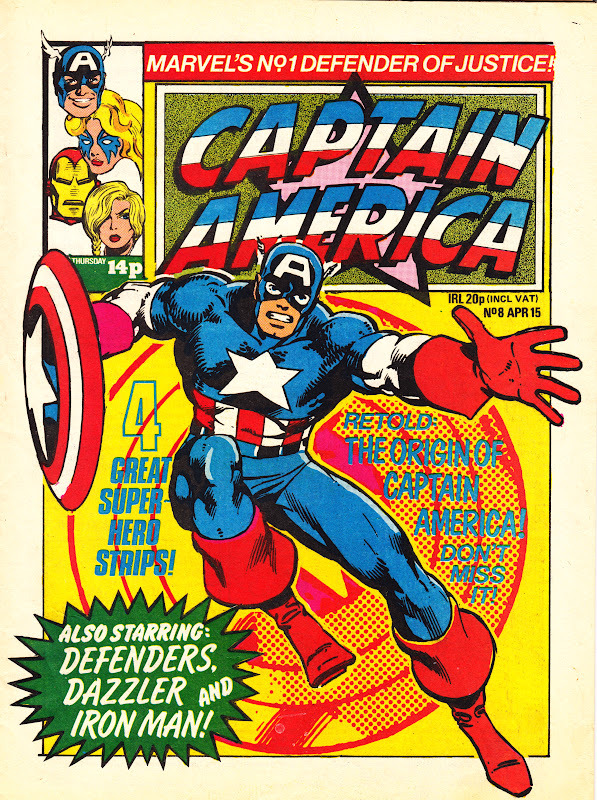 ACE - a new usa mag devoted to comics. 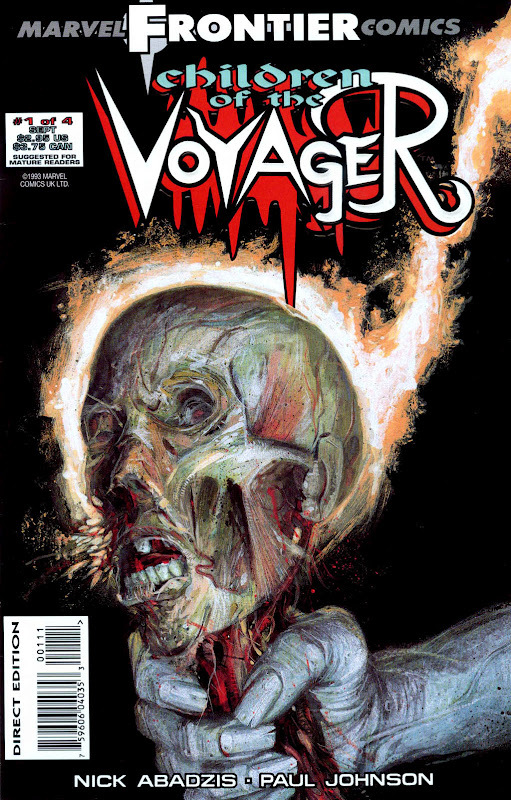 I had seen this in the previews catalog but didn't expect to see it in forbidden planet so a pleasant surprise. 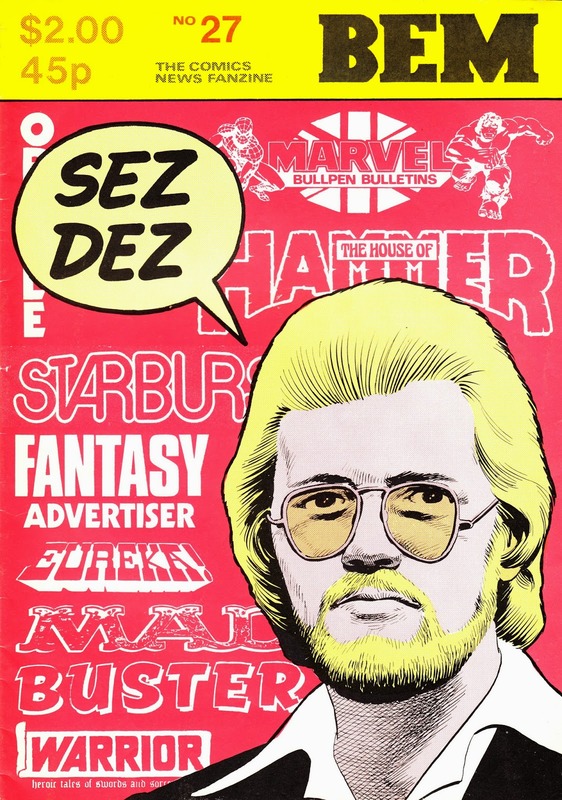 Quite pricey but any new mag dedicated to comics is welcome in the absence of WIZARD and COMIC HEROES. 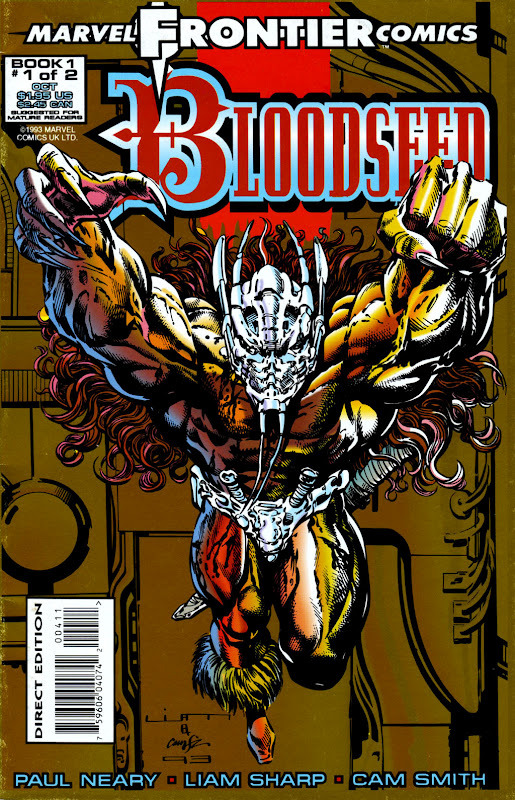 I think BLEEDING COOL is the only other comics-centric mag although I 'm not sure if they are still publishing. 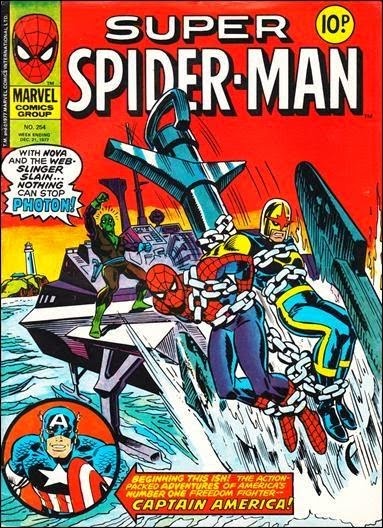 I have the AVENGERS VAULT but I was a little underwhelmed. There was no reading copy in the store and I expected more before I got it home and unwrapped it. 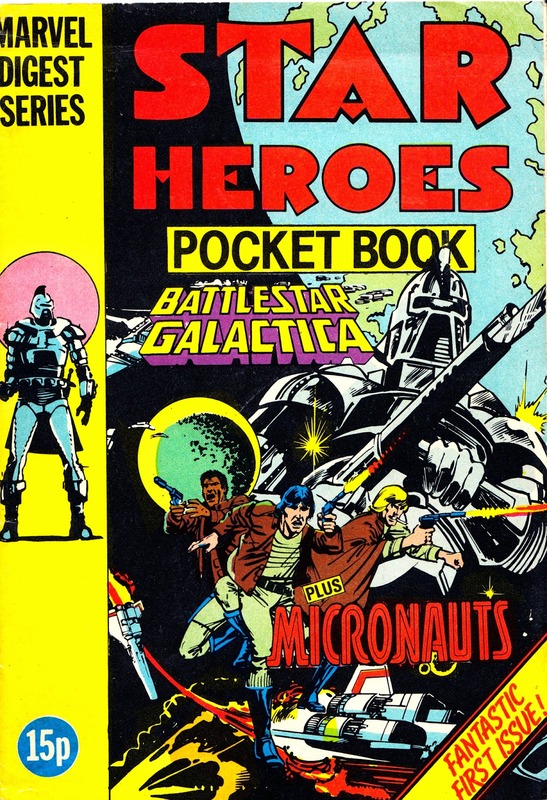 VAULTS can be a little hit-and-miss: the BATTLESTAR GALACTICA one cover GALACTICA 1980 in about 1 paragraph. 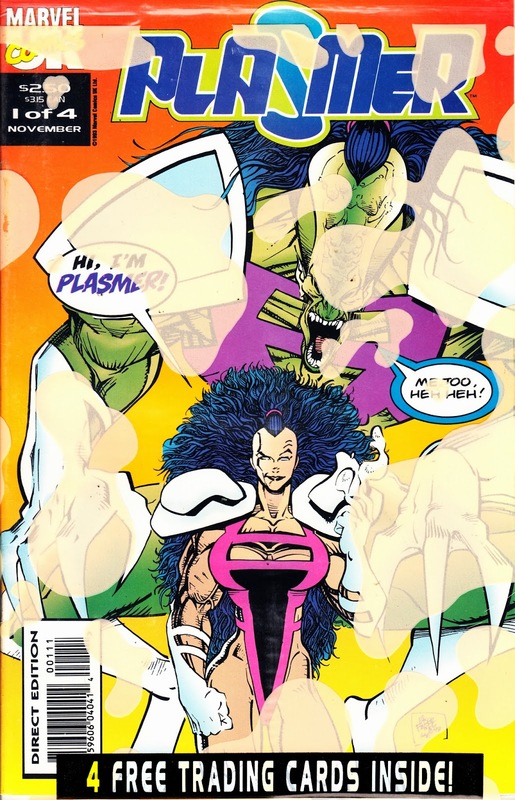 I saw ACE (the name of mu old LCS many moons ago) in PREVIEW but I haven't seen it in-store yet. I will make a point of looking. 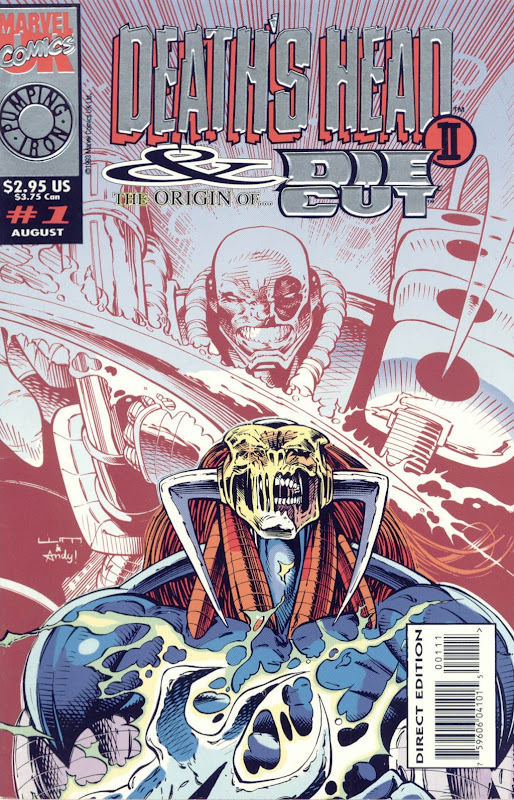 I bought a new BLEEDING COOL not that long ago so i assume it's still going. It should win an award for "that'll do" layout. 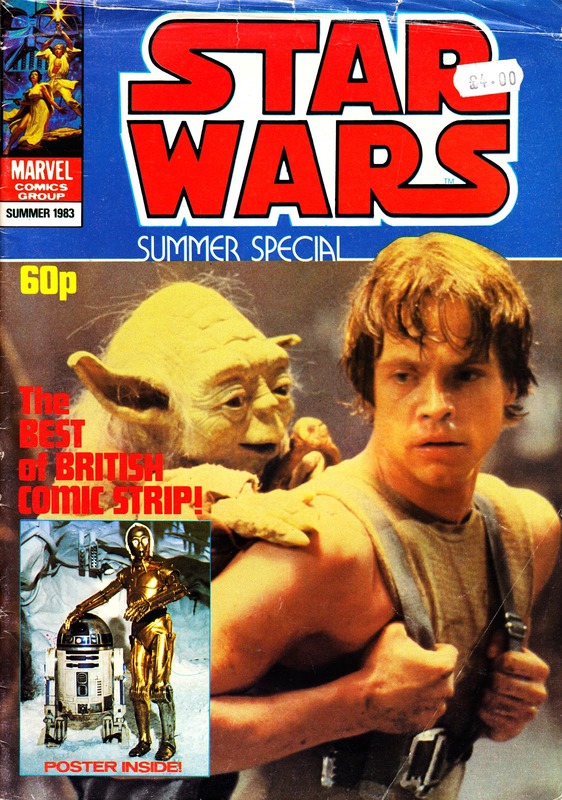 One SF-themed issue had a nice article about British STAR WARS comics tucked away inside. 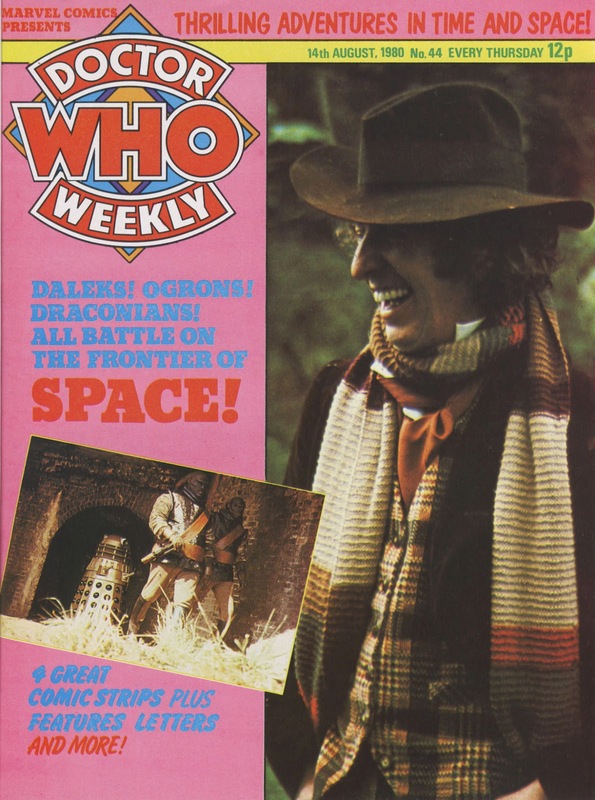 yes i have that issue, it even had a pic of the DROIDS uk special ! I never know what I'm going to stumble upon in my forbidden planet, they only had the one copy of BLEEDING COOL but they had tons of ACE so hopefully they will continue to get it. 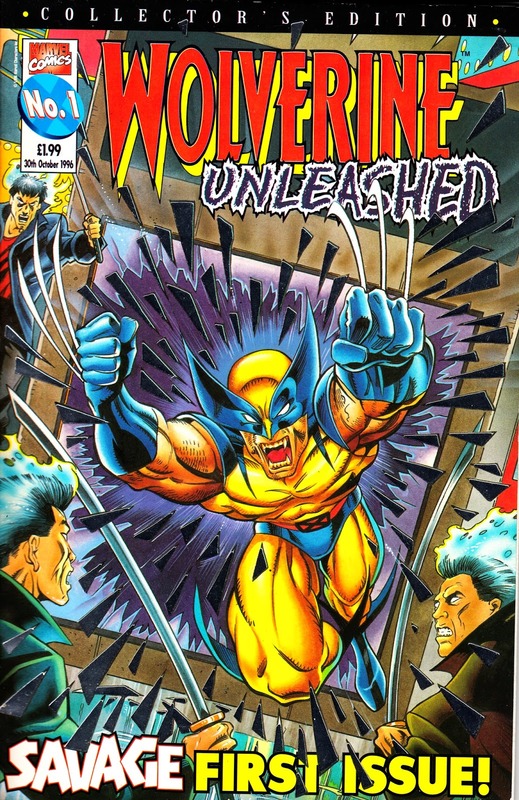 I should have clarified that I meant mags that cover current and upcoming comics and comics inspired tv and movies. 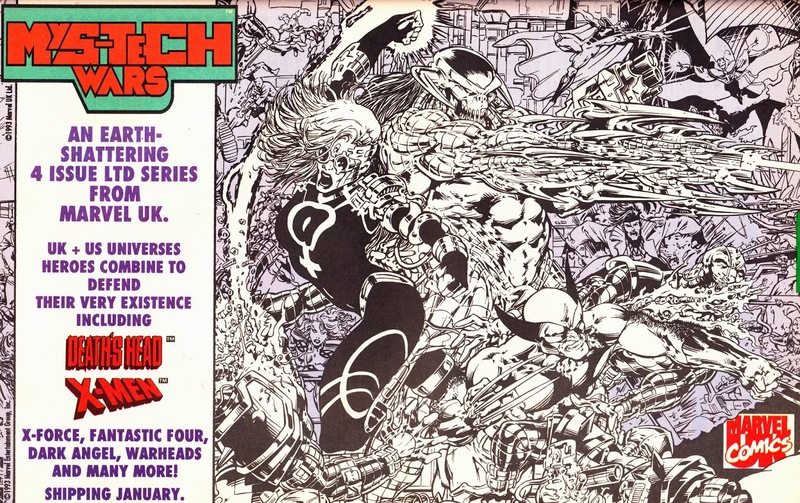 Other titles such as BACK ISSUE only cover vintage and retro comics. 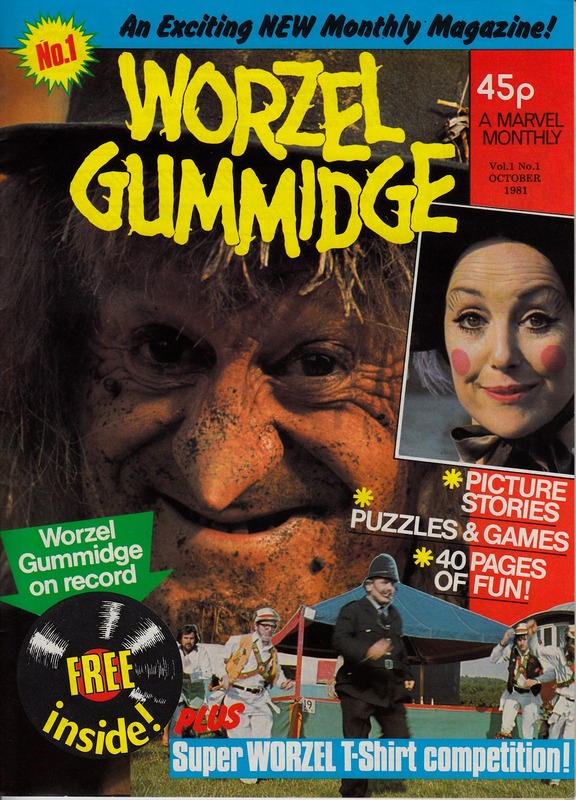 The demise of WIZARD and COMIC BUYERS GUIDE has left a vacuum in the market which badly needs to be filled. 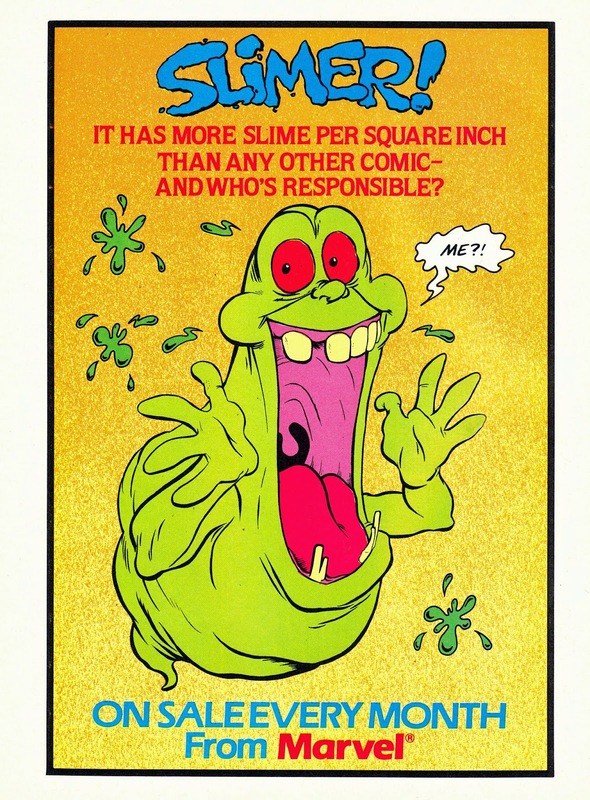 ACE stands for All Comics Evaluated. Thanks Ed. I found a copy yesterday. 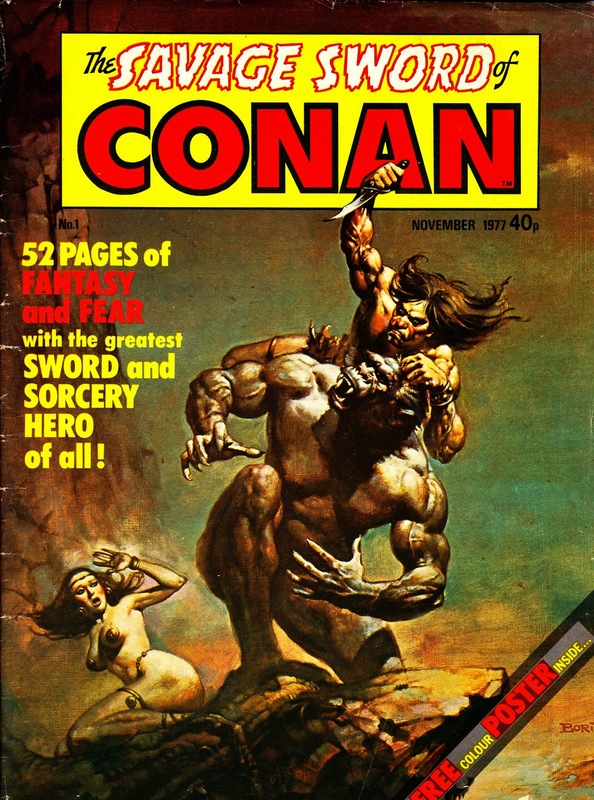 My FP had managed to bury it under the copious, gift-filled copies of the Titan kids comics that they have to carry to keep the Masters happy. It's not bad at all from what I've seen so far... basically an updated clone of WIZARD and HERO ILLUSTRATED... complete with the polybag (why? 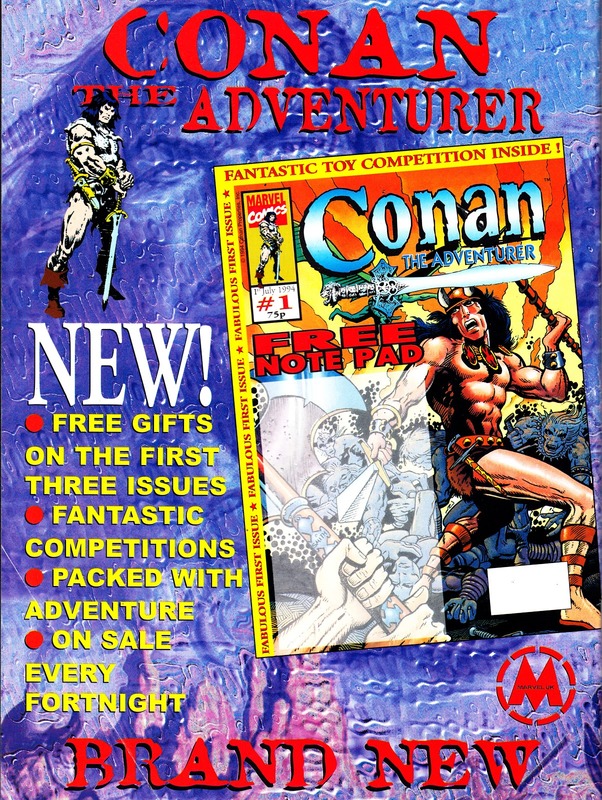 There is no bonus inserts and the bag was so weighty that it was almost impossible to open) and a whopping great price guide in the back, which seems so old-world (although there's an editorial that desperately tries to convince, with some success, that a print version is actually better than an online one). I've not had a chance to read the articles yet but it all seemed pretty well put together with nice layouts and a feeling of value for money. i hope it is a success as I do miss the days of multiple print magazines. 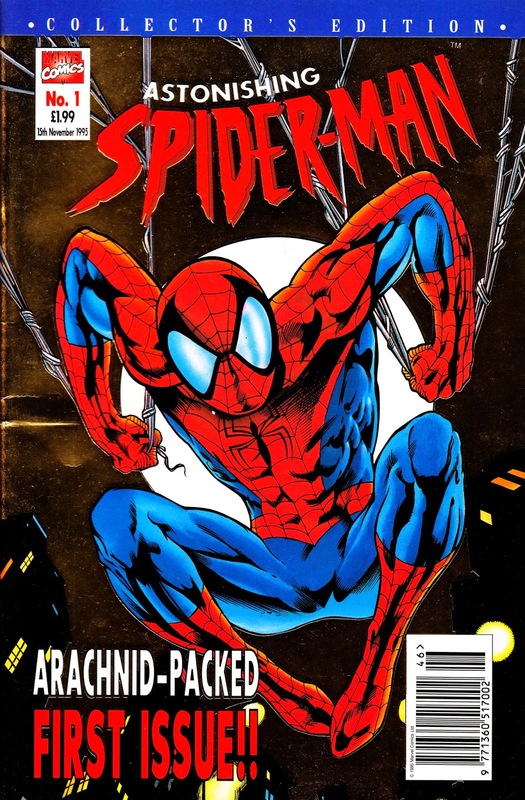 I agree that BACK ISSUE is great. 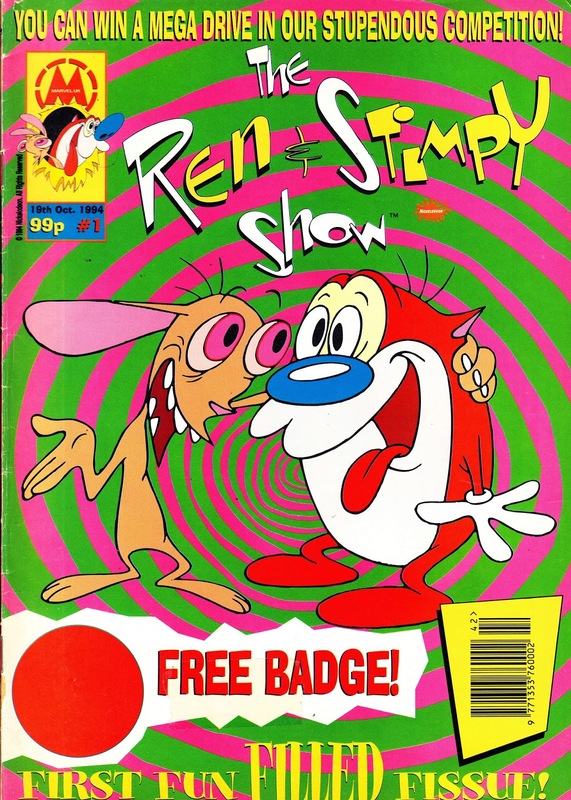 Its probably my favorite magazine read although I do find that if they settle on a theme that I'm not very interested in, whole issues can be pretty dull. 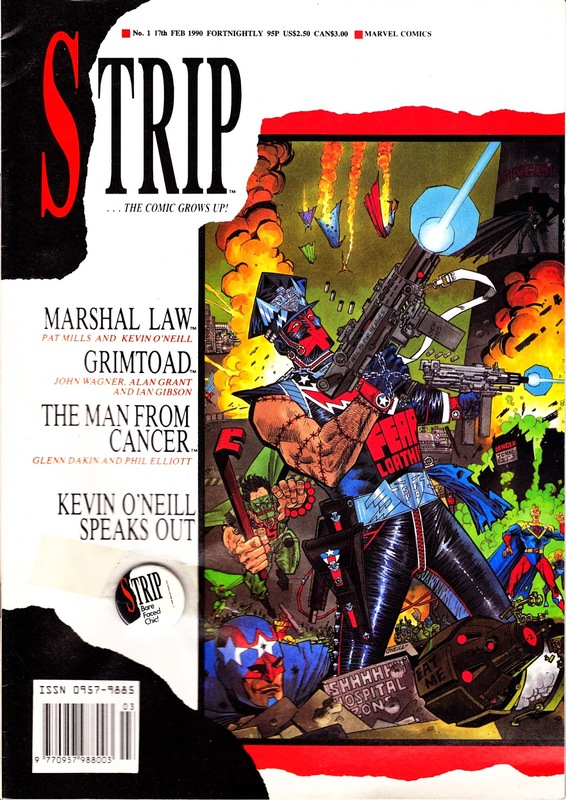 But the flip of that is that other issues are crammed to the staples with stuff I want to read and know about. 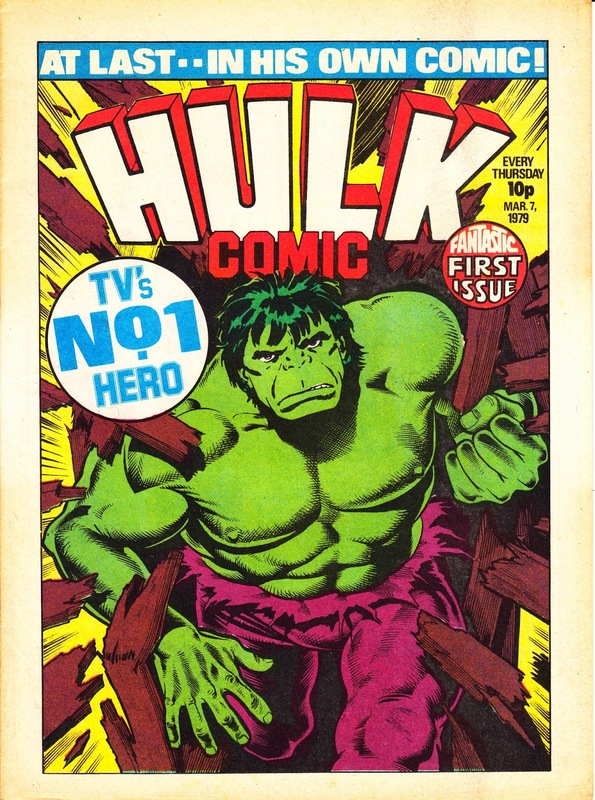 BACK ISSUE is indeed outstanding especially since they moved to full colour... the only issue I passed on was the one with CONCRETE on the cover although the more recent one on weird comics was ' crammed to the staples ' as you put it - love that phrase ! An issue like that sets you off down the path of further research and discovery much like this blog. First of all: thanks and congratulations for your massive effort, it's REALLY much appreciated. 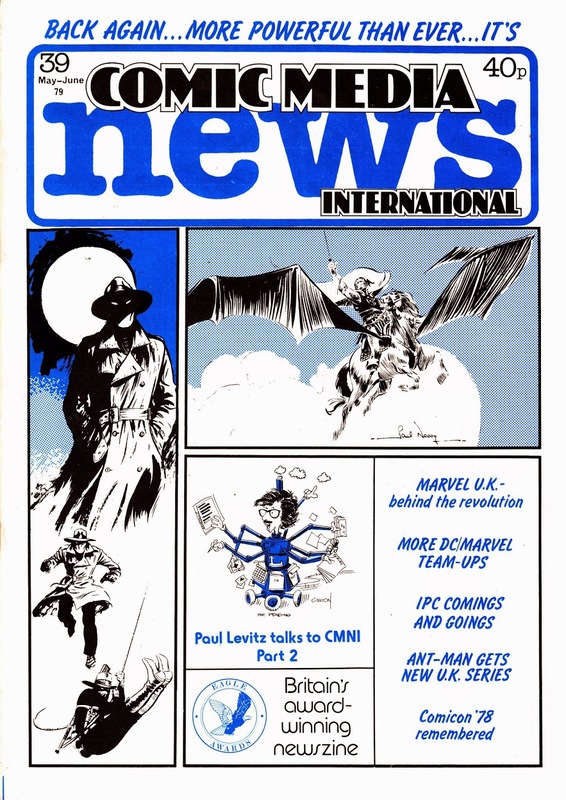 Your blog helped me a lot retrieving many infos about Marvel UK, which is still a corner of Marvel Comics very much neglected on the internet. 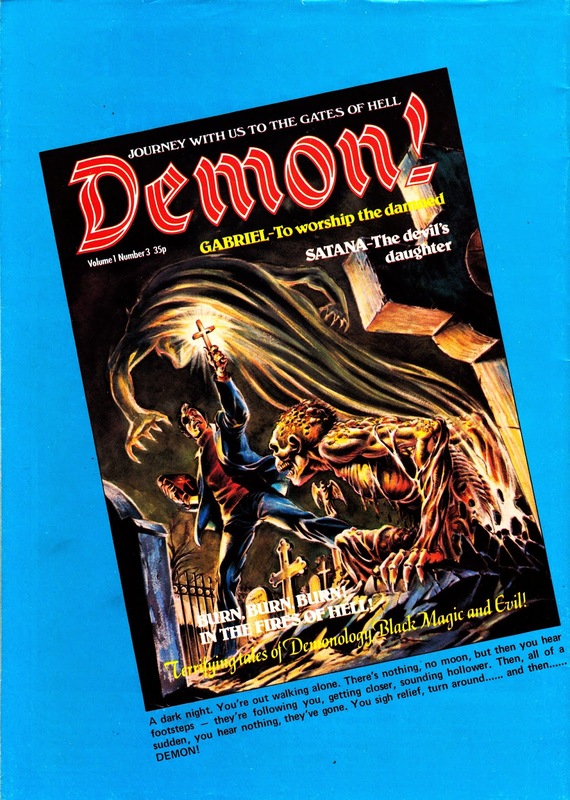 Third: I had never heard before or REDAN PUBLISHING. Fascinating. What is it? 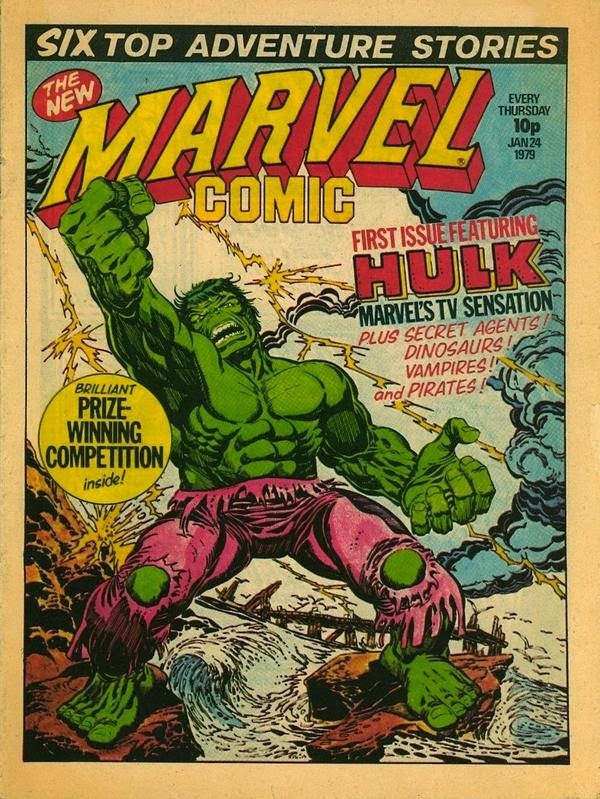 Is it an imprint of Marvel UK or a completely separate publisher? What do you know about it? 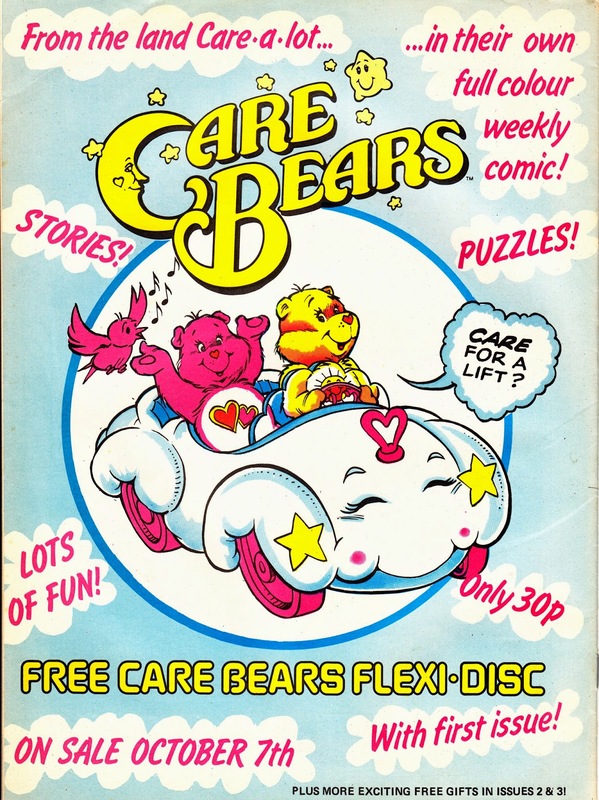 CARE BEARS must have been the franchise that kept on giving for the Annex. 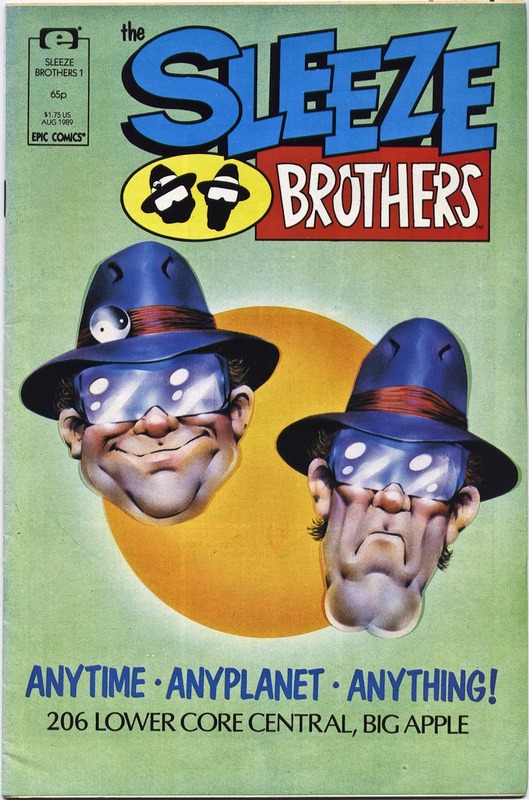 I know there were various spin-offs as well but tracking down all the details would be nigh on impossible without a complete run of the main comic to cross reference against. 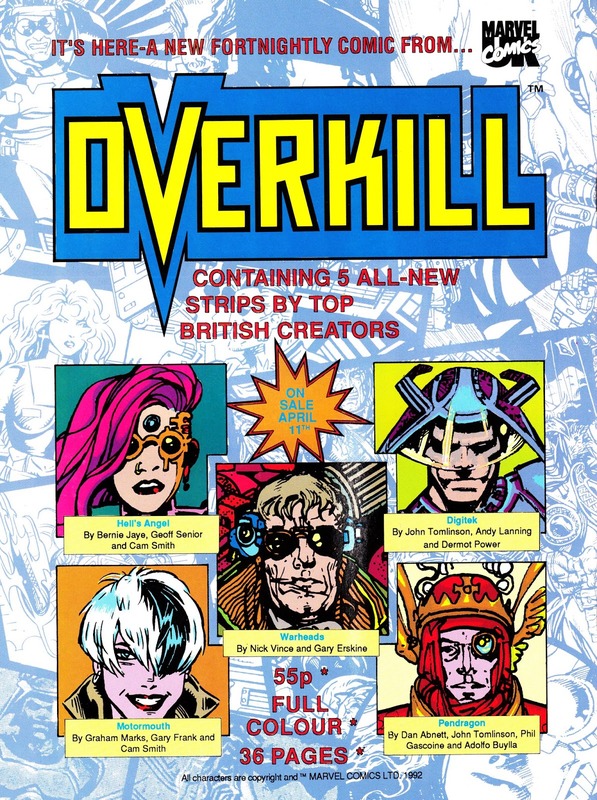 I don't know all the details of Redan but i believe some of the senior staff from Marvel UK left and took some of the licenses with them to create their own line of junior titles. The Fun-To-Learn type stuff. 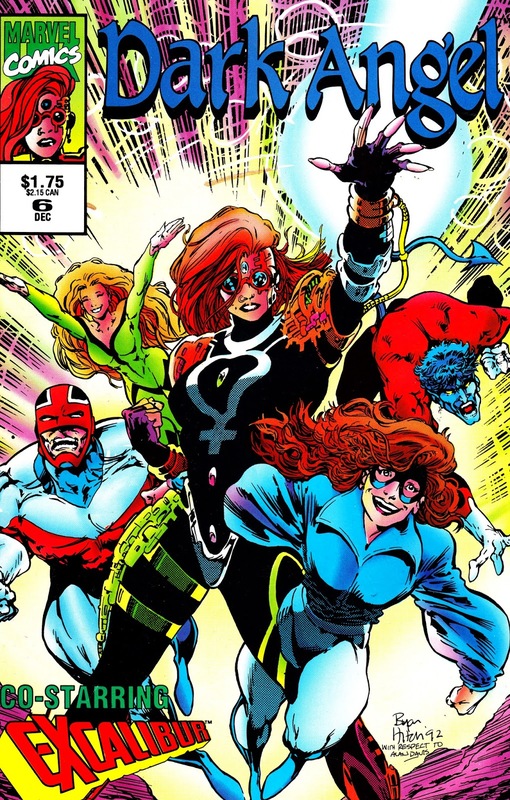 I remember thinking this seemed a bit odd at the time as it seemed to me that readers were bailing out of comics much younger than in the past so the most stable chunk of the market looked like the younger end. 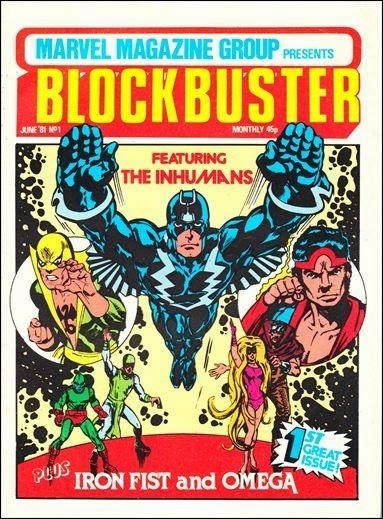 Maybe Marvel weren't that interested in that segment. 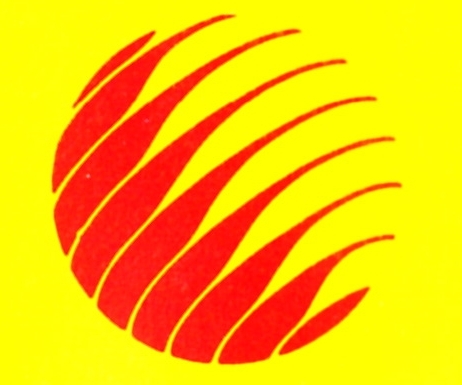 Since I started this blog, I've always been a little surprised at how little there is online devoted to the company. There are little pockets of brilliance but considering how well chronicled the US side is, the British part seemed like an underserved gem. 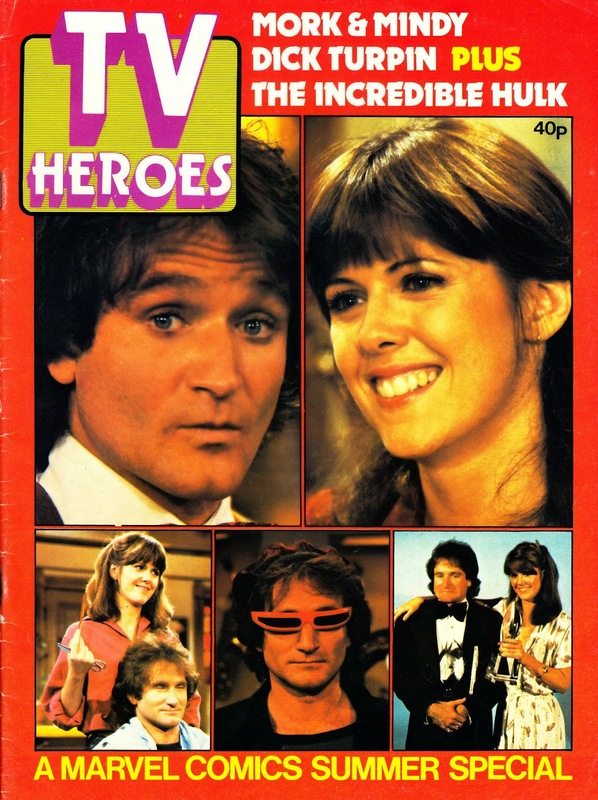 And I like a good bit of geek media history. 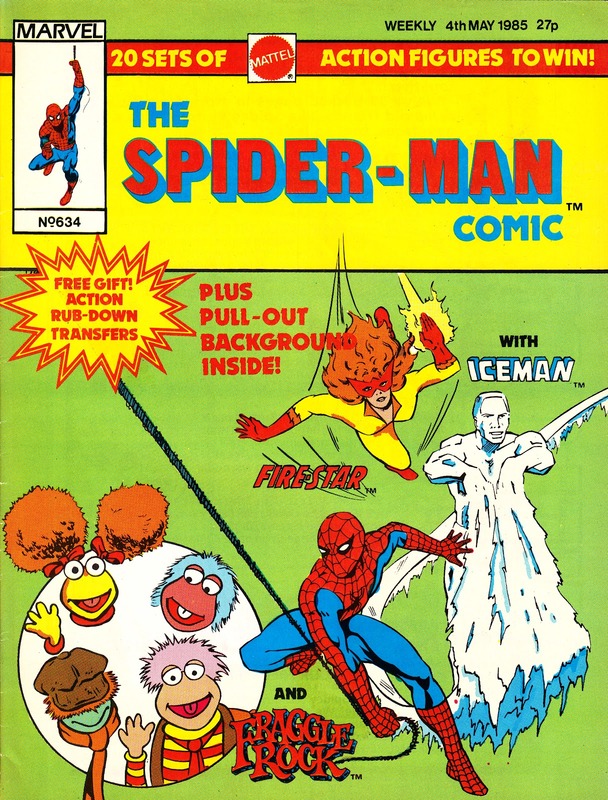 I see Redan have in turn expanded to the US, where they now publish some Fun-to-Learn format Disney and Marvel titles including Frozen and Ultimate Spider-Man. 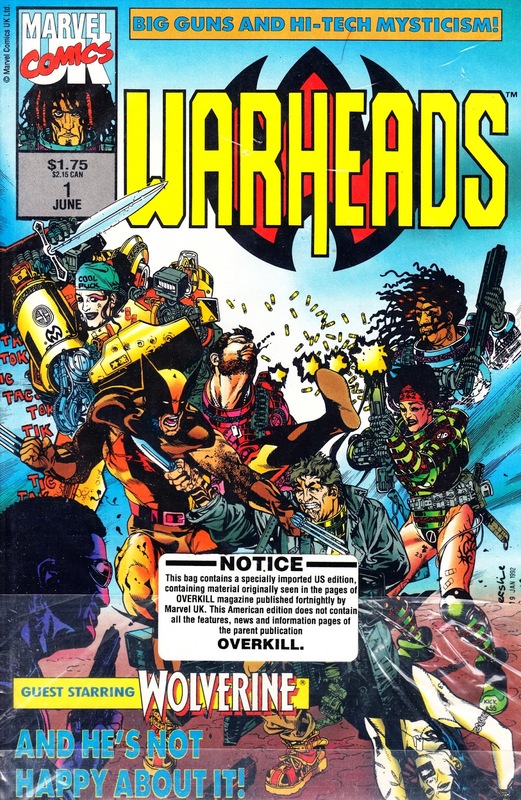 I remember noticing KIM on the shelves and being suspicious of its provenance as the layout and lettering looked familiar. 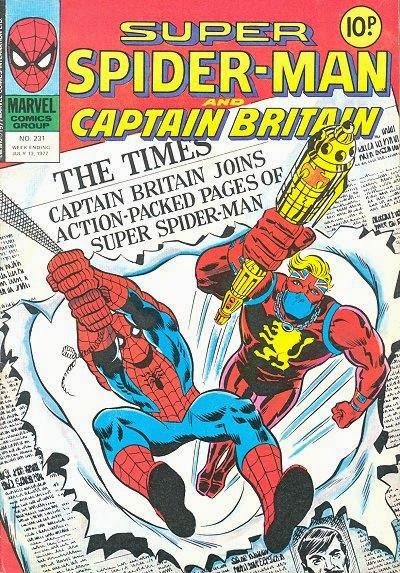 It was published by Cadence Magazines (or similar) but this was clearly a flag of convenience for Marvel UK borrowed from its then parent company. That's really interesting. 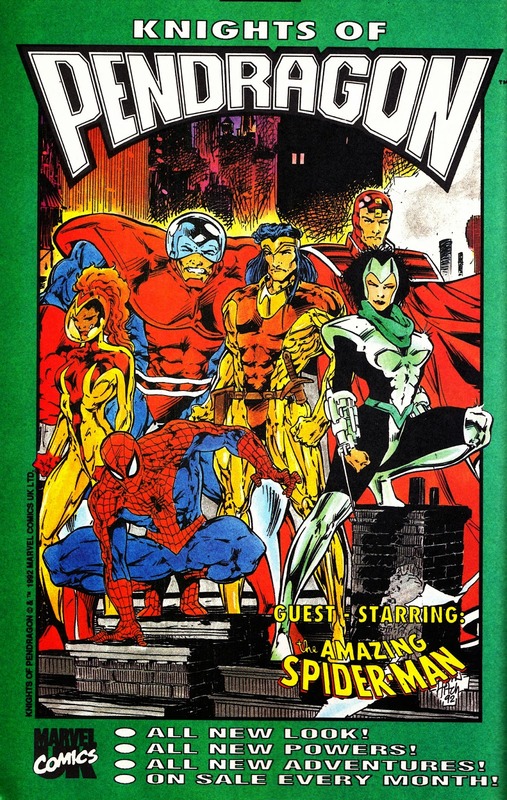 Maybe they really did want to keep it separate from the Marvel brand. 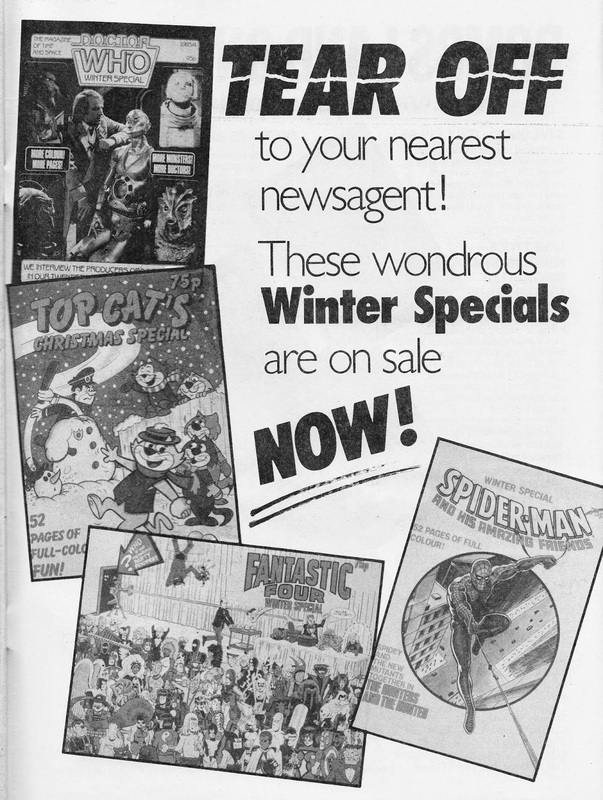 I don't recall seeing any promotion, except for nods in the BULLPEN BULLETINS pages, in the other titles. Maybe they restricted House Ads and the like to RUPERT (another title I'm not very familiar with). 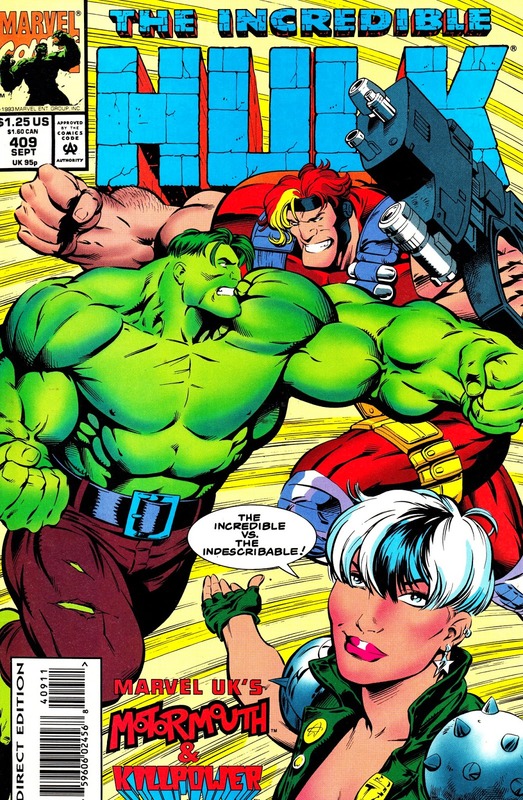 with the impending release of the avengers age of ultron movie, my comic shop was awash with tie-in releases, avengers this , avengers that and more besides. I did pick up a very nice item called AVENGERS STORYBOOK COLLECTION which has some really nice art of thanos, ultron and so on, well worth getting. 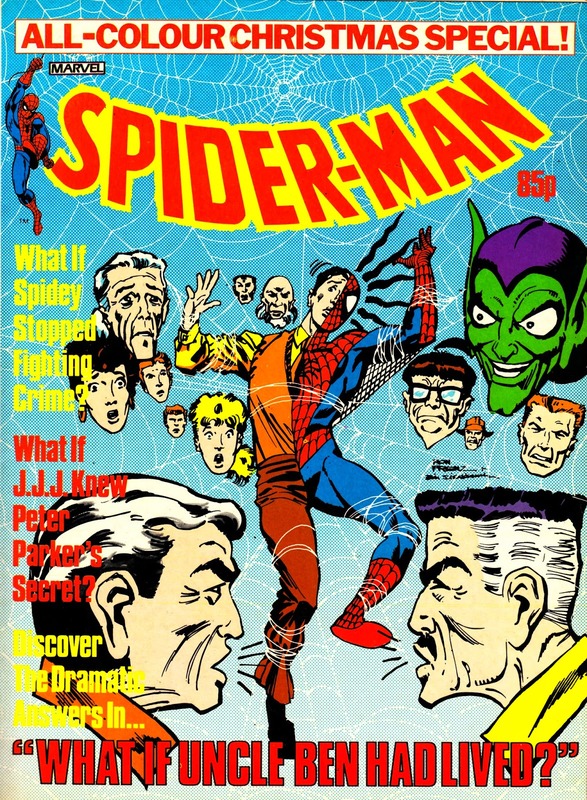 Also Slow, not sure if you keep up with the daily spiderman newspaper strip but they are currently using the hobgoblin which is unusual as they mainly use villains from the 60's such as doc ock or mysterio And harry osborn is now the hobgoblin which is certainly a departure from the origin story. 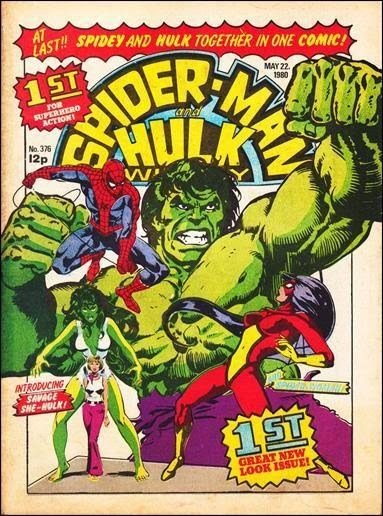 I must confess I assumed the AVENGERS book was for the kids and didn't look inside. I'll sneak-a-peek when I'm next in store. 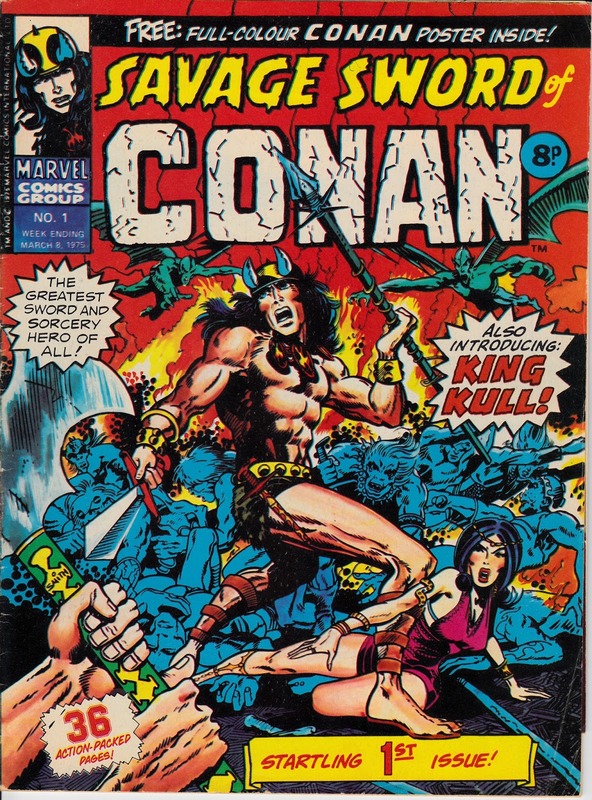 I picked-up the WEIRDWORLD TPB instead. Looks good. 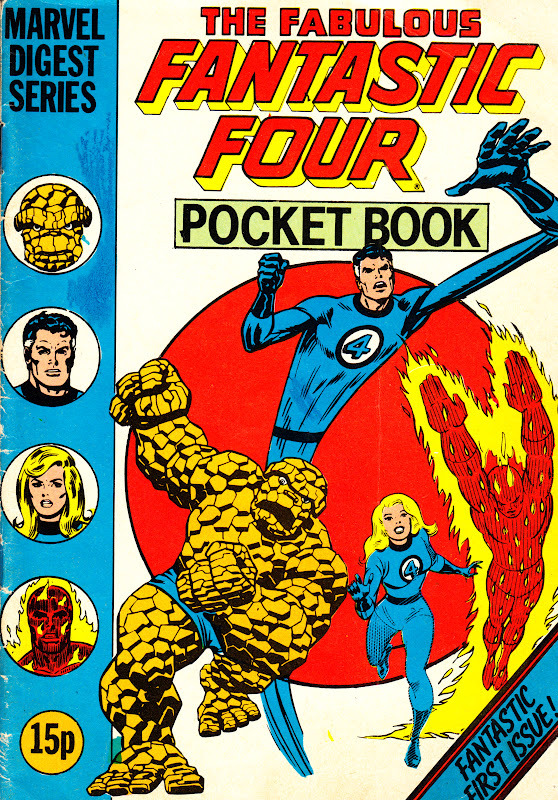 But Marvel must be laughing all the way to the bank with the prices they charge for all-reprint trades. On a related note... 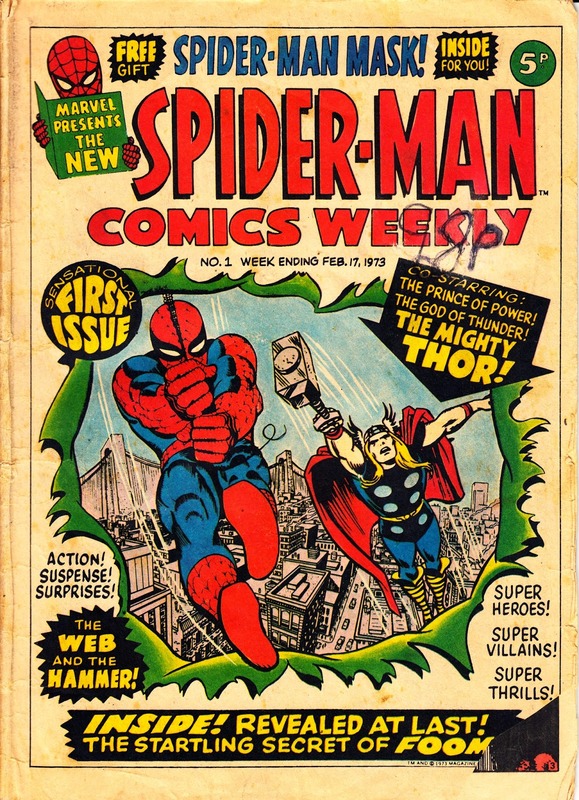 I've rather enjoyed the various compilations of the first issues that Marvel have been pumping out over the last few years. 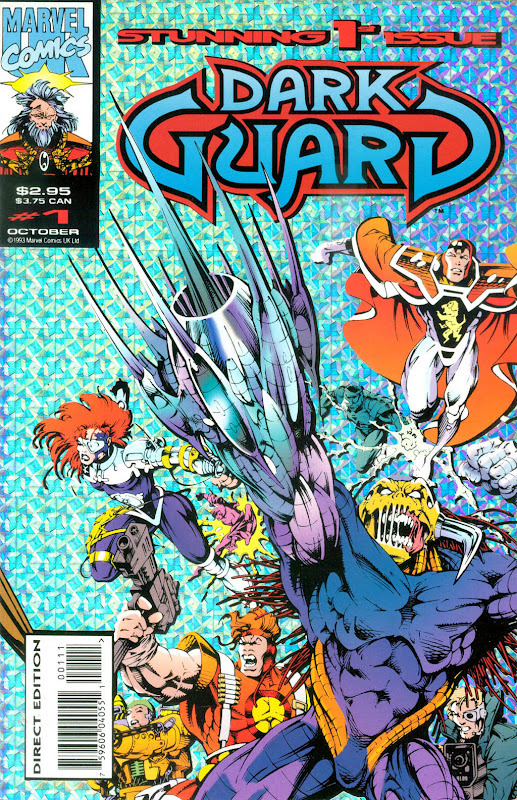 Not great if you want to follow the story arc but a nice way to sample each run. 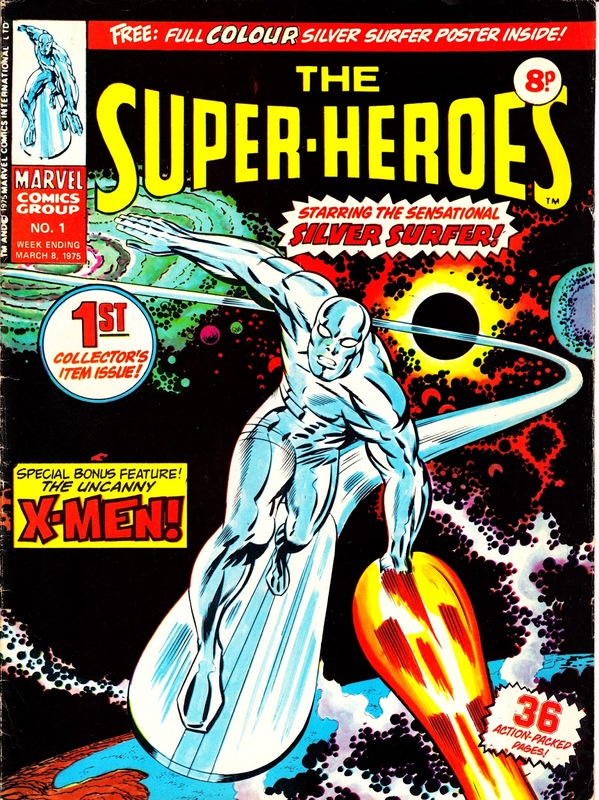 Plus the cover galleries are rather nice. 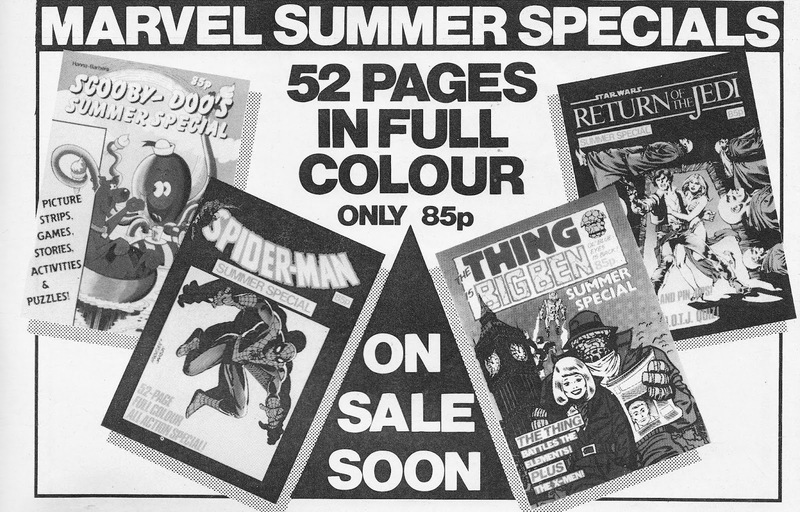 So I was disappointed to see that the 1990s edition is going to appear as one of their hardback whoppers with a price to match. 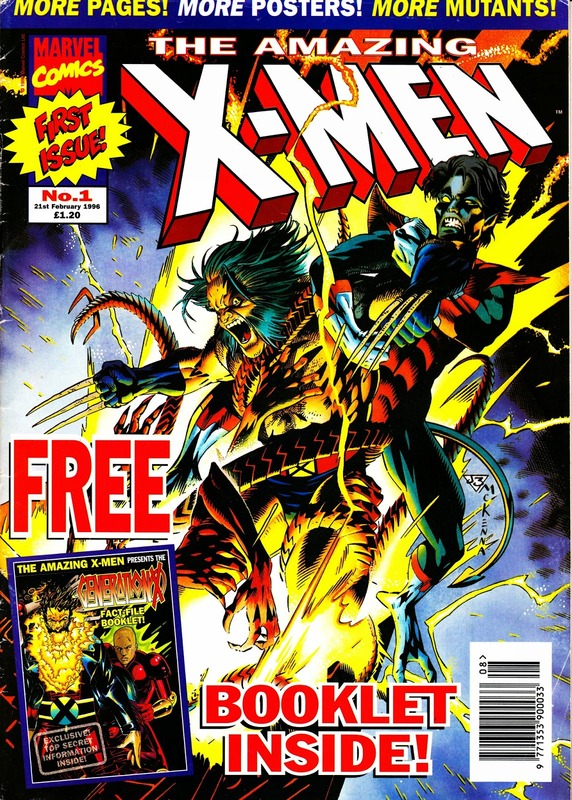 Maybe Marvel don't realize that you can find the first issues of most 1990s series for 50p a time in the bargain bins. 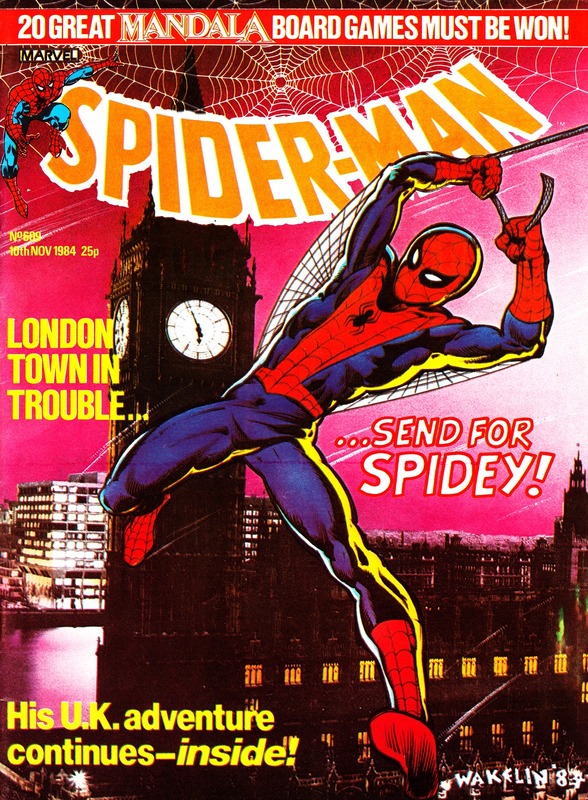 Does any British paper run the SPIDER-MAN strips? Have they ever? 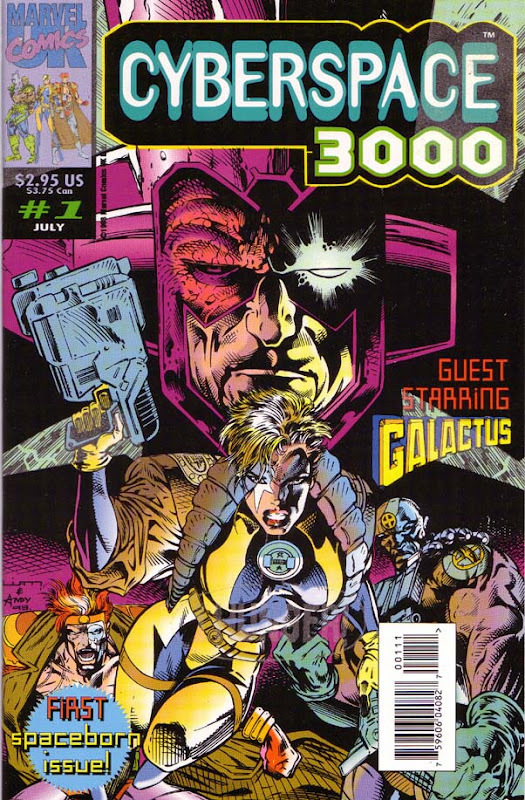 Quite an omission considering its had a series of movies to grab the reader's attention for well over a decade. 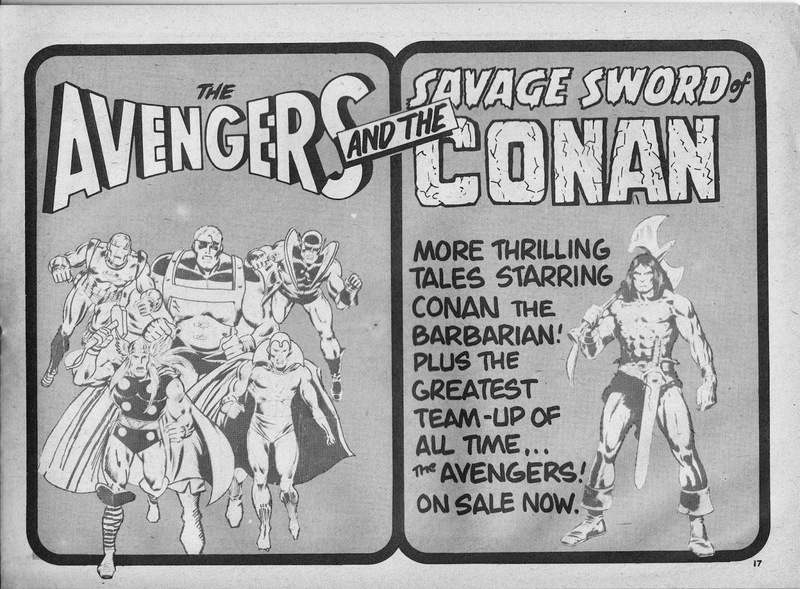 Maybe adventure strips just don't travel well. 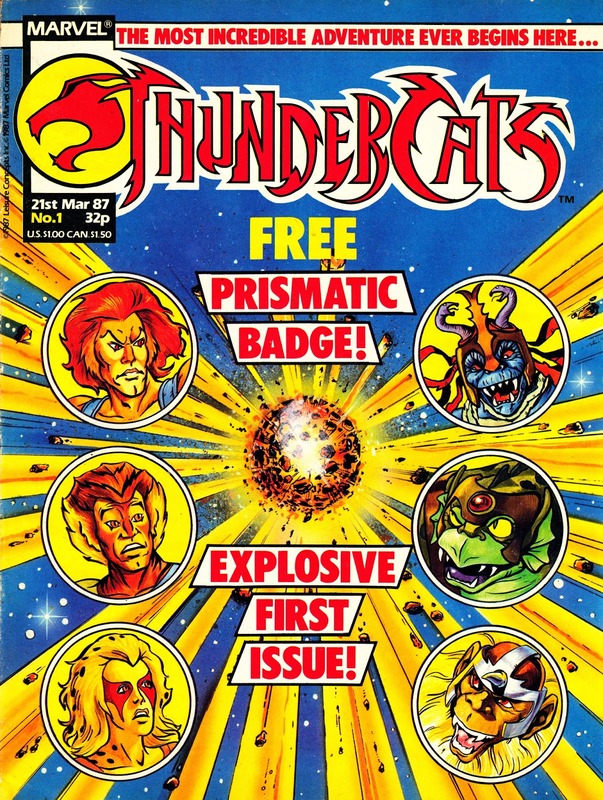 I'm sure it was aimed at kids but the art was so nice i just had to buy it and it was a darned sight cheaper than those trades ! 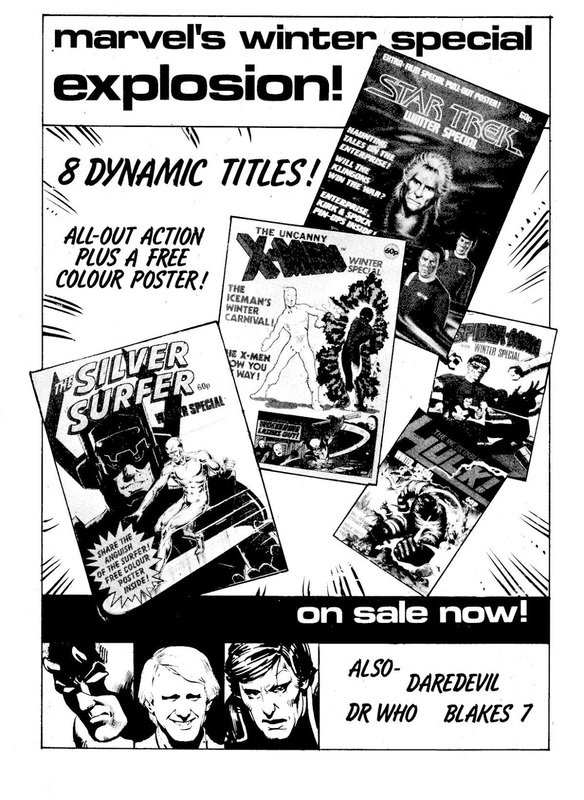 Speaking of which , its quite the job just keeping up with all these reprint volumes and yes they are expensive, in fact my WH SMITH eqivalent charges even more for them than forbidden planet ! 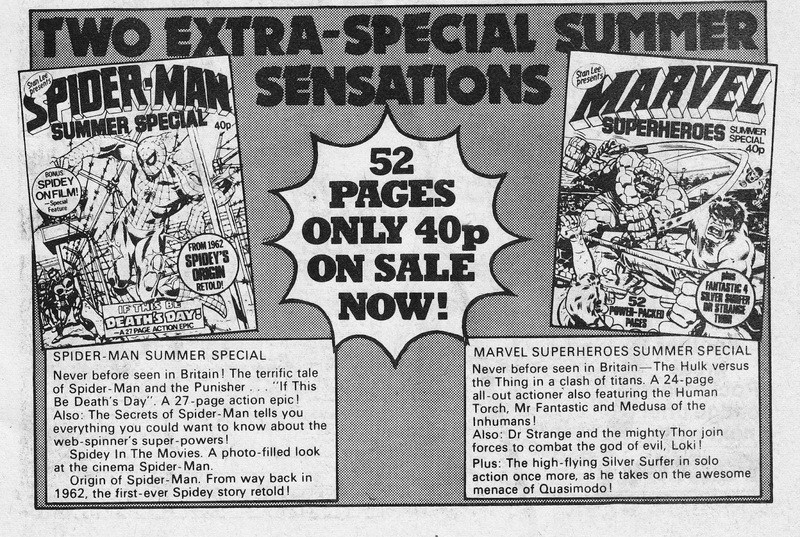 And its a shame about the hardbacks as it just means a price increase. 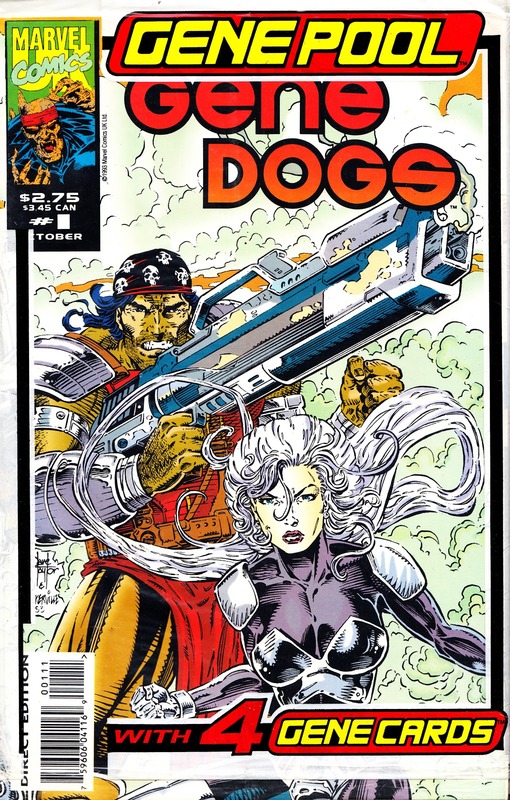 I 've really been enjoying the 90's volumes such as QUICKSILVER and NICK FURY as I pretty much stopped reading comics during that decade so its been great to re-discover those stories. 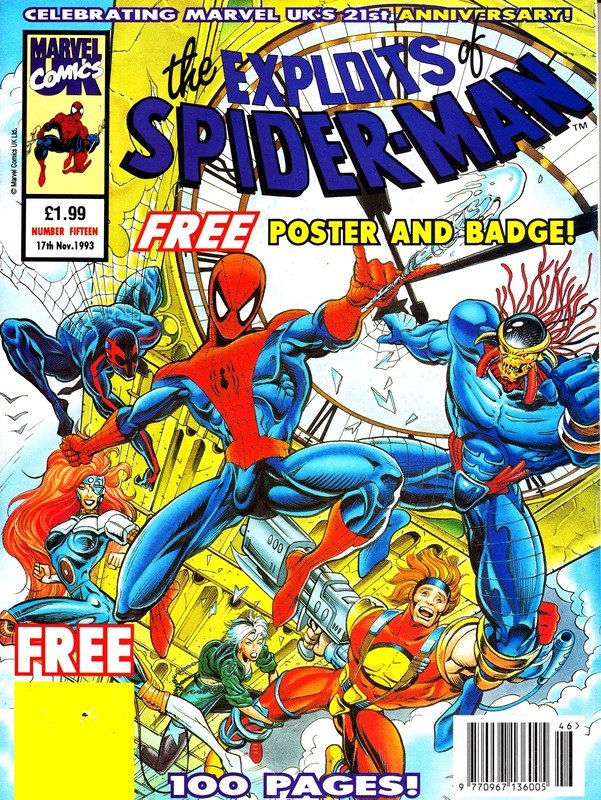 I'm not aware of the spidey strip being in uk papers, all they have is garfield or garth although there have been some recent trades which collected the older usa newstrips for spidey. 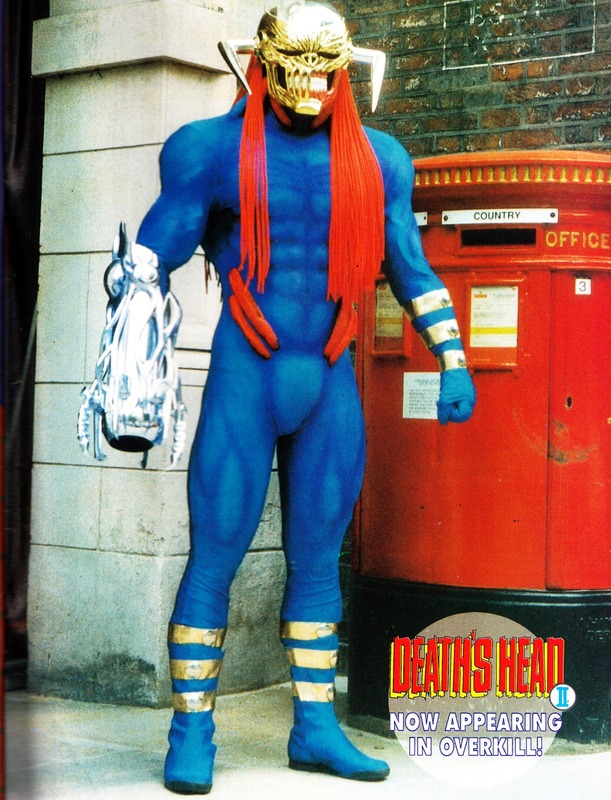 The hobgoblin storyline is a particular favourite of mine from the 80's so I was a bit dismayed that they changed his origin and the colour scheme of his costume. 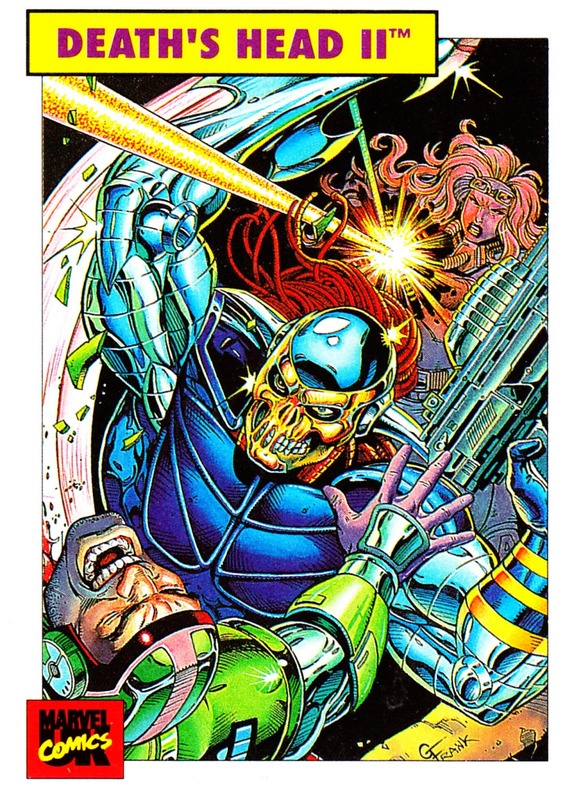 Still it hasnt stopped me from getting the evening herald every day and saving each strip....right now, the hobgoblin has vanished and black widow has arrived. 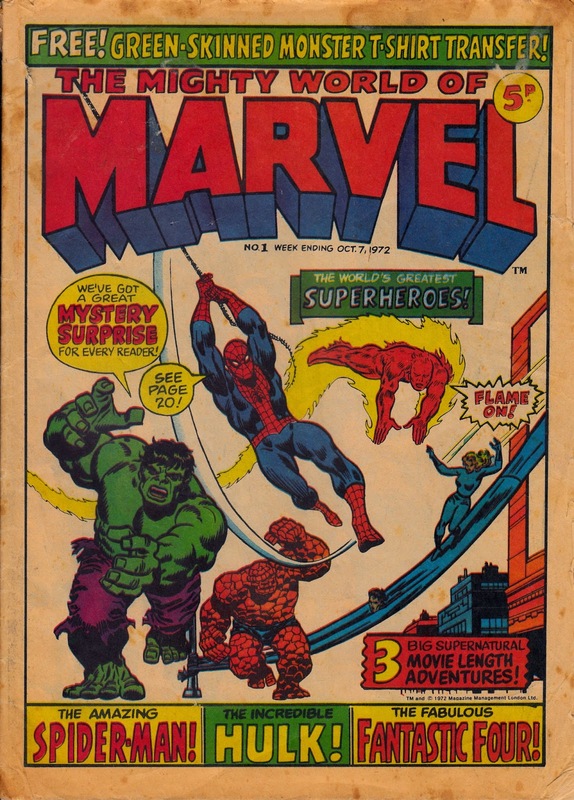 the ongoing MARVEL GRAPHIC NOVEL and MARVELS MIGHTIEST HEROES series are also an excellent way to get an entire run of classic issues, the most recent examples being WARLOCK and DR STRANGE. I agree. And the price is far more palatable. 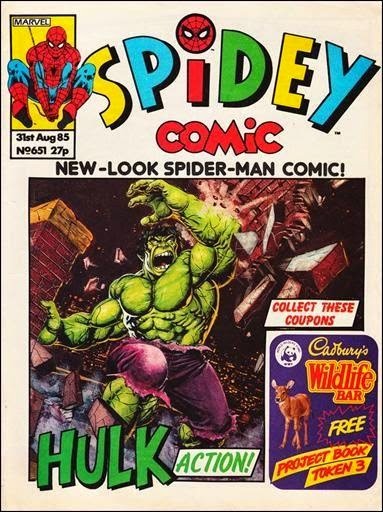 I must admit I have largely stopped buying Marvel imported trade paperbacks if I suspect that the British hardbacks will present the same material. The DOCTOR STRANGE "Red Cover" popped-up in comic stores last week... swiftly followed by a THING edition (printing a run from MARVEL TWO-IN-ONE) in WHS over the holiday weekend. 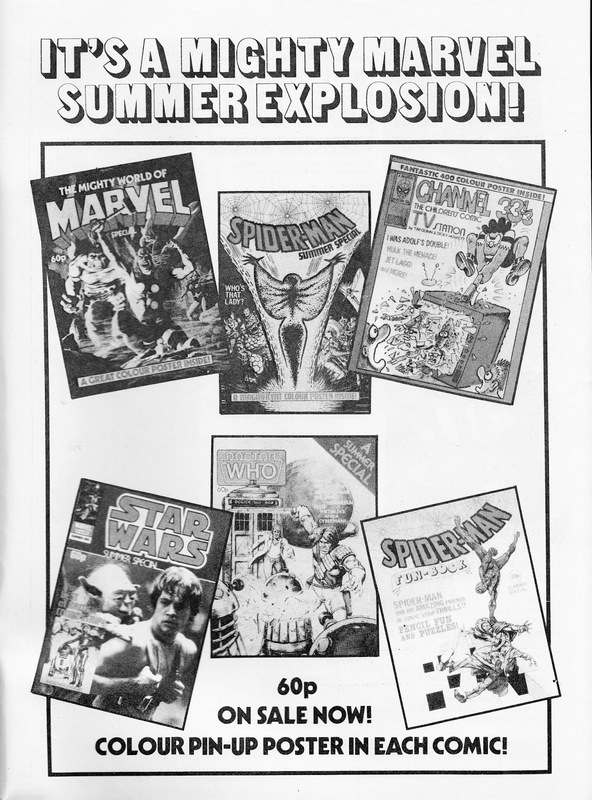 I may have been premature in saying that the SFX line of specials had ceased. In the last week in association with TOTAL FILM, they have brought out not one but TWO handsome volumes, one on george lucas and the other is a fantasy special. 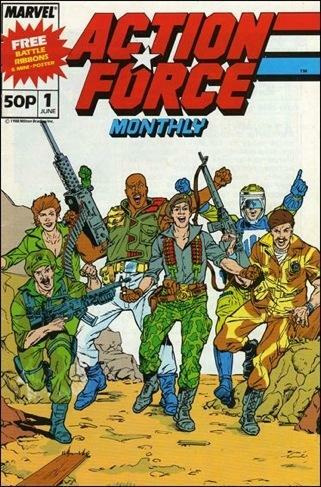 And SCIFI NOW also have a new superhero special out. I spotted the new SFX SPECIALS as well. 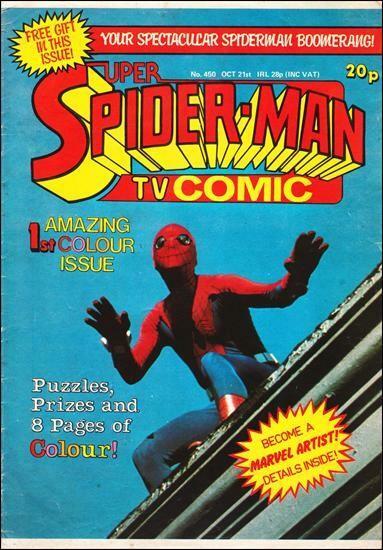 There's no mention of the LUCAS edition in the regular magazine so maybe they published it without anyone noticing?!? 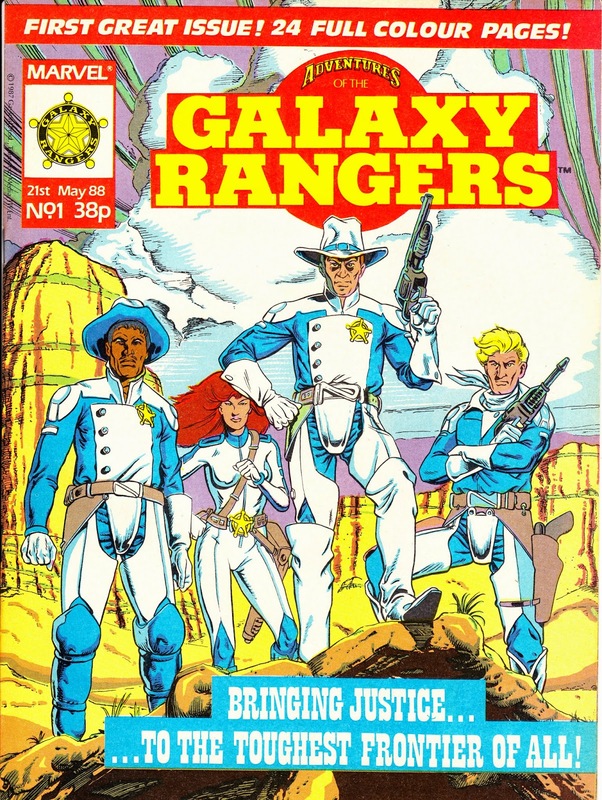 It's not, as I initially expected, a rehash of the Lucas special they published a few years ago. Is the SCI-FI NOW newbie actually new? I'm sure I've seen/ got something similar from a couple of years ago. Is there much that is new inside? 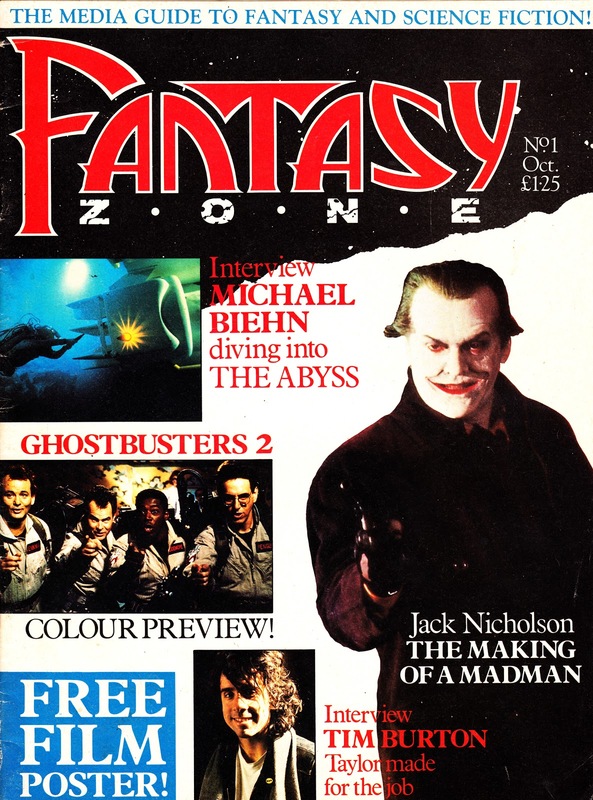 There's hardly any mention either of the fantasy special in the regular mag, I think this must be a knock- on effect of their producing the specials in conjunction with total film but its strange how two specials were released at the same time. 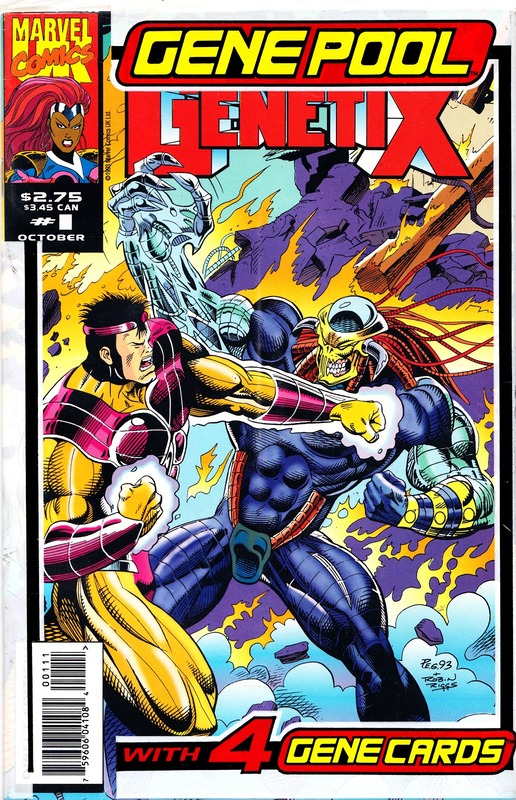 Looking forward to the 20th anniversary edition of SFX ! 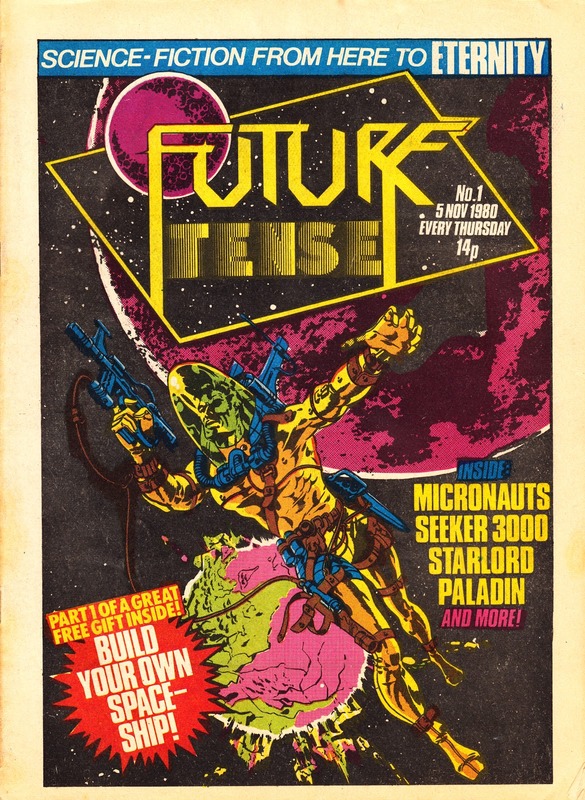 The scifi now special is most likely an updated version of the previous comics edition, it even has an almost identical cover although I 've not yet looked inside. 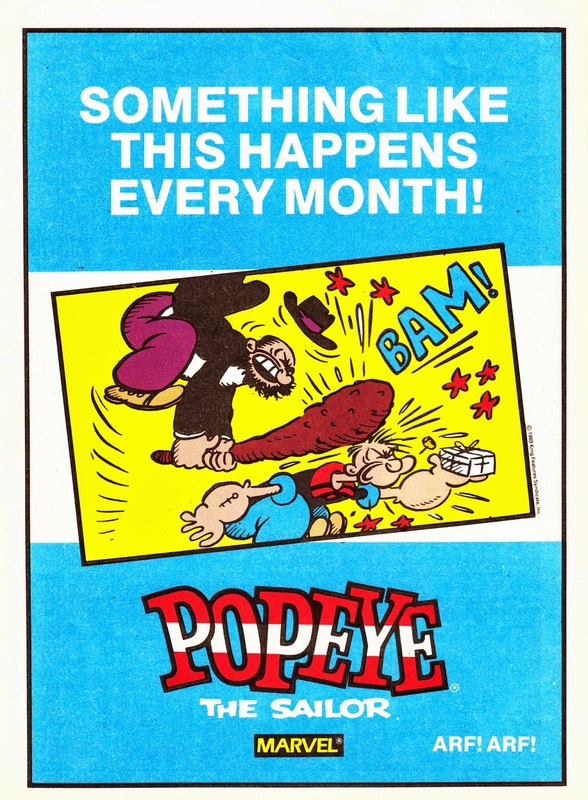 There sometimes seems to be a disconnect between what the regular SFX is saying and the reality of what's on the shelves. I seem to remember them claiming, at the end of last year, that one of the specials (the one that is also sold bagged) wouldn't be on sale for a while... but it had already been on-sale for weeks. Interesting. 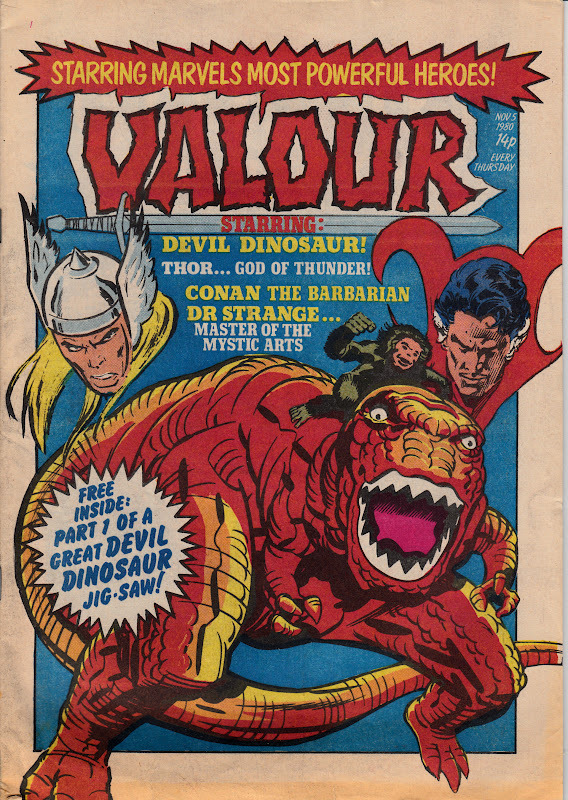 I would imagine (and I have no idea) that the STAR WARS saga (and Star Wars-alike wannabes), Dinosaurs and Monsters (pegged to the new JURASSIC PARK outing) and (of course) screen superheroes would albe possibilities for future one-shots. 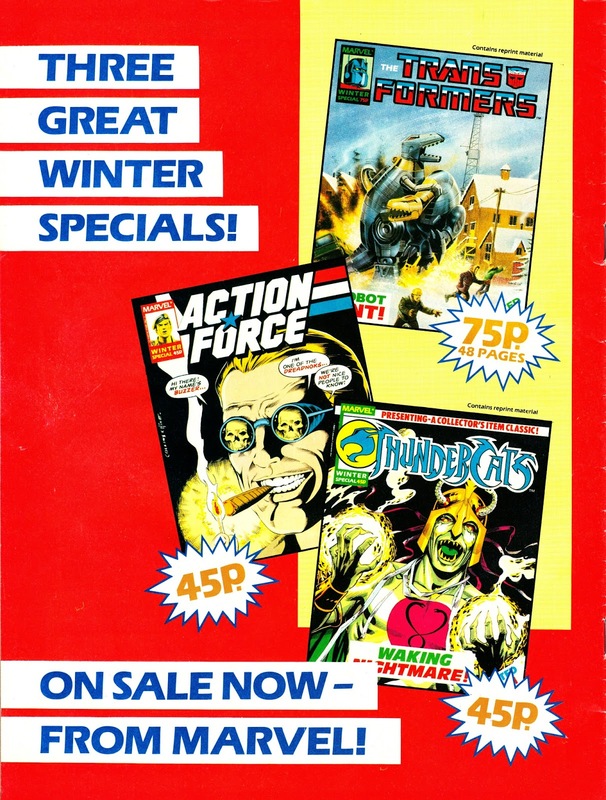 London's FP store STILL seems to have a good stock of the SFX ROBOCOP one-shot from January 2014.
speaking of back issues, my FP had a few copies of SFX ANIME SPECIAL ( NO.57) on the shelf. I grabbed it as its in the old ' wallet ' style with all the freebies. 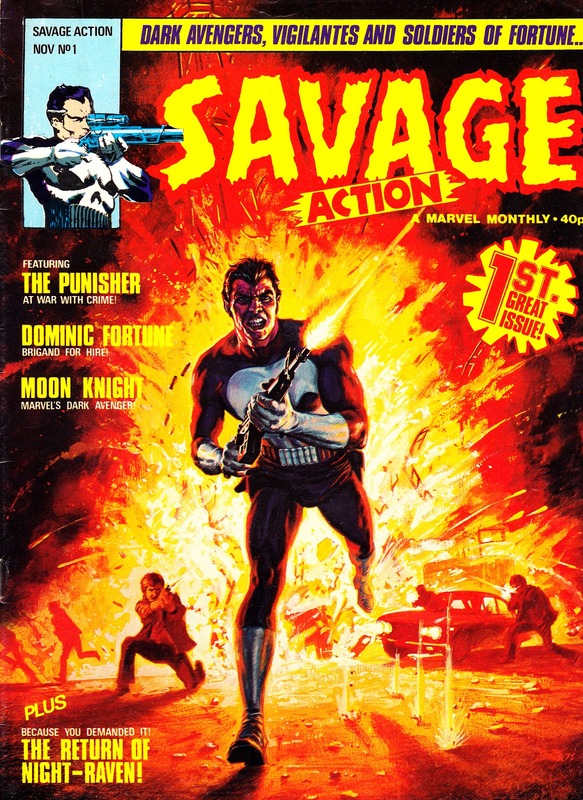 also in FP today , issue 2 of ACE and it looks as good as the first. 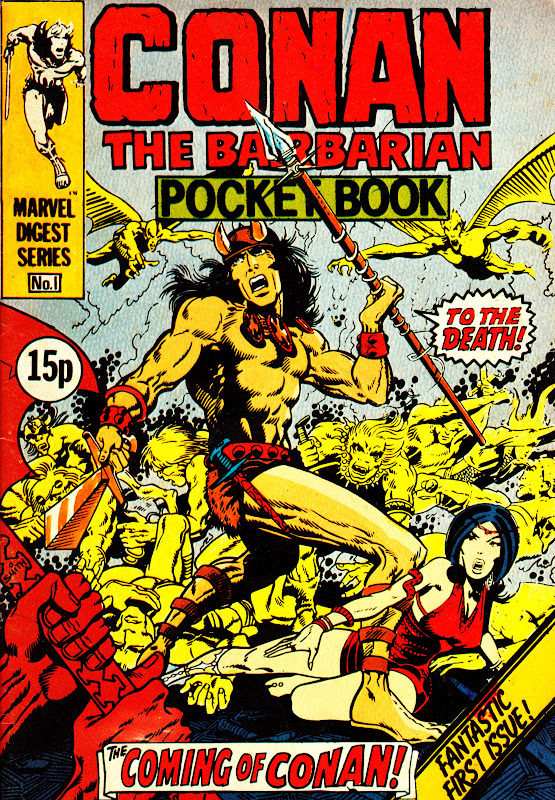 And slow, look sharpish for THE ART OF HE-MAN, a real treat for fans of masters of the universe. I picked up the whopping (and stunning) ART OF MOTU yesterday. It's an amazing book and manages to stand head and shoulders over the TRANSFORMERS packaging art book (which is, in itself, a great book). 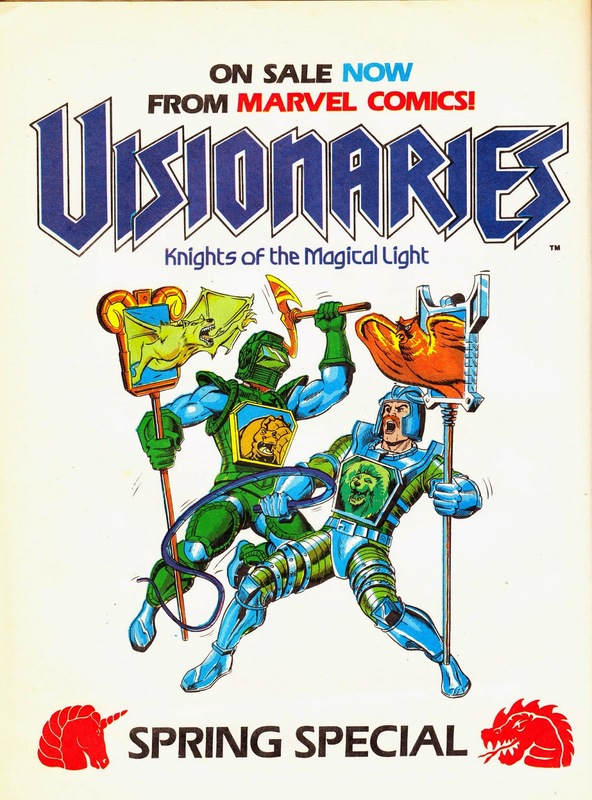 It covers every aspect of He-Man lore from the toy designs to packaging art, animation, marketing key art (some lovely stuff appeared in the US MOTU magazines), the US comics, the Cannon feature film and onward into the various reboots and revivals. 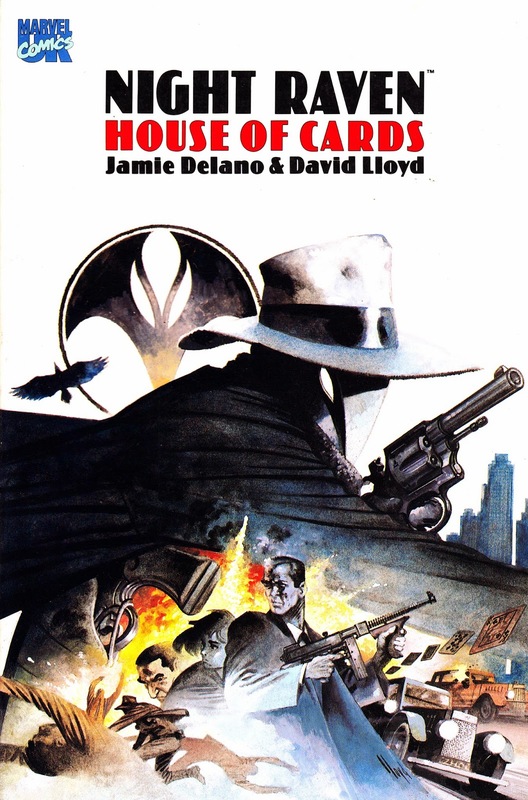 The only omission that I've spotted so far is that I didn't see anything related to the London Editions titles published here in the UK. It might be that I just didn't spot it when I was flicking through last night. 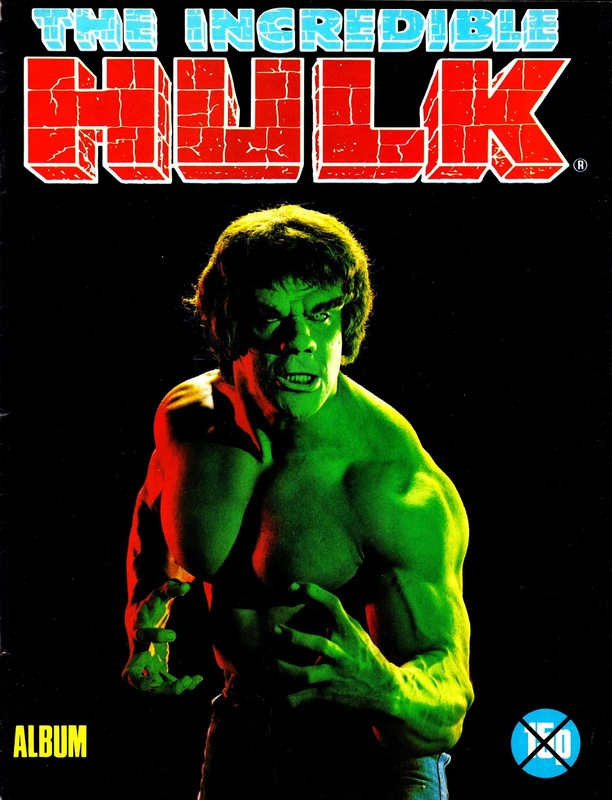 On the subject of Cannon films: I would also recommend tracking down a copy of ELECTRIC BOOGALOO, the new Australian documentary feature film about the turbulent history of the studio that fueled the eighties VHS boom with a tsunami of straight-to-tape (even if the studio did have high hopes of a theatrical release first) fodder that's so much fun. 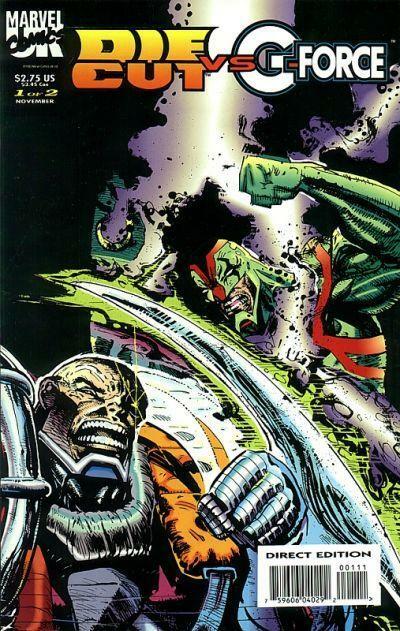 The MOTU movie is briefly covered. The only market that seems to have seen a physical release so far is Australia (which is where I imported the DVD from) but I'm sure that it will be released elsewhere once it has finished touring the international film festivals. It's well worth a watch. 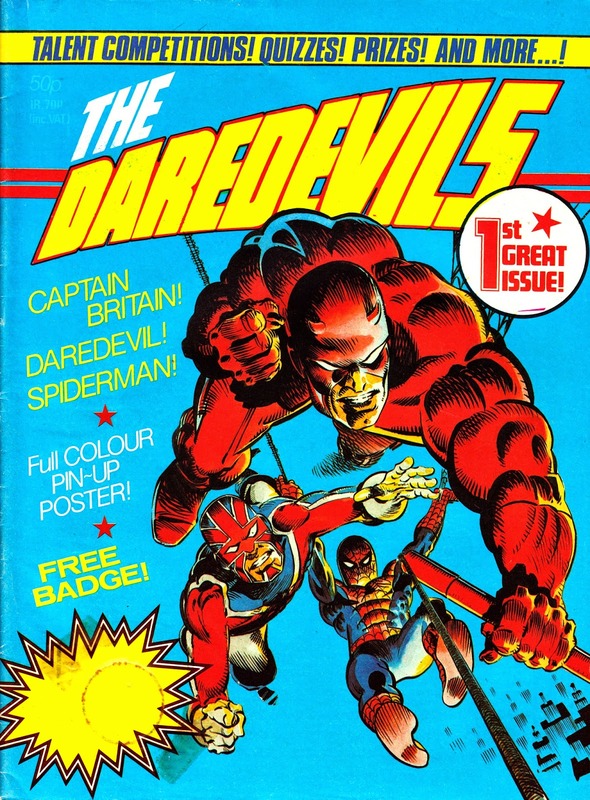 I've not had the time yet to peruse it fully but if the uk comic is indeed missing, a future blog here would fill the gap nicely ! 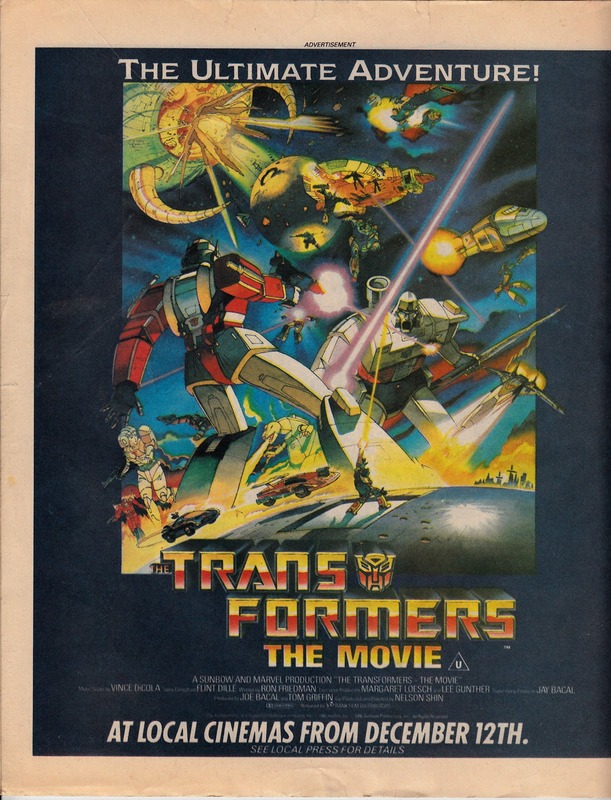 And I agree, it surpasses even the transformers art book.
" you are all beneath me "
is very similar to loki's in the avengers movie. 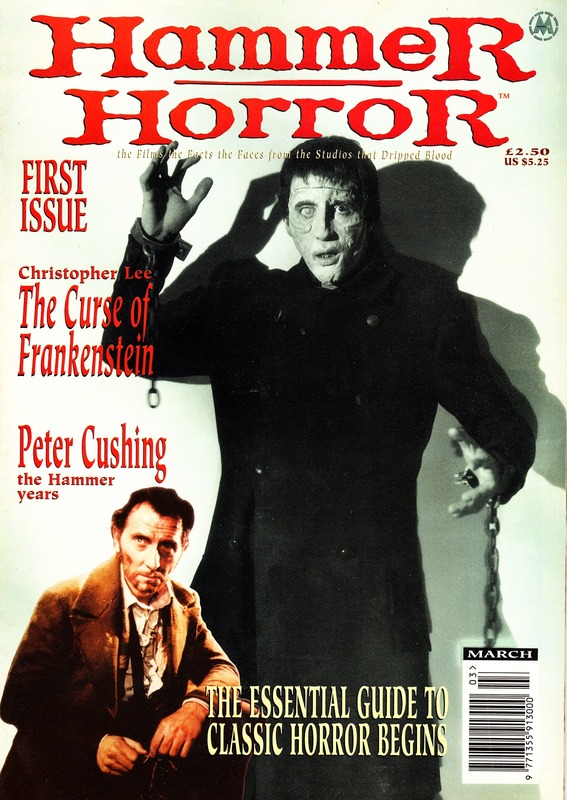 He was also superb as dracula. that cannon doc is a hoot ! 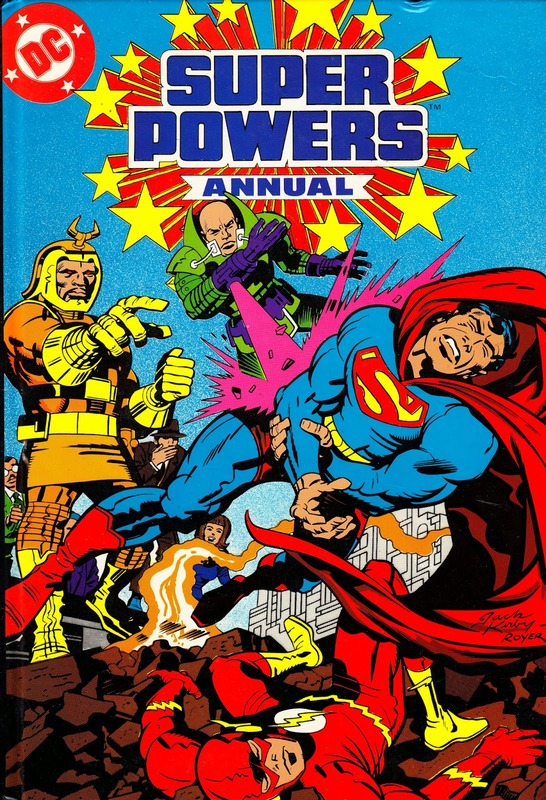 I forgot that they also managed to kill the superman movie series with the quest for peace and had touted several aborted attempts to film spiderman. 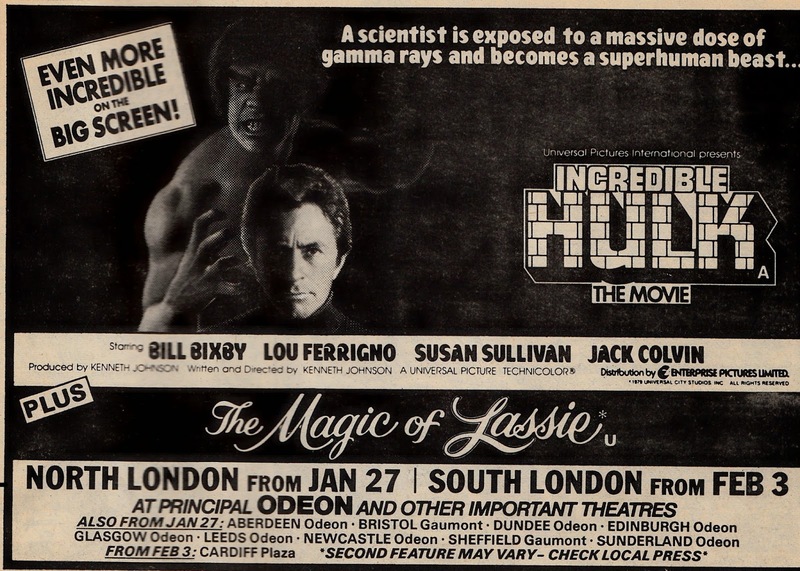 I remember starburst mag at the time being surprised at the quality of masters of the universe considering cannon's cheap as chips approach to moviemaking. 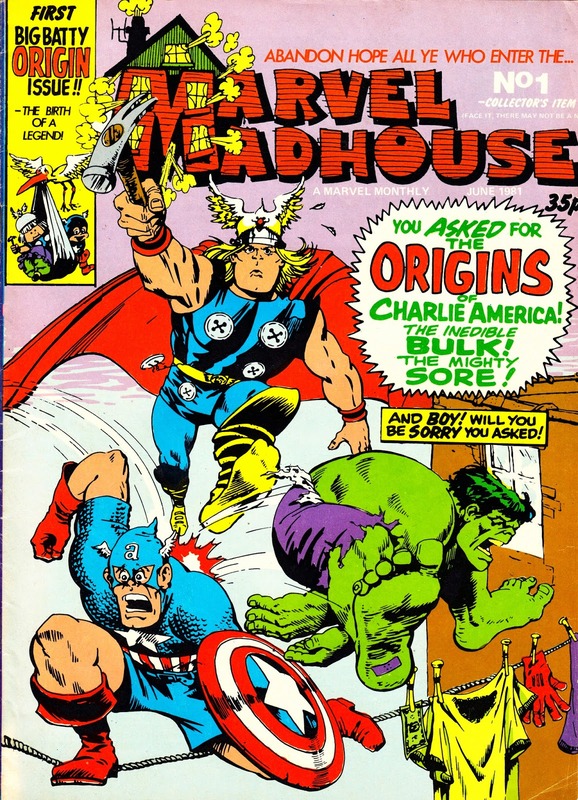 CAPTAIN AMERICA was also on their roster of would-be movies. 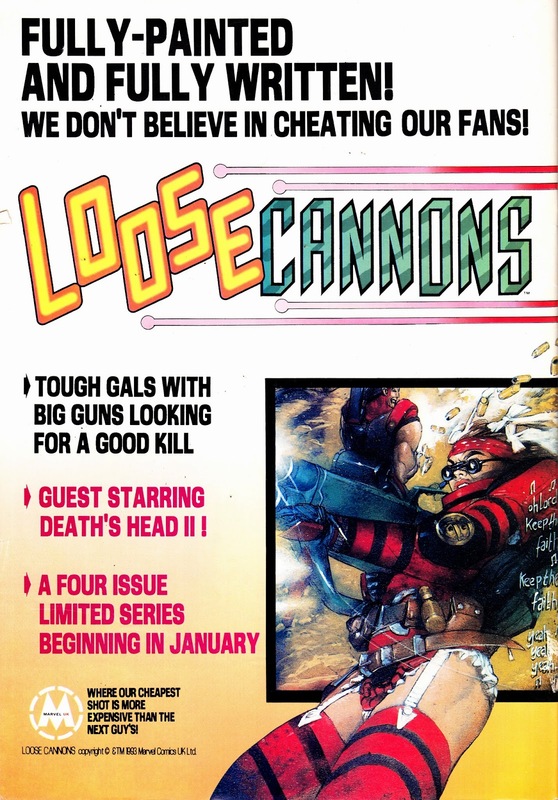 CANNON would announce everything they could and then see which ones sold. 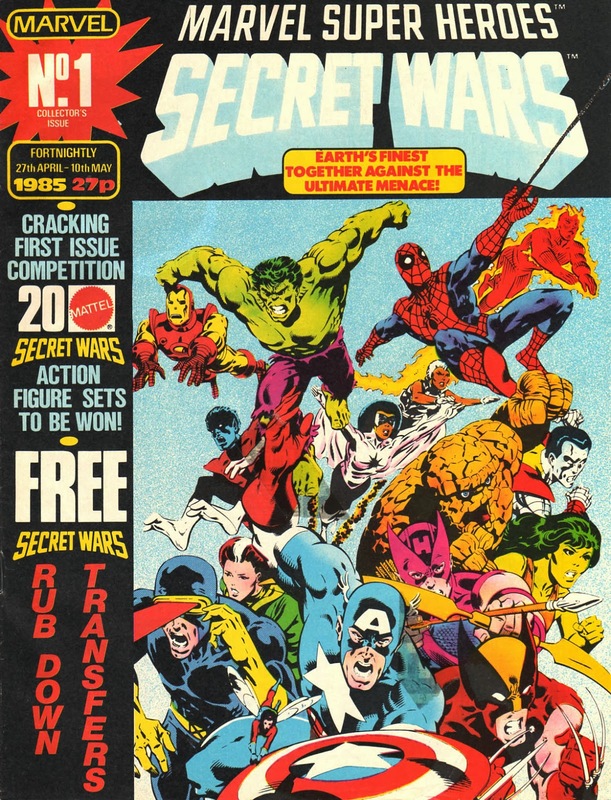 today I procured another lovely retro item, its a compilation volume of the secret wars activity books from the 1980s. One to look out for ! 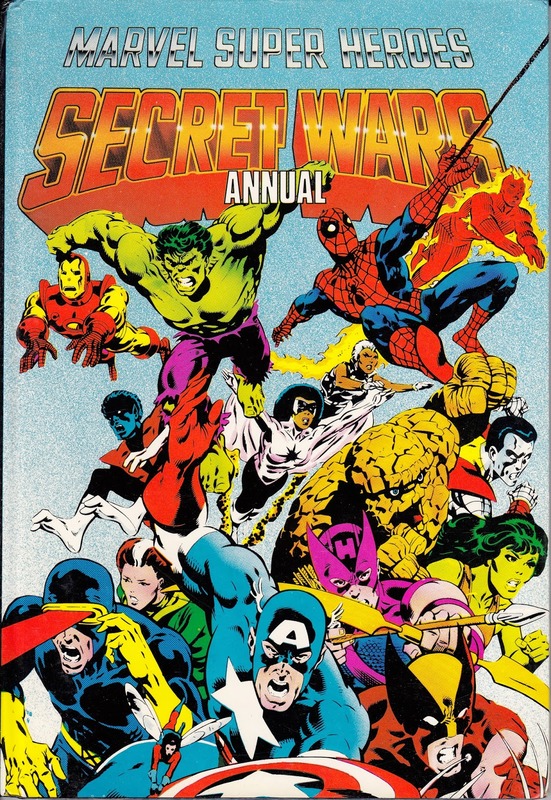 I saw that SECRET WARS book but I couldn't justify to myself the rather hefty cover price. 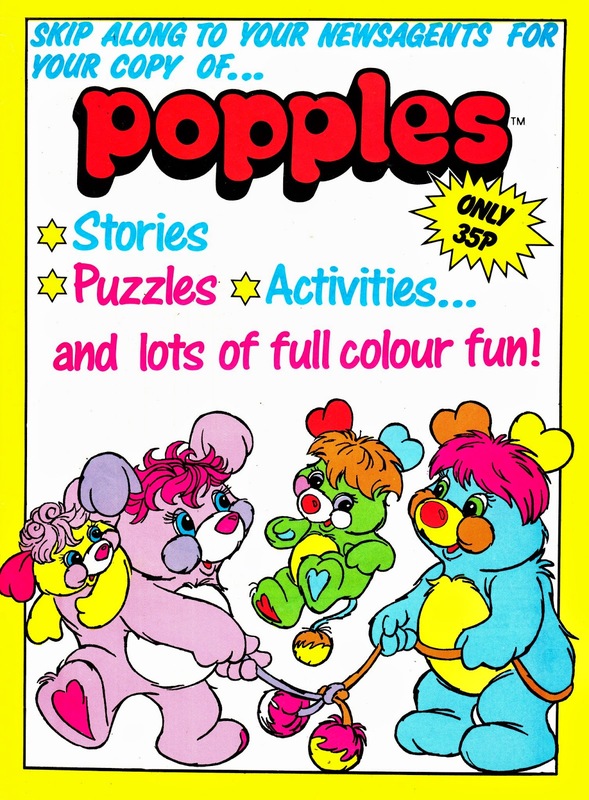 Did we ever get those books in the UK? 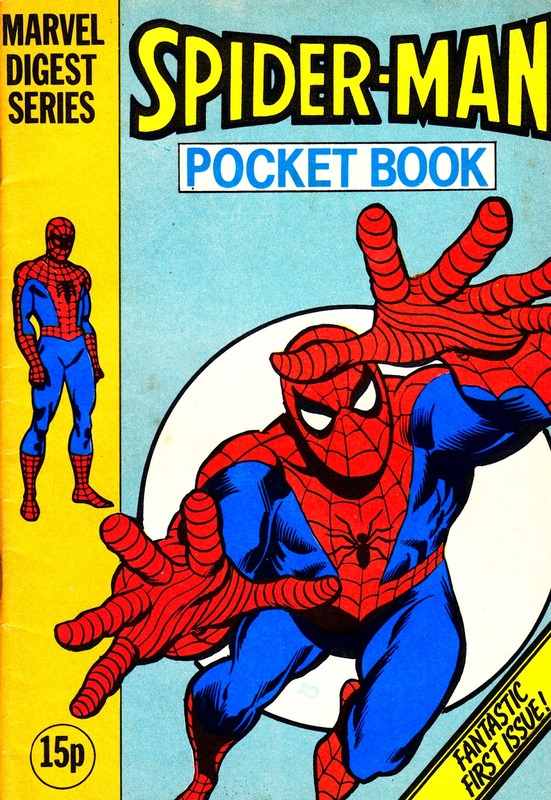 I would have been tempted if they had included a reproduction of the Panini sticker album because of the sheer amount of brand new art it contained. 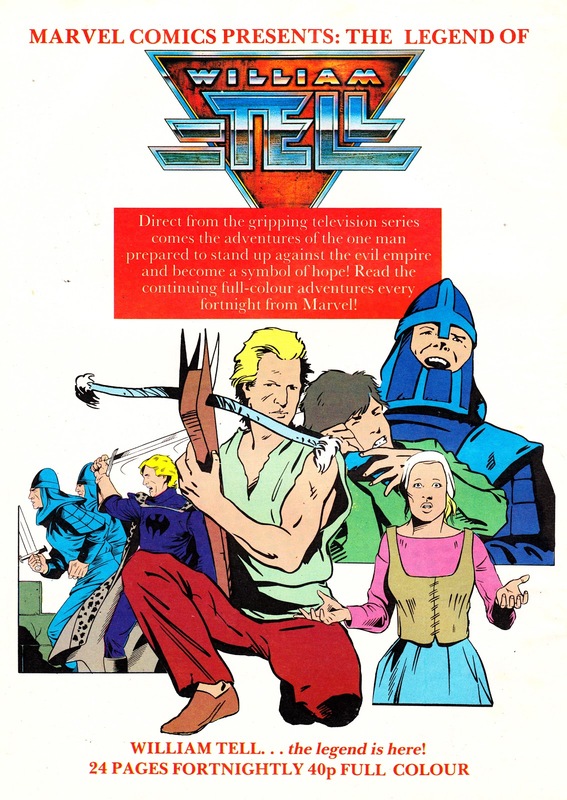 I have got my eye on the animated HE-MAN soundtrack release... I'm surprised they ever recorded a large enough inventory of library tracks to fill such an extended running time. 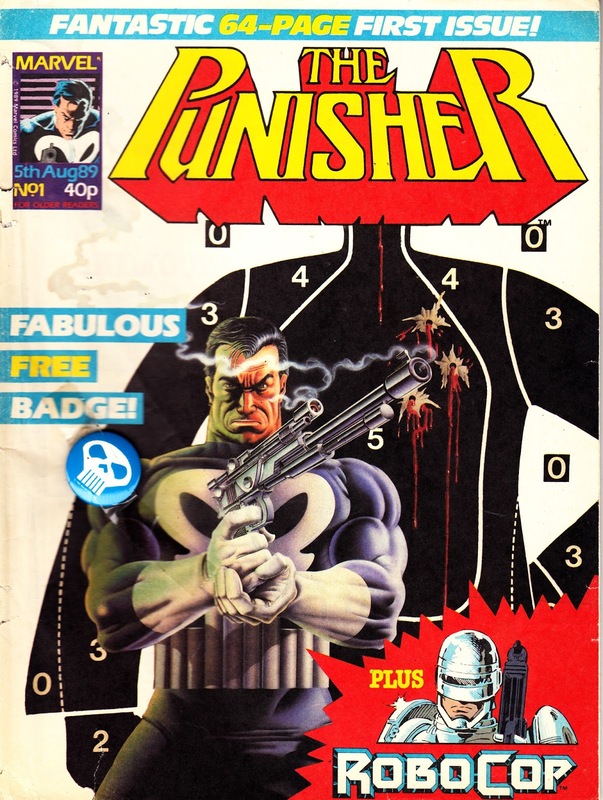 I remember that sticker album with 2000AD. It was one of the few that seemed to get some playground collector traction. 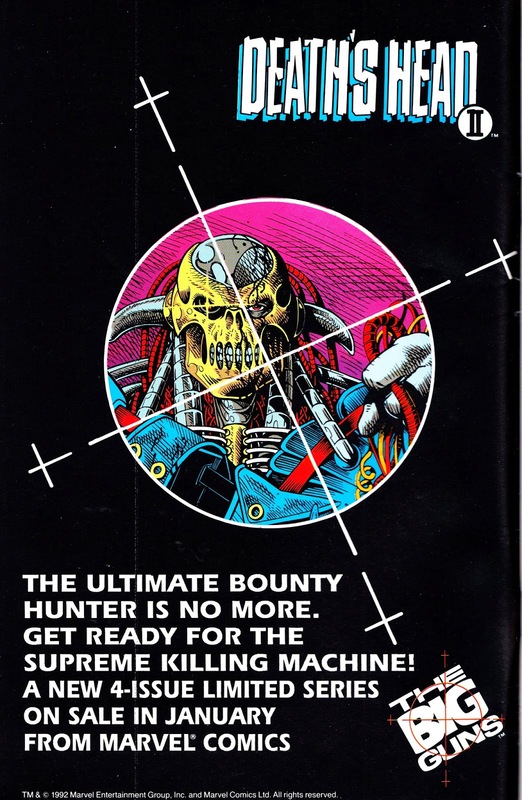 Most of those giveaways never seemed to get anyone to actually buy the stickers (DUNE: I'm looking at you). 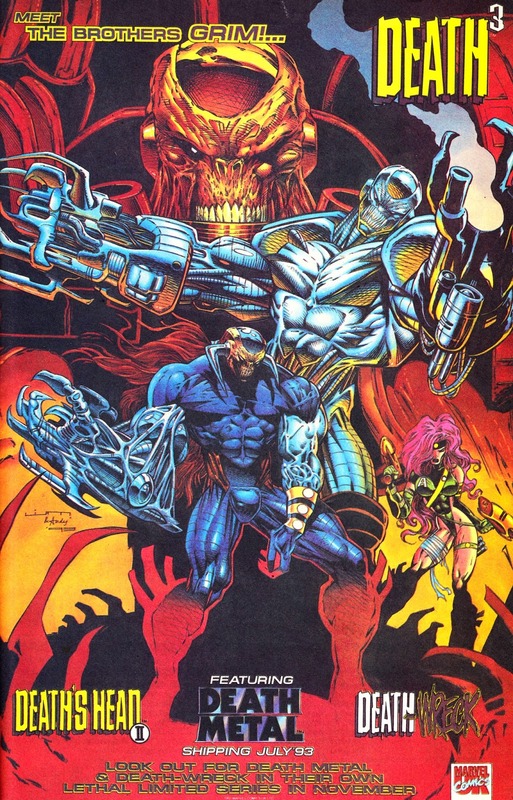 I dont remember ever seeing them here in ireland, the only exposure i had to secret wars was through the uk comic. 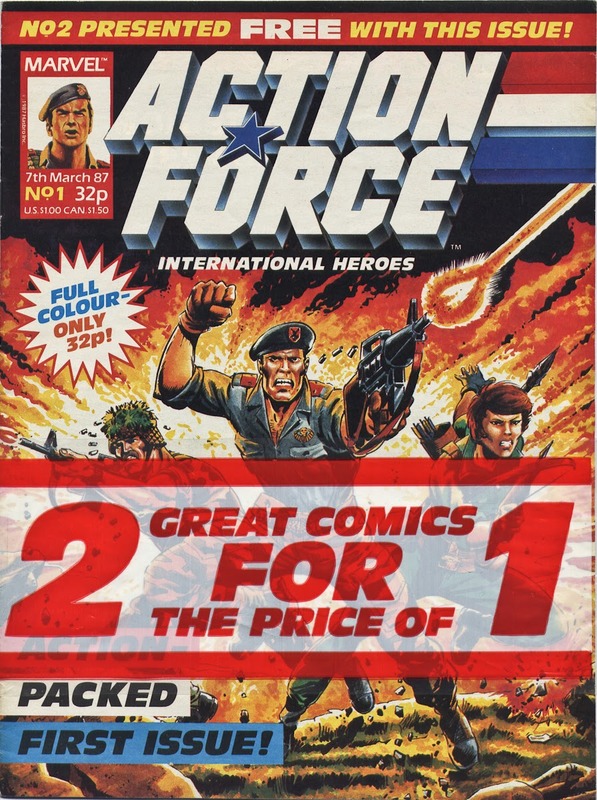 Yes the price did seem a bit steep considering most of the pages are just black and white but there are also some nice colour inserts so i just had to get it. 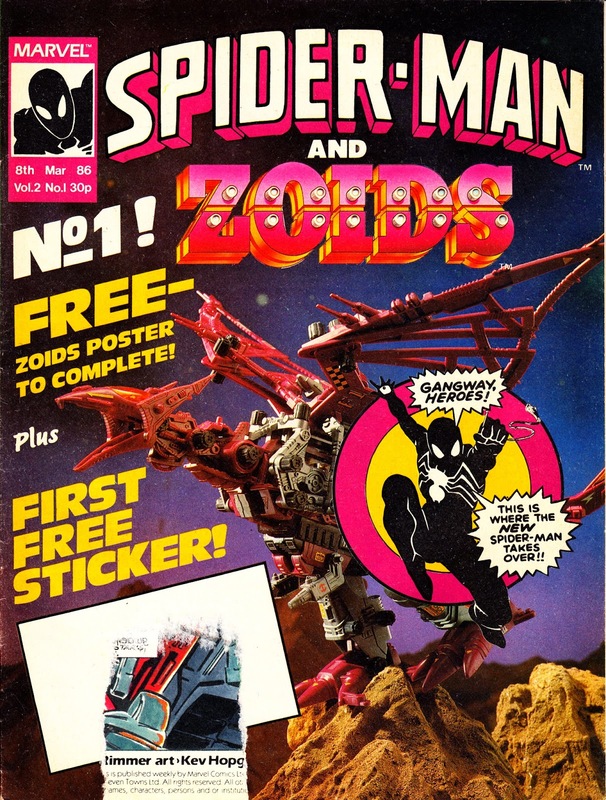 If memory serves ,the secret wars sticker album was a free gift in spiderman -zoids. 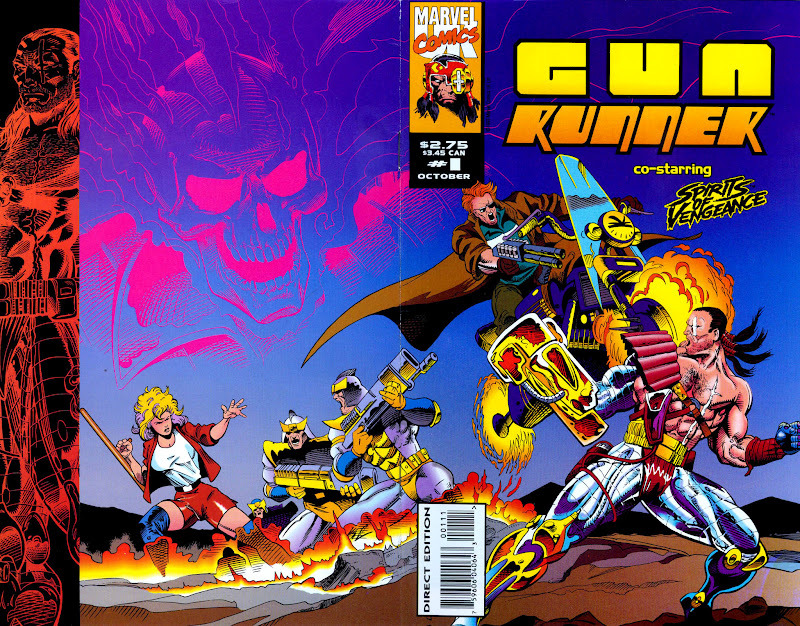 In recent years, i've managed to accquire various albums from dealers including transformers , he-man , buck rogers and yes even dune ( with nearly all of the stickers inside ! ) DUNE is one of those movies that seems to have passed most fans by although it has aged very well. Its a shame that david lynch has dropped out of the twin peaks sequel. 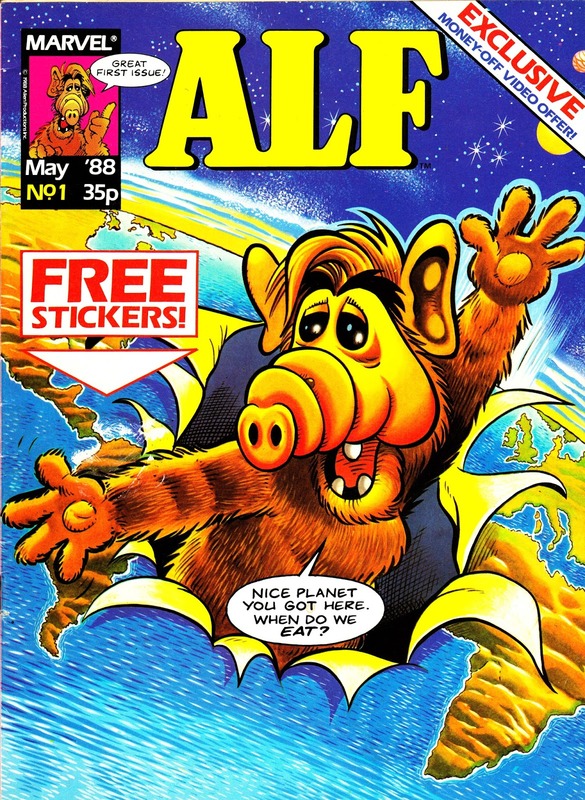 Its nice that the custom of free sticker album giveaways is still going strong. 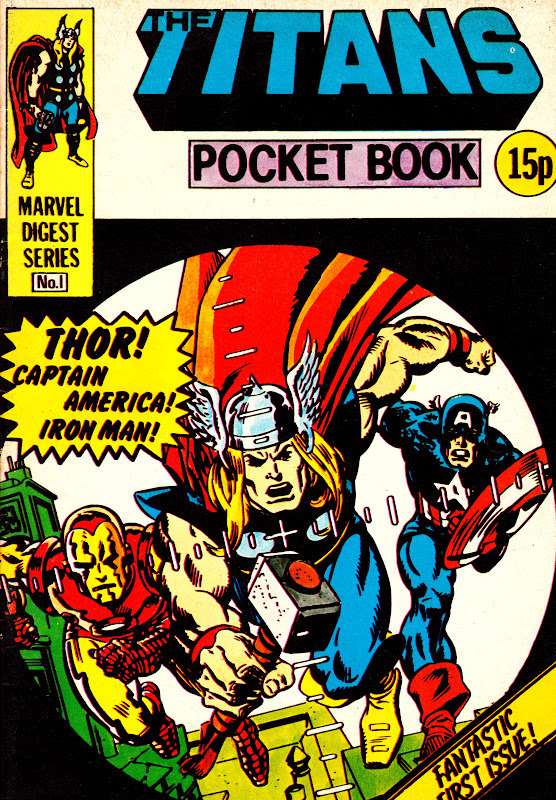 In the last few weeks, no less than THREE uk marvel titles have come bagged with the avengers age of ultron album. Hurrah ! 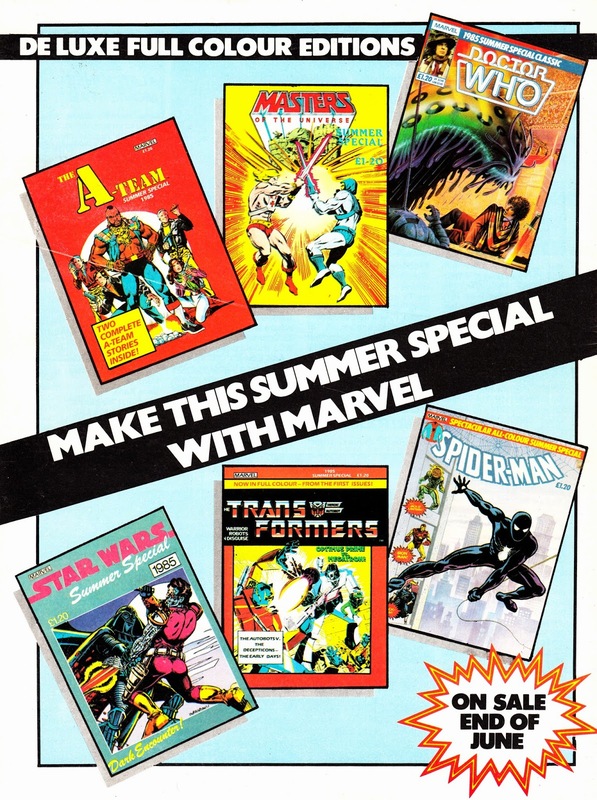 The SECRET WARS album, as I recall, came bagged with TRANSFORMERS, SPIDER-MAN AND ZOIDS and SECRET WARS II, reviving the old IPC tradition of giving the same third-party supplied gift away in several different weeklies. 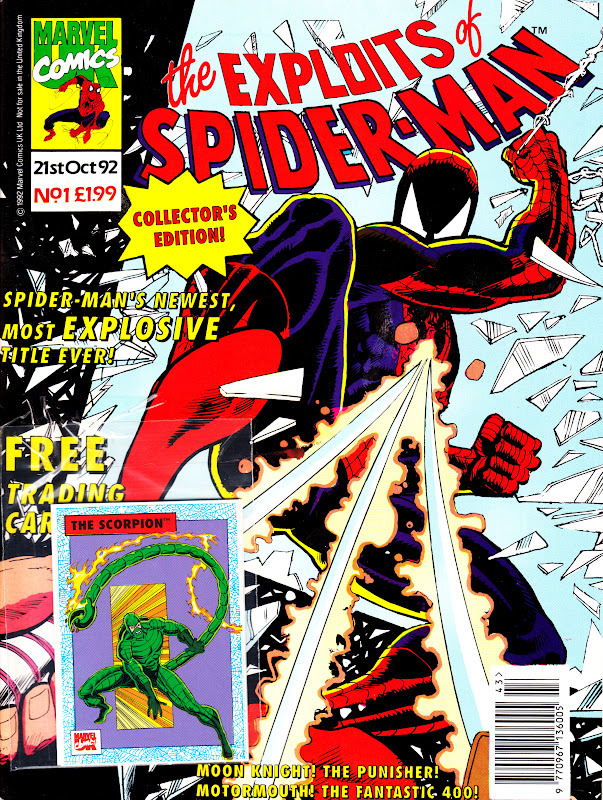 Two trade paperbacks worth a look this week: a second collection of eighties black costume era SPIDER-MAN strips. 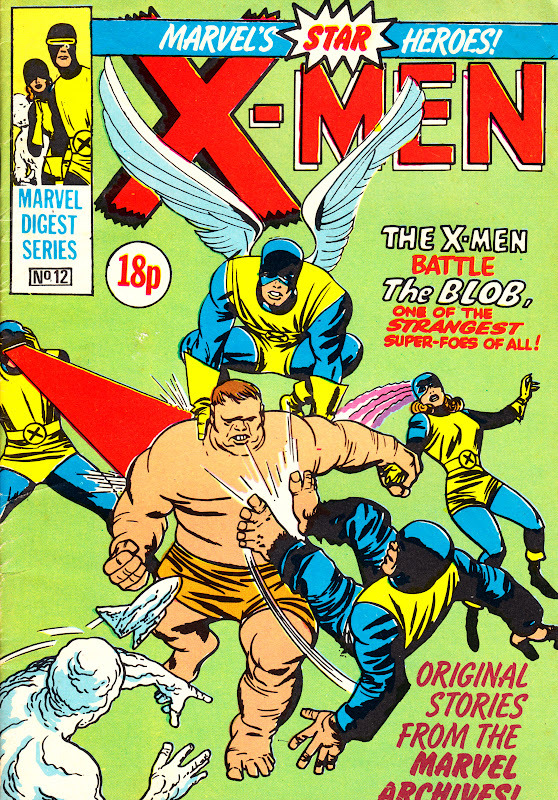 These may overlap with other volumes of reprints from the era and seemed ridiculously steep at £33 a copy. I passed. 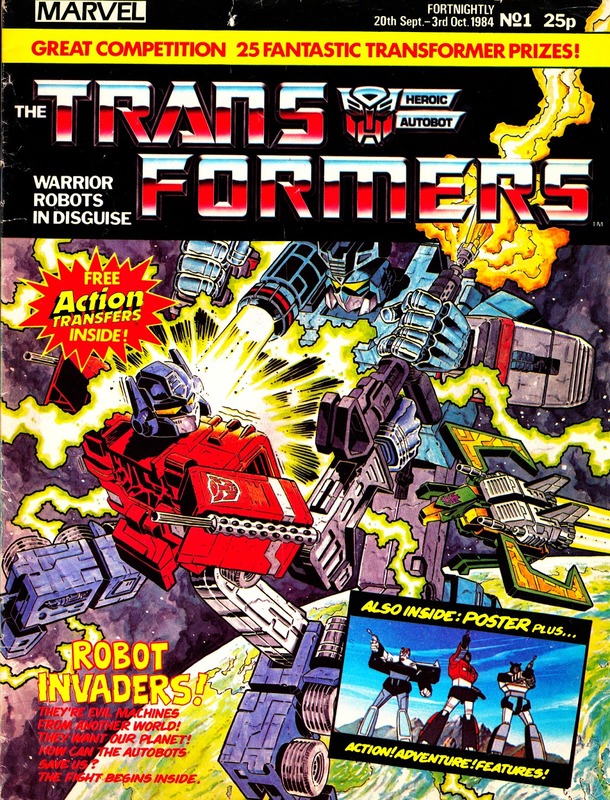 The latest IDW collection of eighties TRANSFORMERS material reprints the four-part TRANSFORMERS A-Z series with extra profile pages, which I assume come from the monthly book, slotted into the relevant place in the running order. 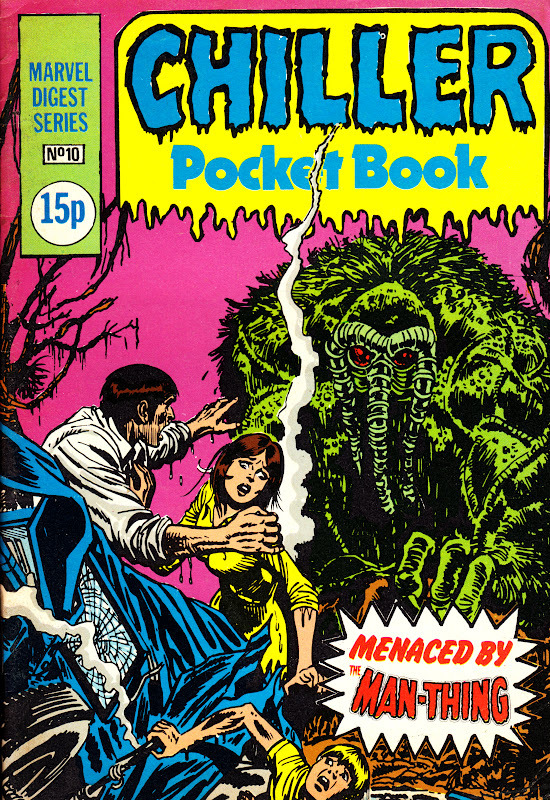 It also reprints the wretched G.I. 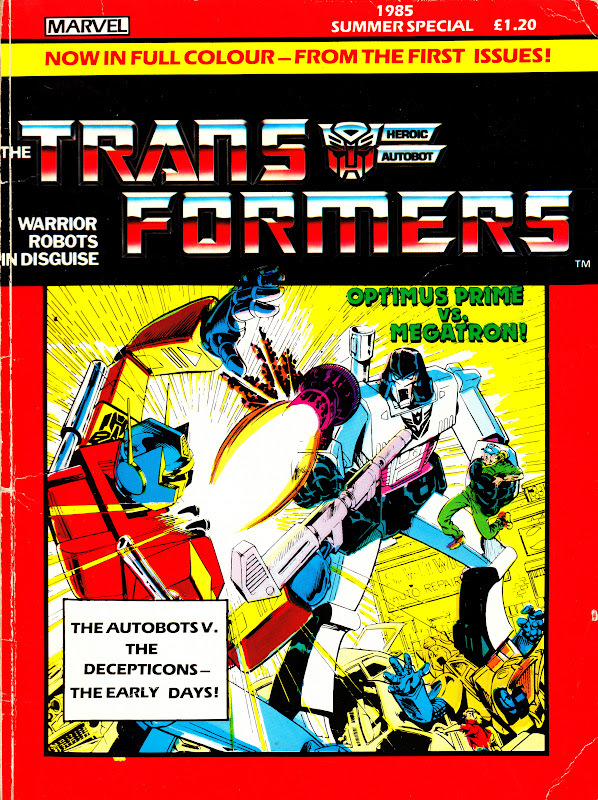 JOE/ TRANSFORMERS four-parter which has also appeared as part of another collection. 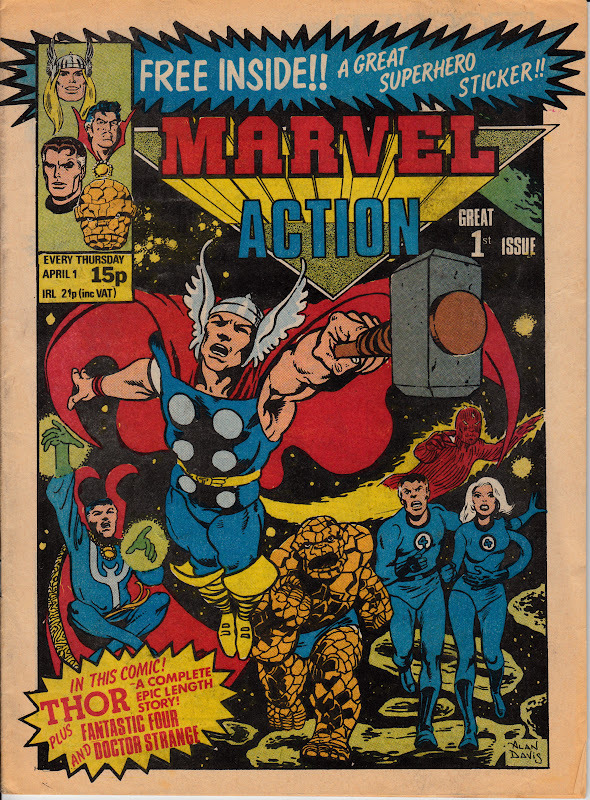 There are some nice reading notes to accompany the reprints... although they don't come anywhere near the quality of the notes in the volumes of Marvel UK reprints. 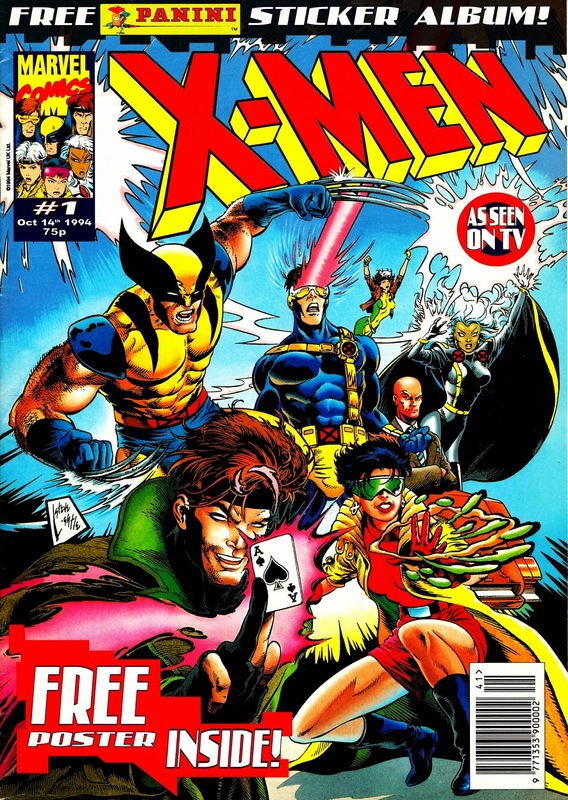 Panini have also just published another three POCKET BOOKS: another X-Men volume, DAREDEVIL (pegged to the Netflix series) and AVENGERS WEST COAST (capitalizing on the new movie). 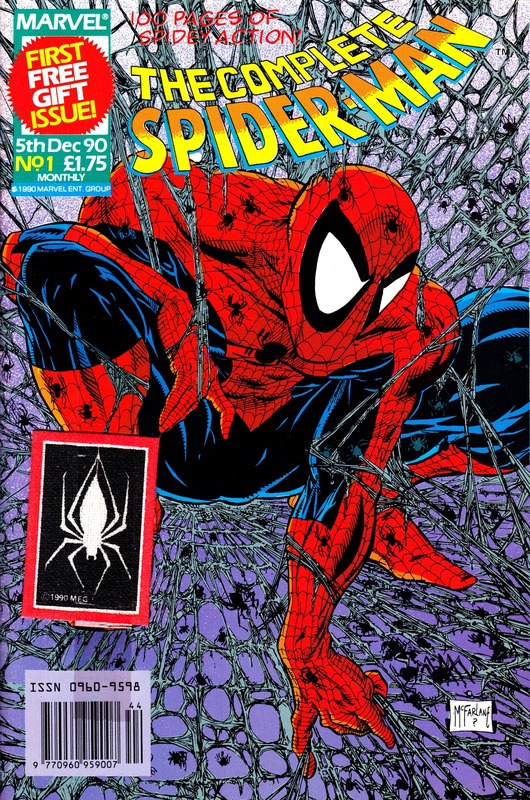 I too passed on the blacksuit spidey volume as most of those stories have now been reprinted ad nauseum. 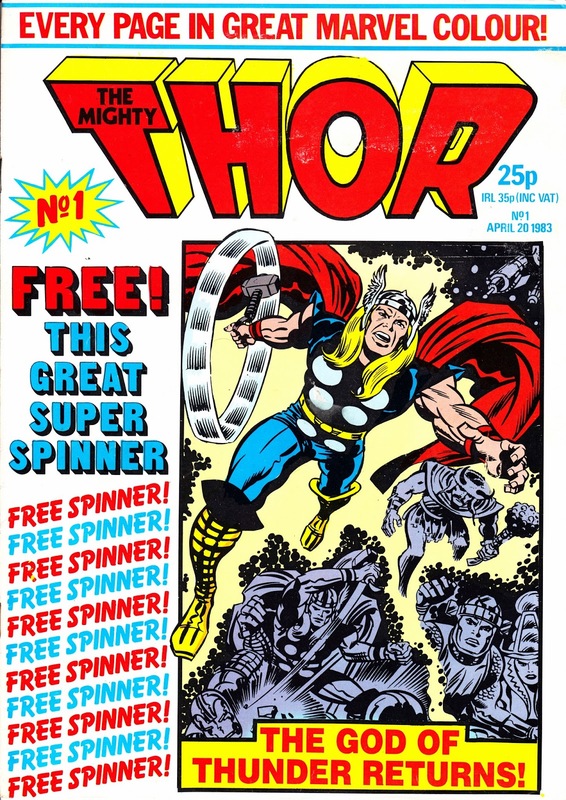 Have you noticed that the uk reprint volumes such as AVENGERS PLATINUM are much cheaper ? They too have some nice supplementary material. 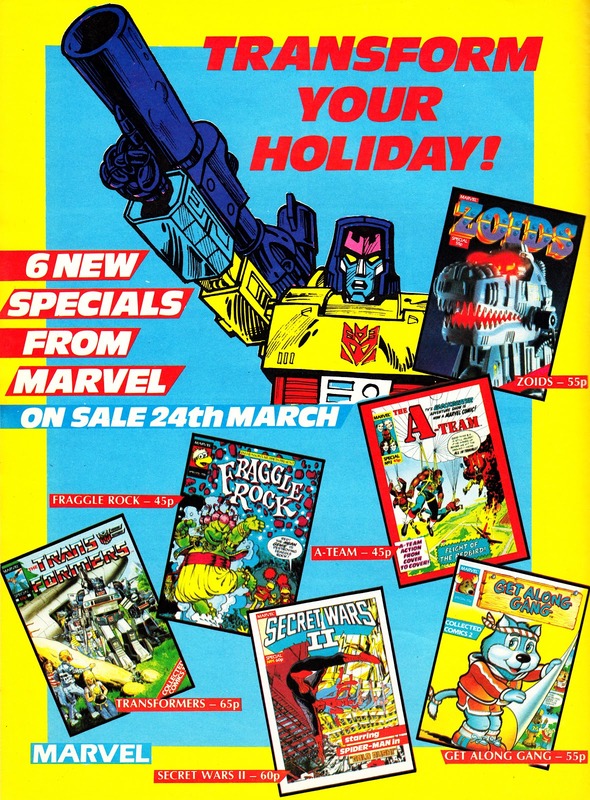 I don't suppose you know if there will be any further transformers uk volumes..? 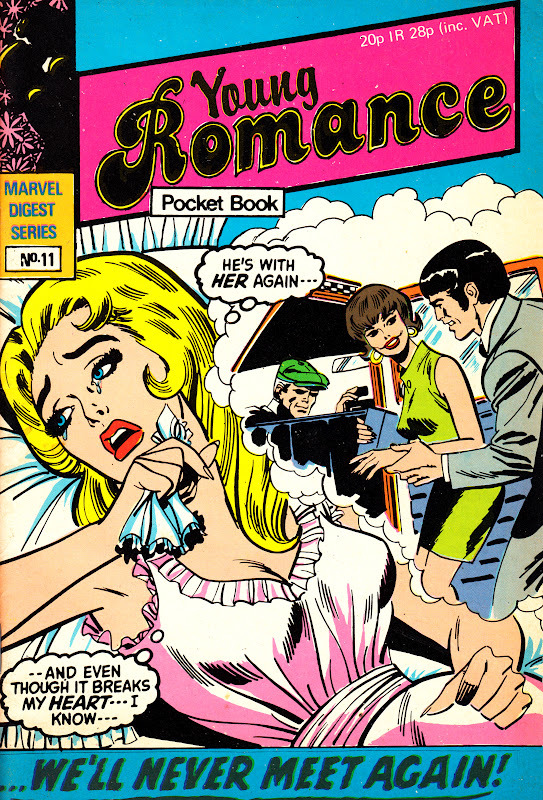 I've yet to see those pocketbooks ,they sound good. 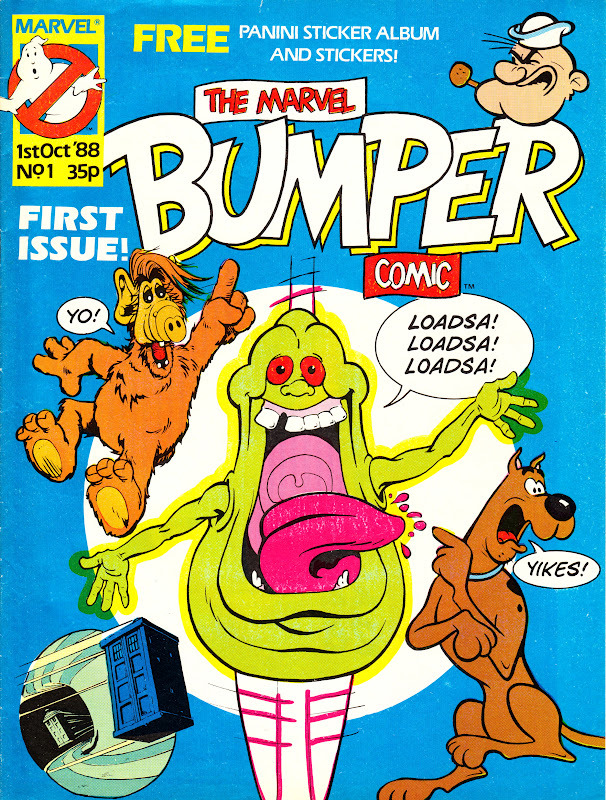 slow, i dont suppose you have seen the new dr who adventures in wh smith or elsewhere..? There is no sign of it here in any shop so this must be a knock-on effect of the change in publisher. 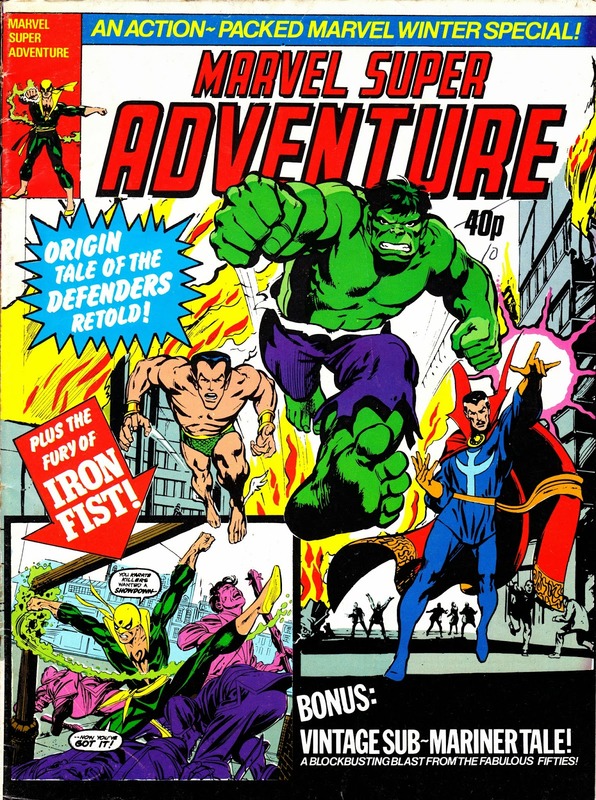 these are very nice art and text books on the two avengers if a little pricey. 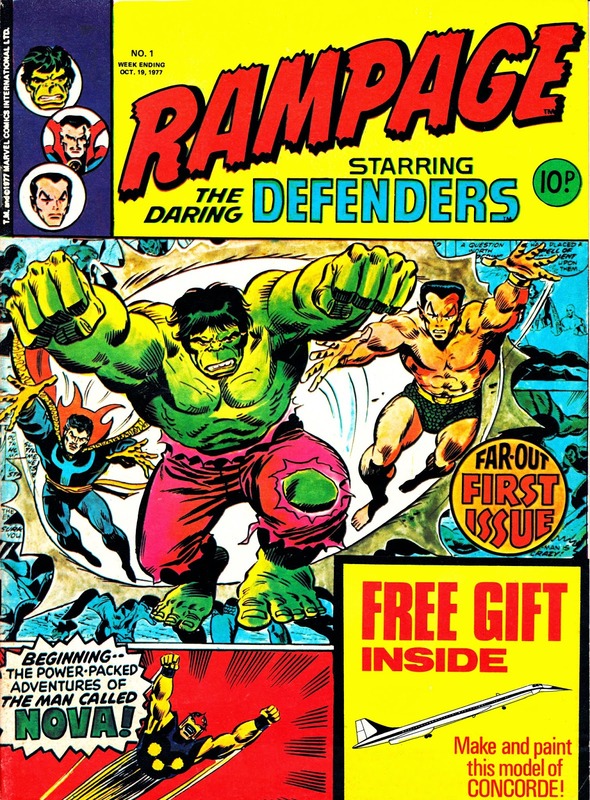 As the title implies, a very nice one-shot mag on the avengers filled with art and text features. 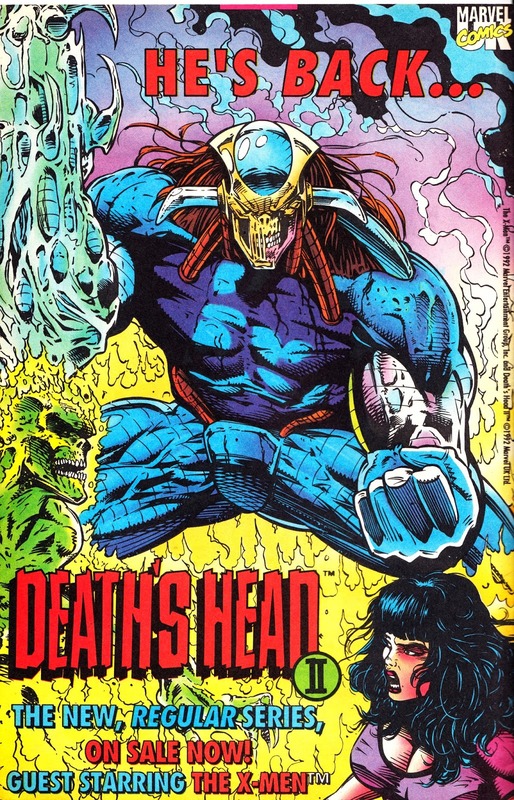 Never got this before but this issue has some lovely art of skeletor. Slow, found another- Rugrats 22/5/96 - 80 issues! Thanks for this. 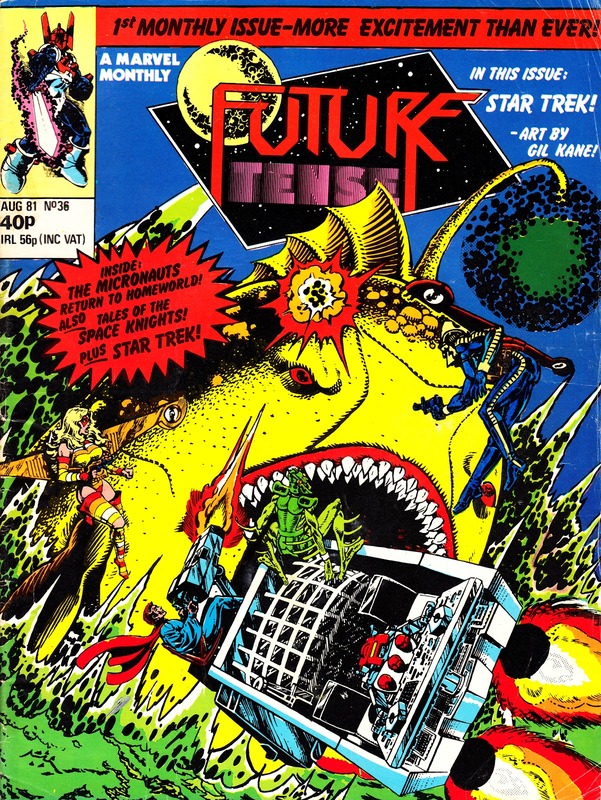 Funnily enough, I found some of the early issues in a London store recently so I bought the first one for future inclusion on STARLOGGED. Once I get some time to get the scanner out again. 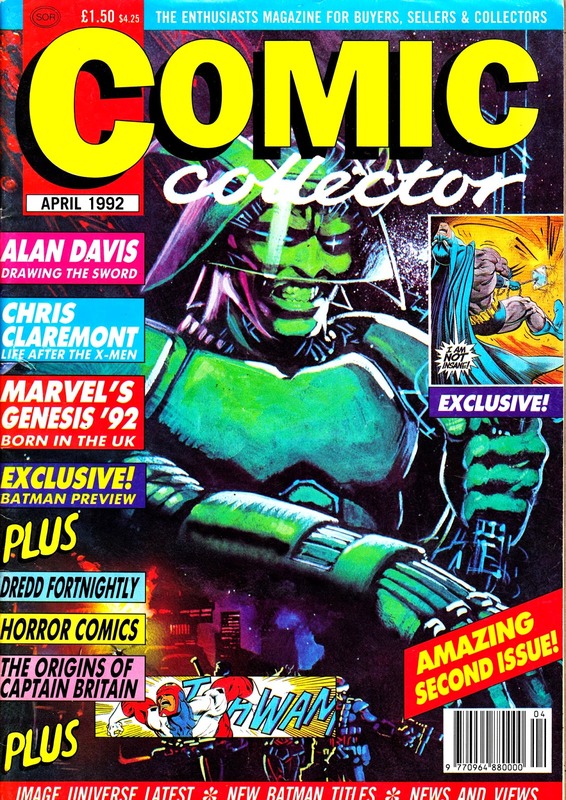 80 issues is pretty remarkable for a late-entry M-UK book. 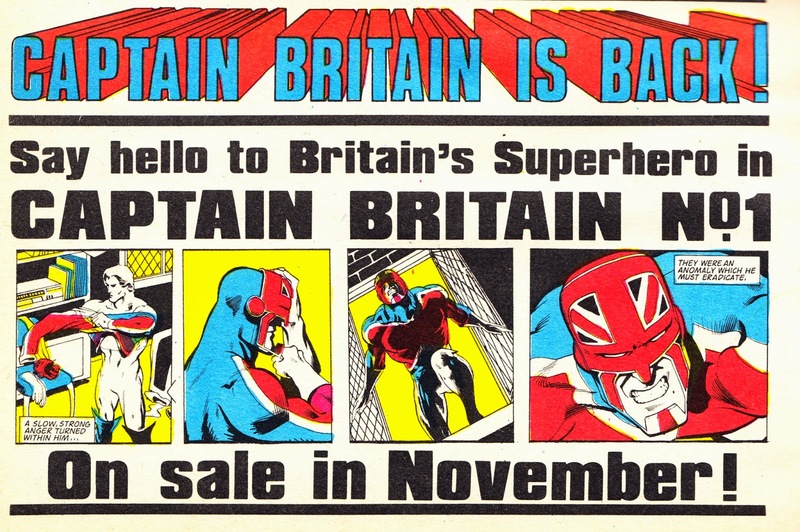 That launch date is just on the cusp of the British Bullpen closing so it even outlasted the company! 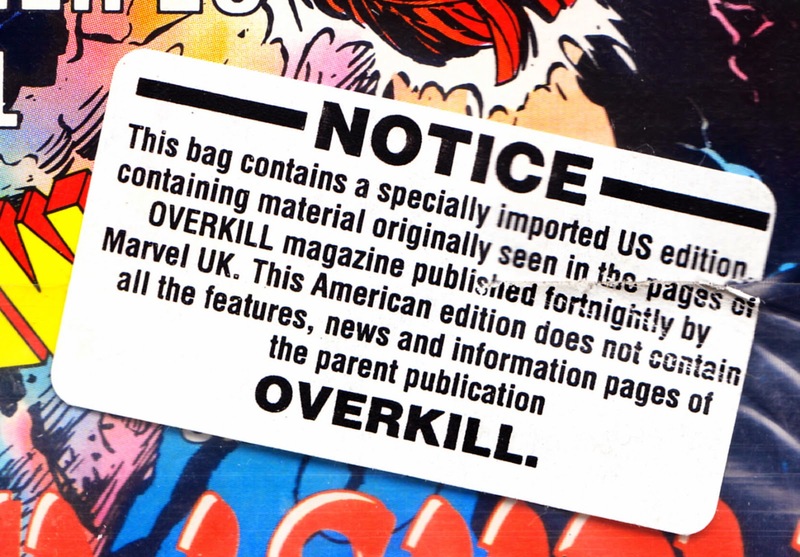 I have one question about the MARVEL BOOKS imprint you refer to in the text: what is it exactly? 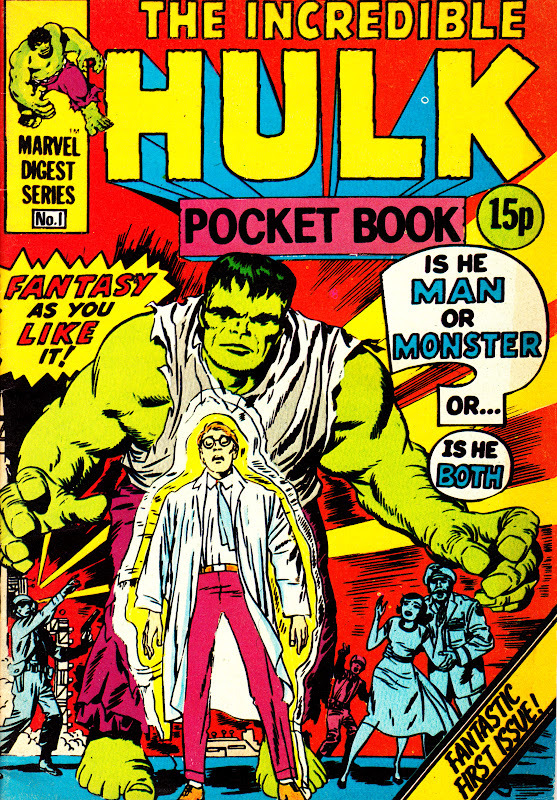 Or, better, what do you mean when you say MARVEL BOOKS? 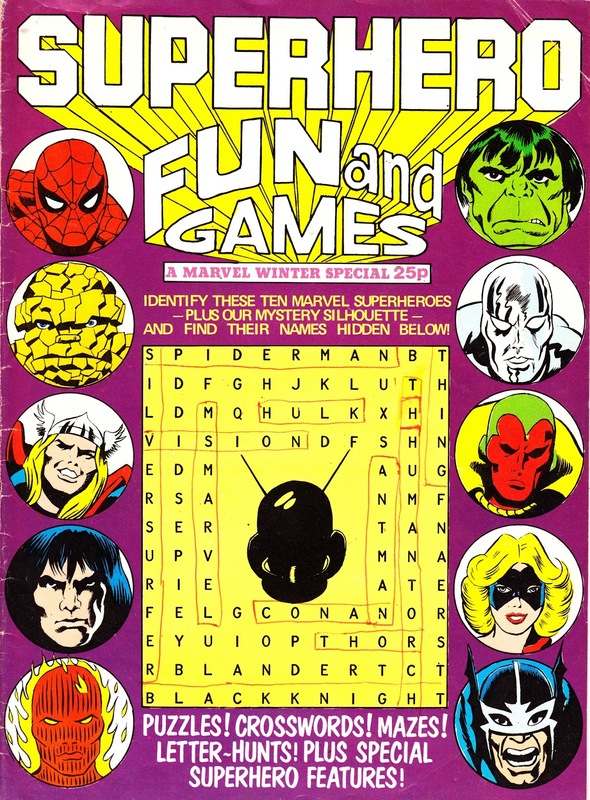 Are you referring to the Marvel U.S. imprint active in the 1980s under which Marvel published books for children (illustrated books, coloring and activity books, books with simpler stories inside etc.)? 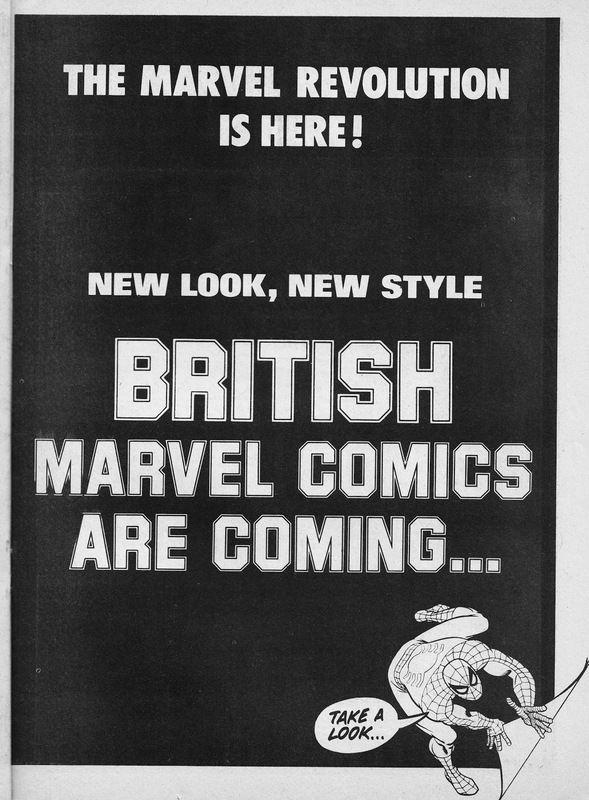 Are you referring to this Marvel U.S. imprint and implying that it also published books in the UK, or do you mean that there was an imprint of Marvel UK which was also called 'Marvel Books' and which published pretty much the same kind of material as the U.S. one? 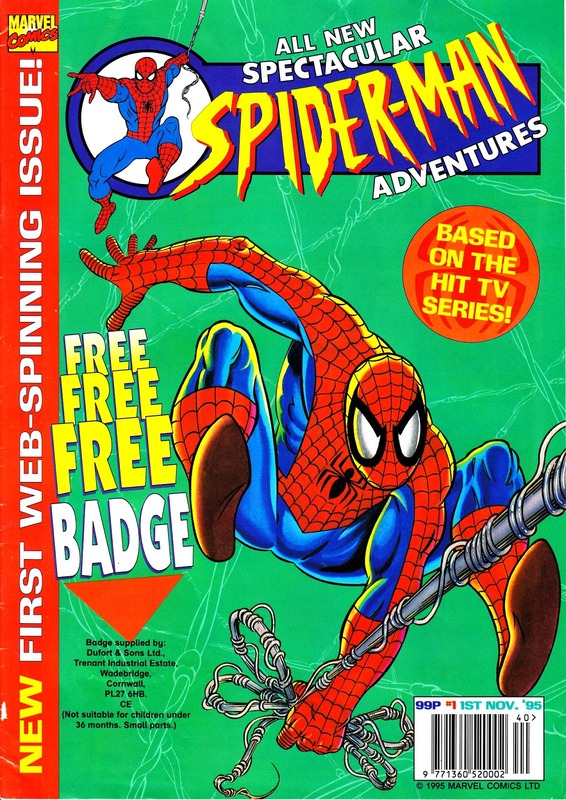 I ask you this because I have done some research and I've found plenty of TPB/softcover volumes (and also magazines) for children published by Marvel UK in the late 80s, but virtually NONE of them (except the slightly-less-than-comic-book-sized THE AMAZING SPIDER-MAN: THE GREAT RAIN ROBBERY... do you know it?) 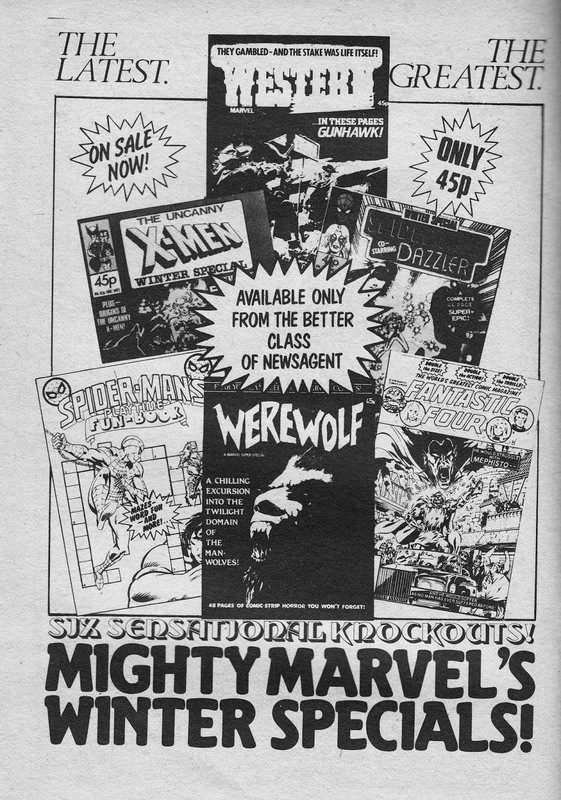 spot ANY 'Marvel Books' logo or any indication whatsoever that it was published by 'Marvel Books'. 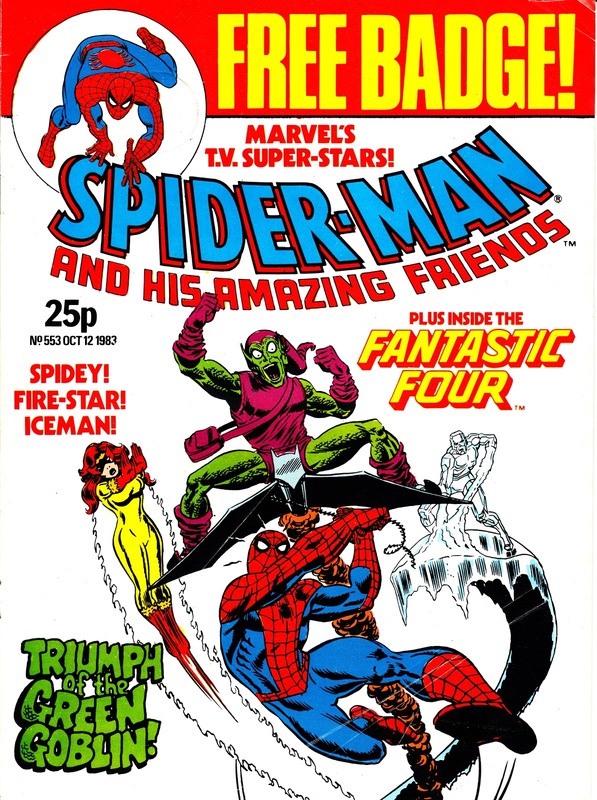 Where did you find that Marvel Books was an imprint of Marvel UK? Do you have any (even small) info about it? 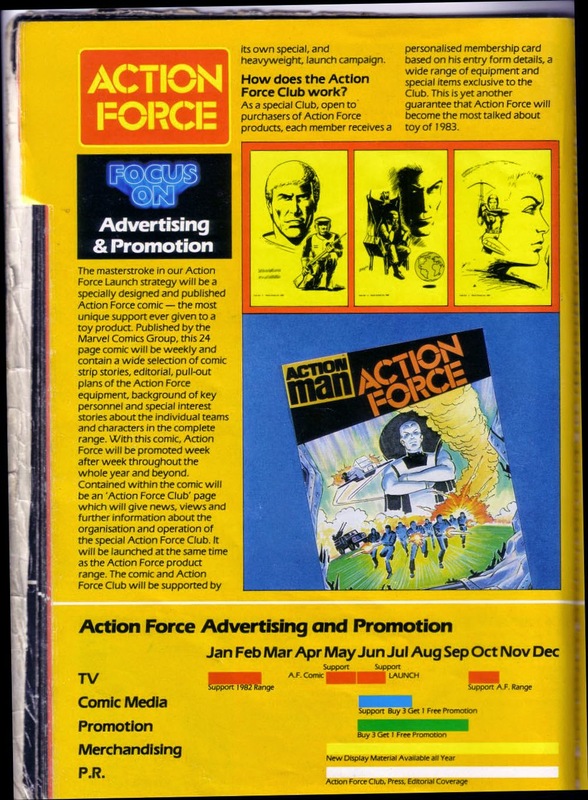 The specific example that I'm thinking of, which (if memory serves) were indeed badged as MARVEL BOOKS were two ACTION FORCE storybooks. 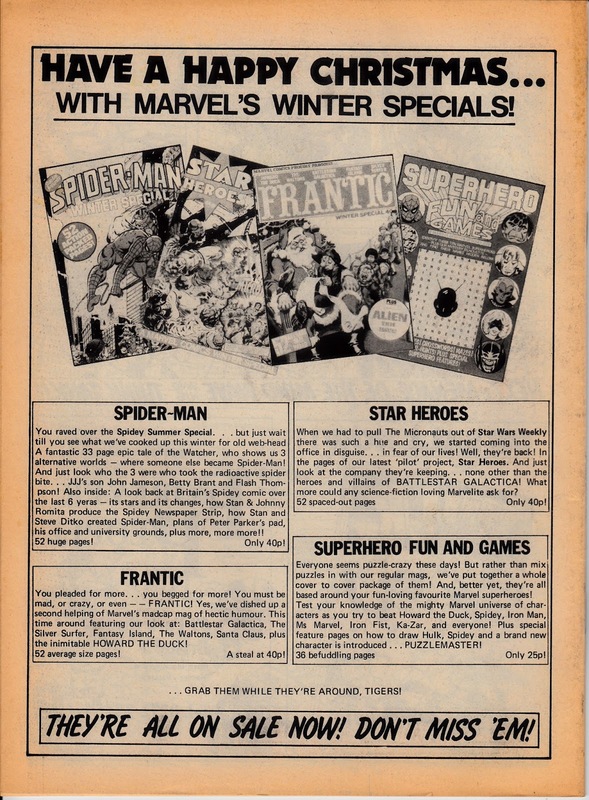 I don't (and never did) own the books themselves but I remember seeing the House Ad and I'm pretty sure that they were specifically Marvel Books. 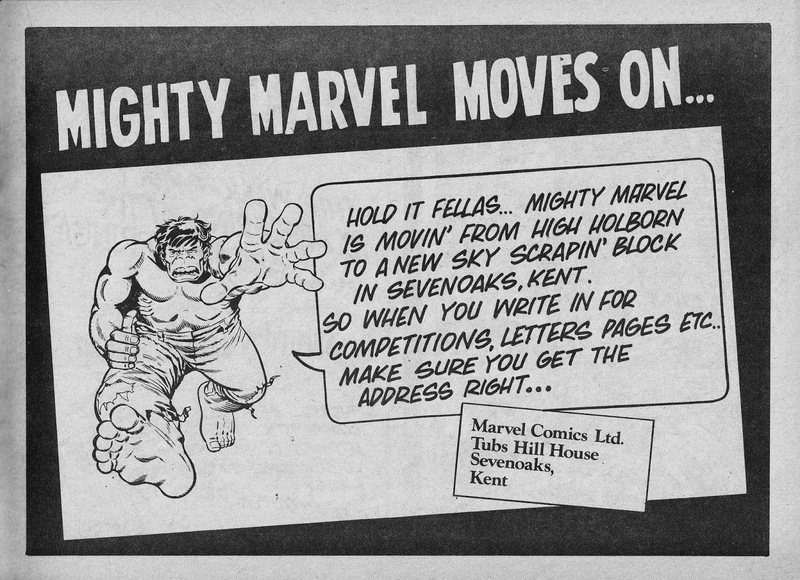 I don't have the House Ad scanned but, when I stumble across it, i will add it to the archive. 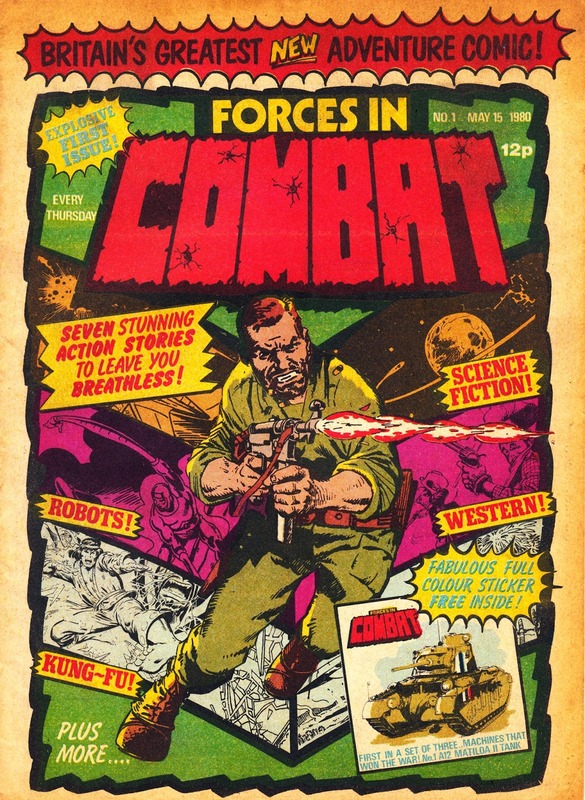 I don't remember the title of either of the books but I'd suspect that they were originally published as GI Joe prose in the States and reworked to become AF when reprinted in the UK. 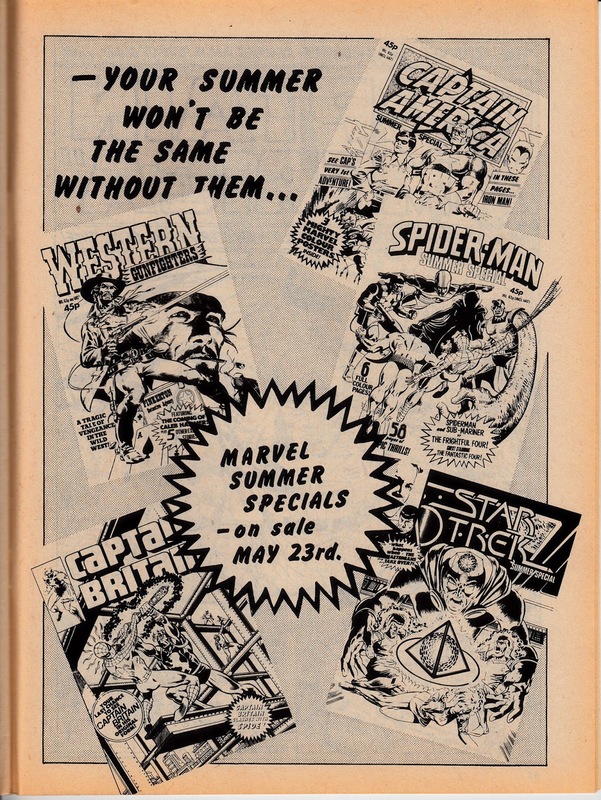 Marvel UK were publishing their own annuals by the second half of the decade (and other books as well) without a partner but these weren't branded Marvel books although the Marvel brand did appear. Last month's (?) EMPIRE also had a (shorter) feature on the company.. pegged to the new documentary. I want to see the rival THE GO-GO BOYS documentary as well... but the disc release is ridiculously expensive at the moment. 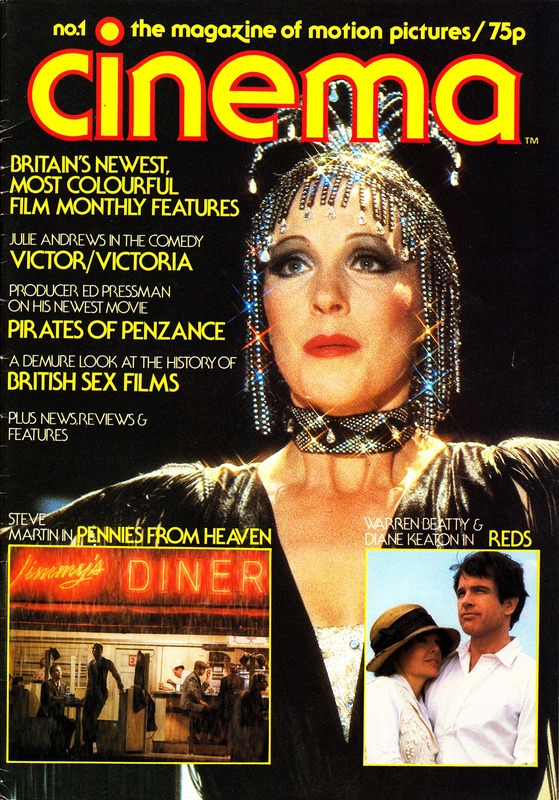 The third volume of CINEMA SEWER has an excellent rundown of Cannon's film fare and is worth getting. 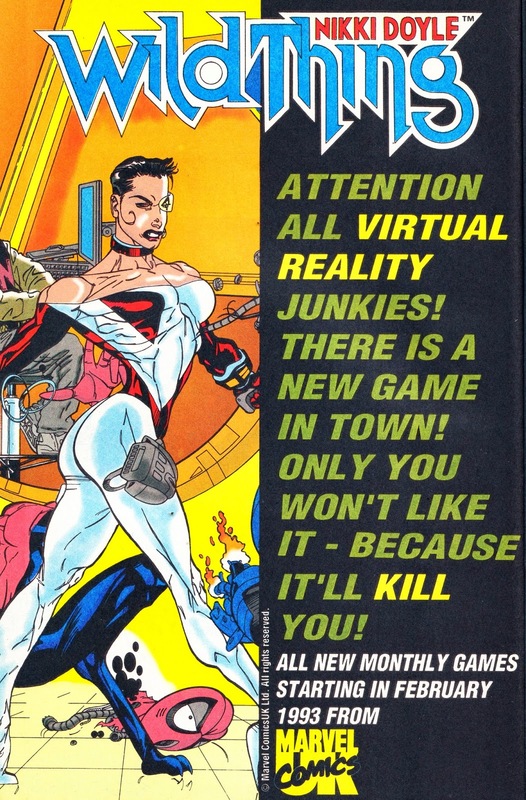 However, it comes with a massive warning that much of the content is pretty explicit stuff so it might not tickle your fancy... or anyone else you happen to share a home with. 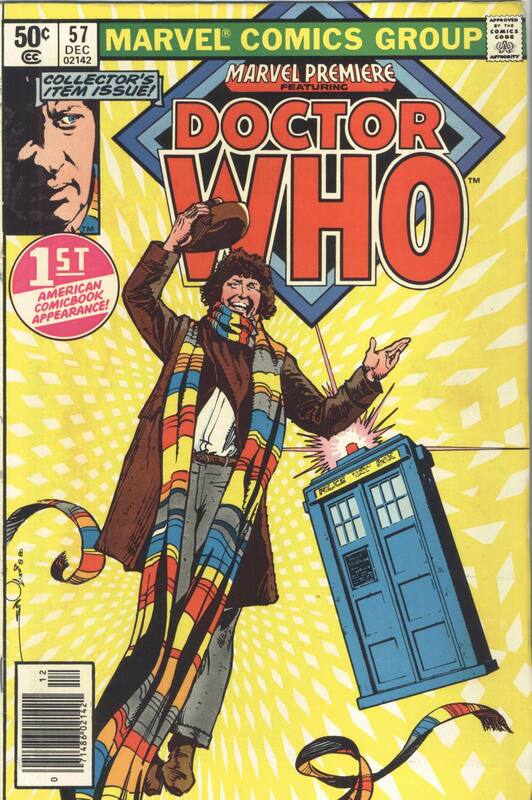 I have an idea that I did see DOCTOR WHO ADVENTURES somewhere... although I'm not sure where. 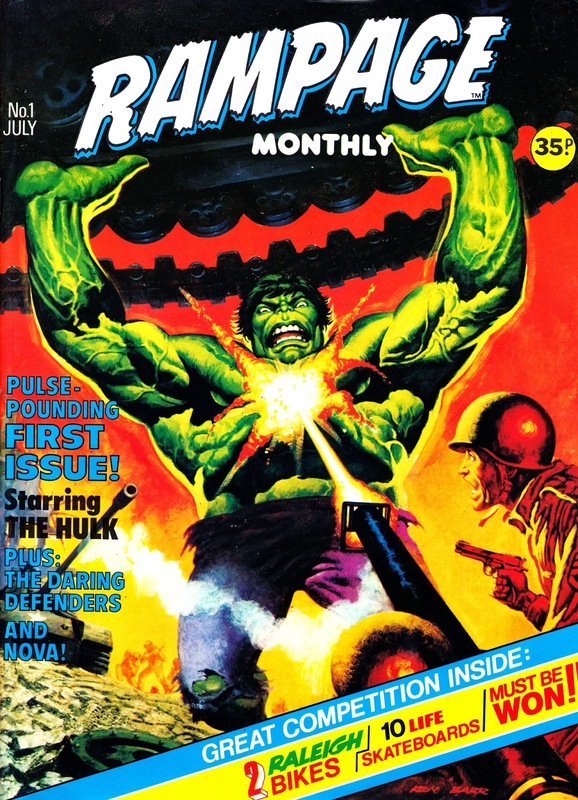 It vaguely registered when I saw it but I didn't check to see whether it was the last issue from the previous publisher or the first issue from Panini. 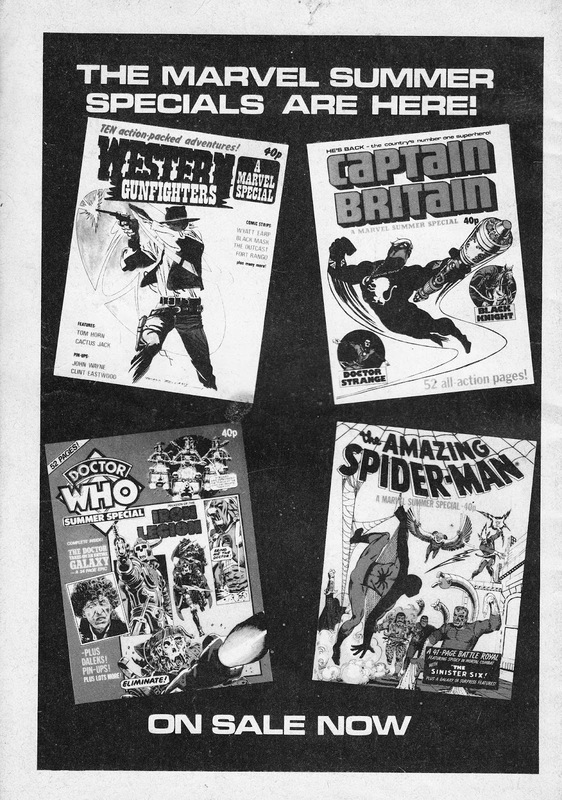 I bought the early BBC editions but I've not picked up a copy for many years. 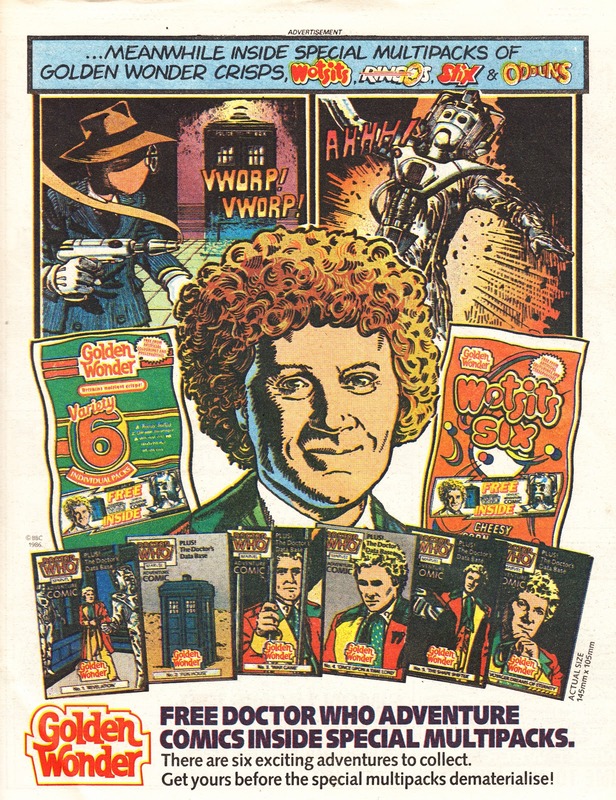 its a mystery as to why my shops have stopped getting dr who adventures, maybe a distribution problem...? 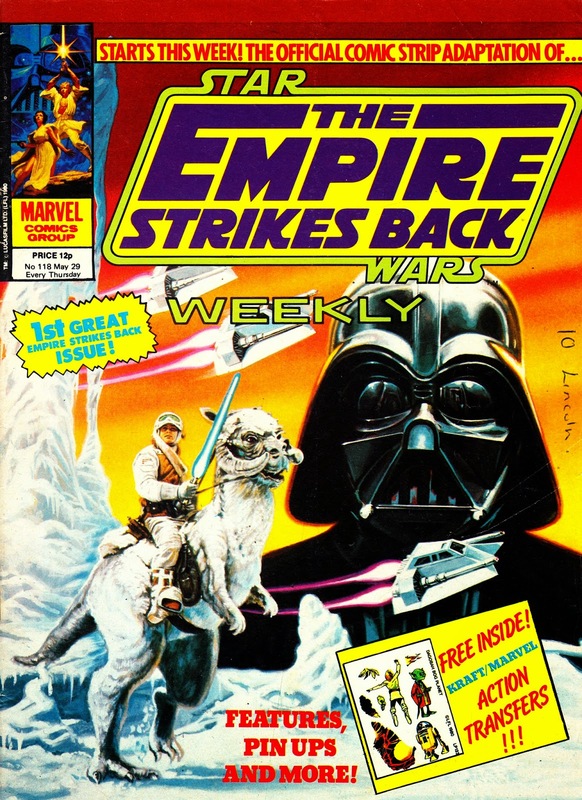 I dont remember that EMPIRE article, must have a look later and thanks for the heads up. 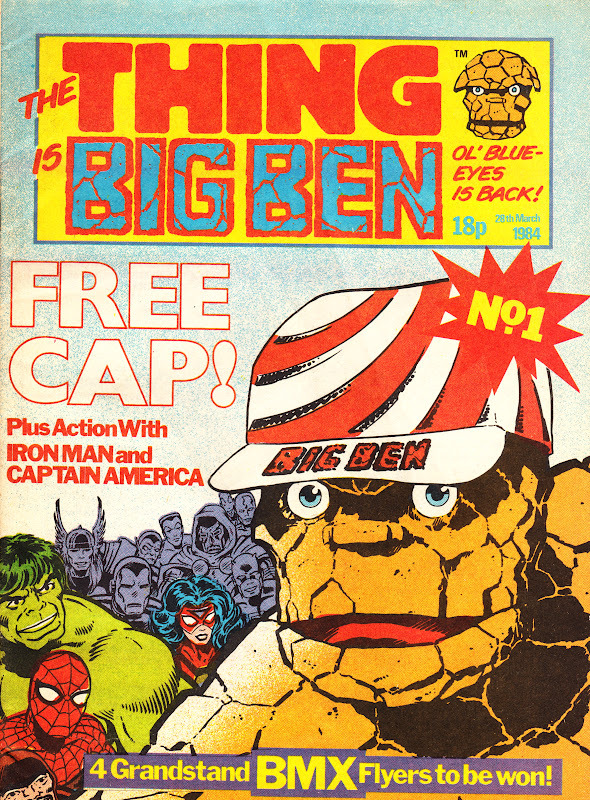 today, my forbidden planet was giving away lots of freebie tie-ins with the new secret wars comic, stuff like cards, posters and so forth. Hurrah ! 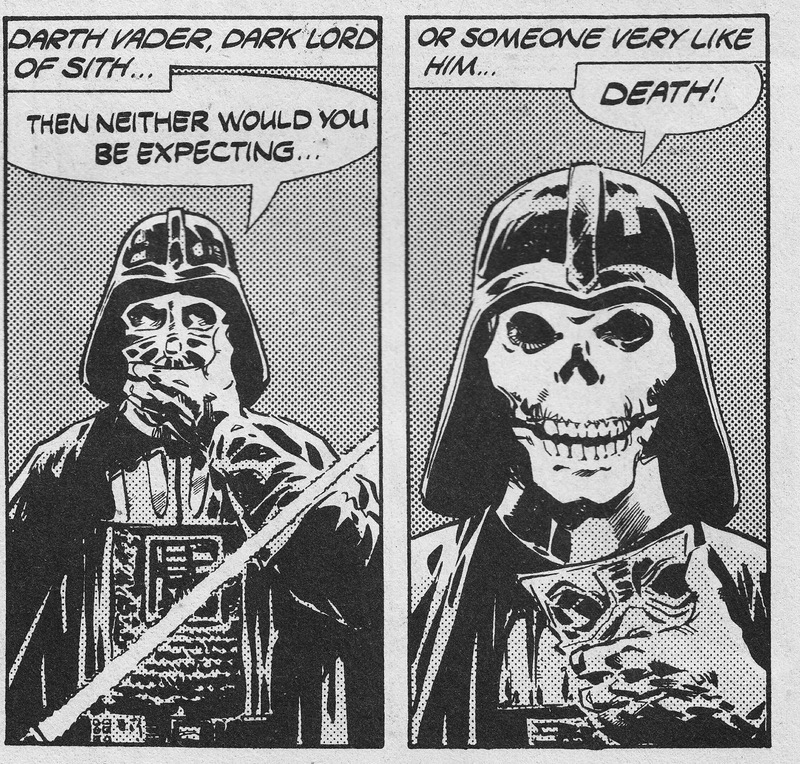 slow, have you come across a book called ULTIMATE STAR WARS ? I've yet to see it here. What's ULTIMATE STAR WARS? 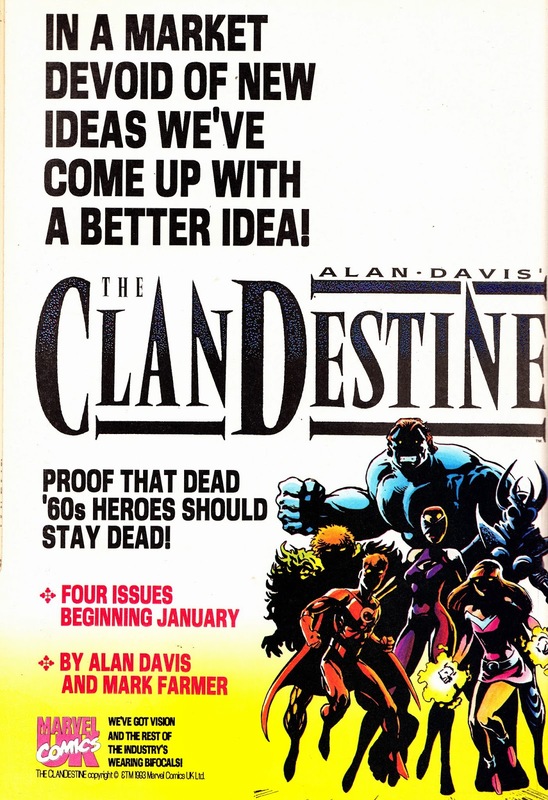 I saw a new DK Book mentioned in the latest issue of the SW magazine. Is that the same thing? 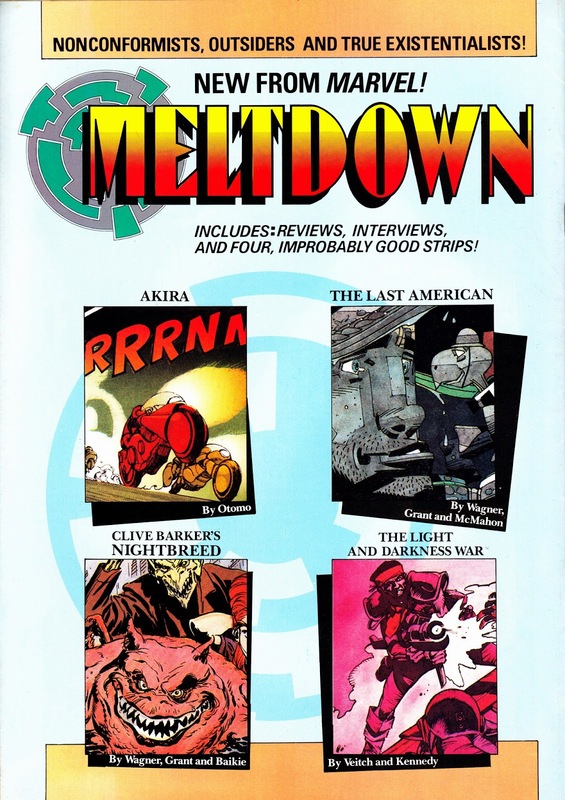 That sounded suspiciously like a revised compilation of the material from some of the other DK books. 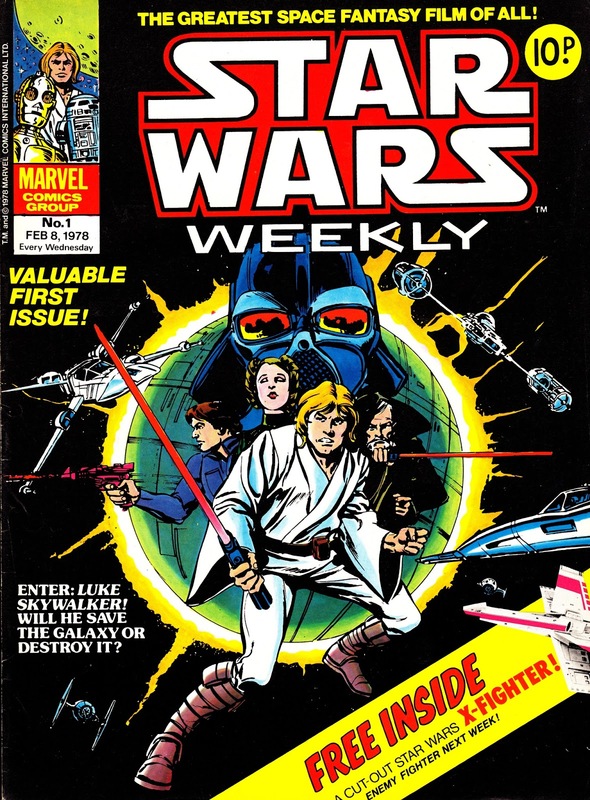 There is a new SW bookazine being carried by WHS which uses material (around the six films) from the previous books. I'm assuming that's NOT the same thing although maybe some of the contents overlap? 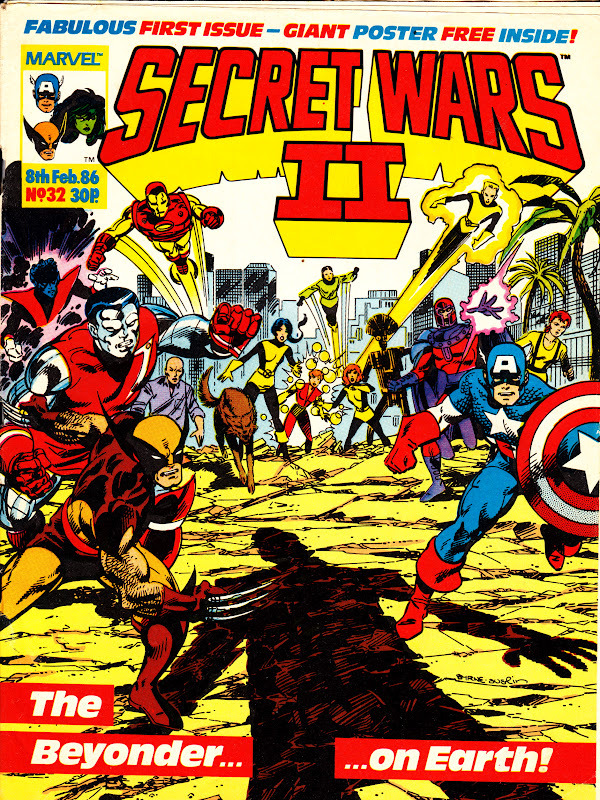 I got the SECRET WARS comic yesterday... but I've not read it yet. 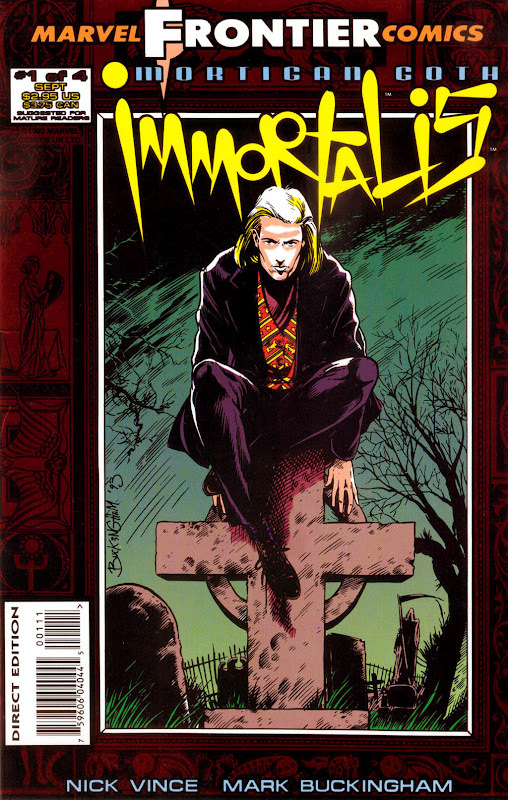 I was tempted by the trade paperback (a compilation of the last three issues of the original and some very recent stuff) but passed in the end. I was similarly tempted by the new STAR WARS hardback but I've seen the same material reprinted so many times that even a new colour scheme couldn't quite tempt me. 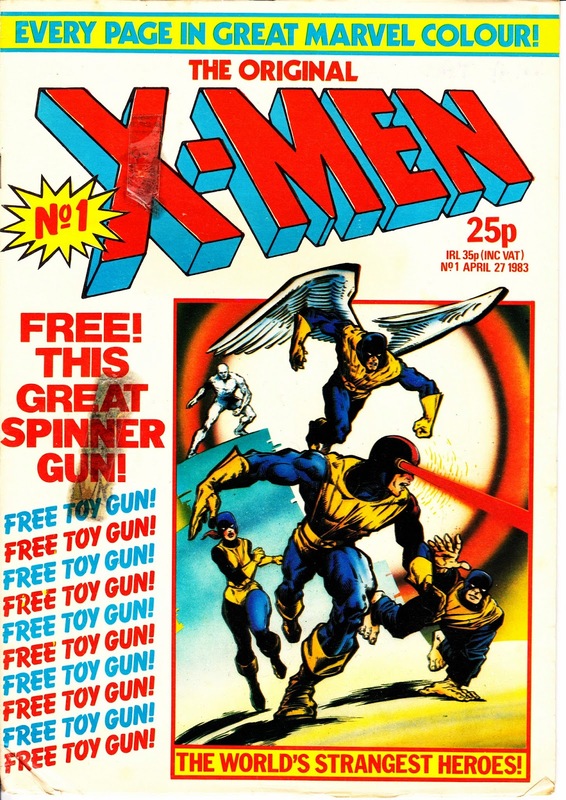 the previews site listed this as being out so it was very disappointing not to find it in the shops. 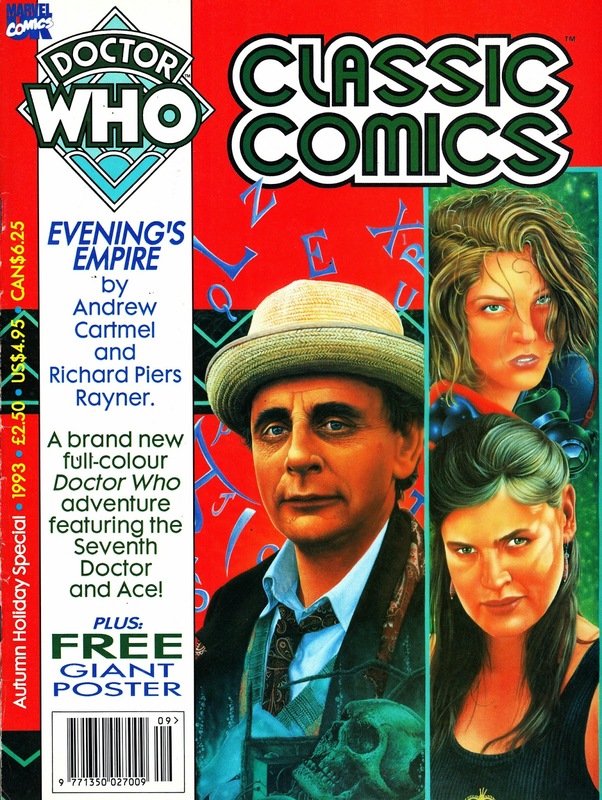 my local newsagent finally got that dr who adventures so it must have been delayed at the printers or in distribution. 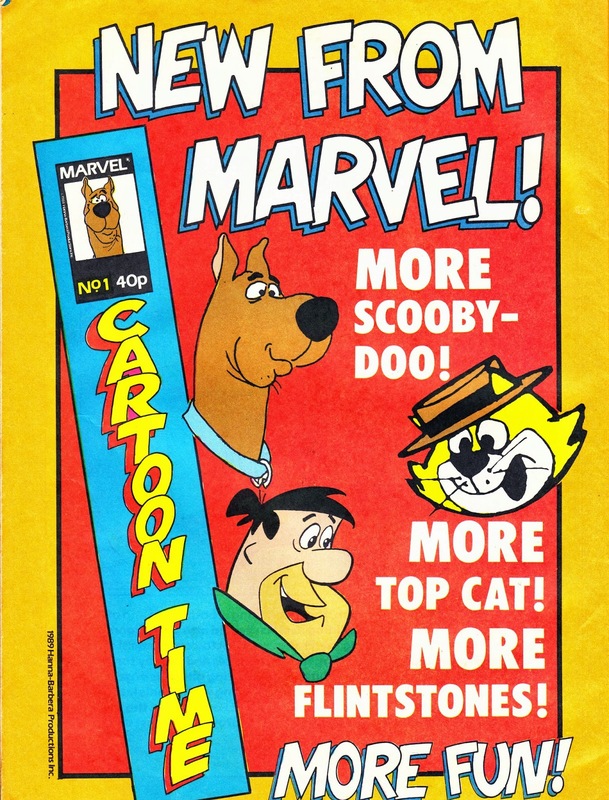 as the comic makes clear ,this is to cash in on the current popularity of the new tv show. 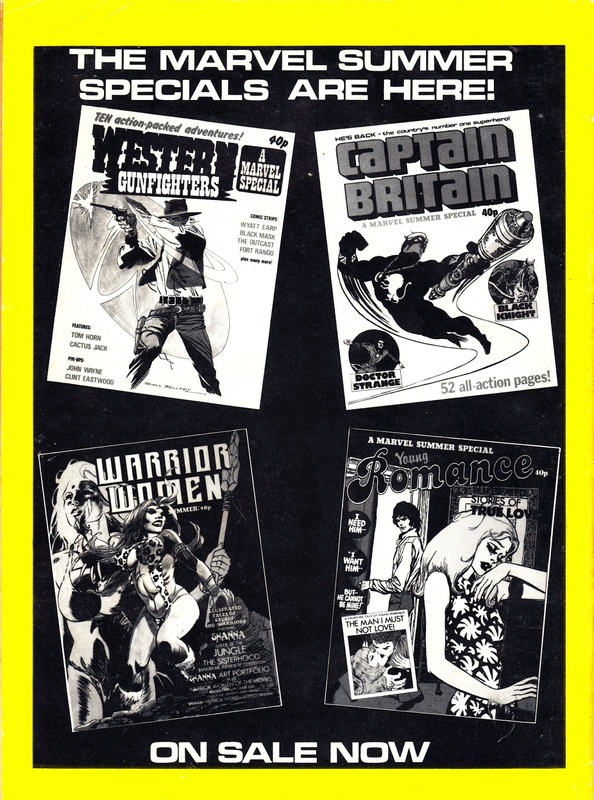 Nonetheless, a very nice package of uk reprints. Aha! 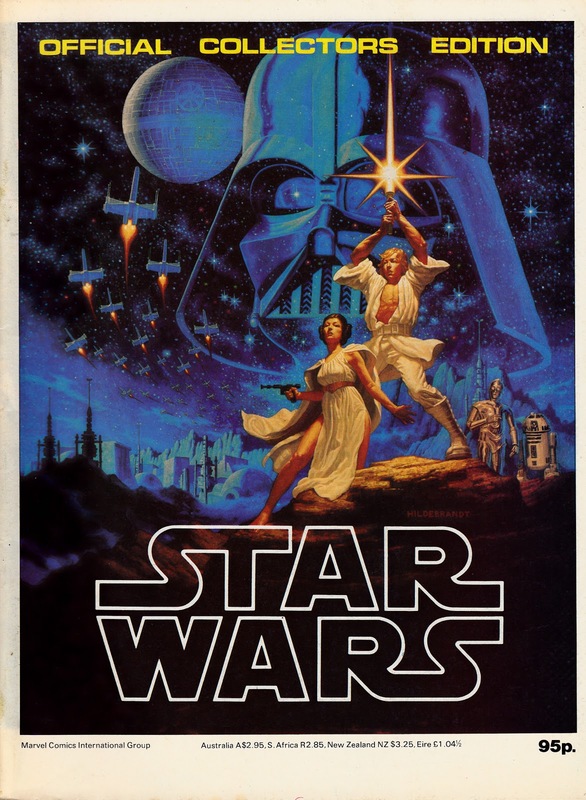 The ULTIMATE STAR WARS book is the one mentioned in the new issue of the magazine... and does indeed look very nice. Thanks for the link to the video. Amazon UK only has it available from third-party sellers at the moment.. perhaps there is no UK edition yet. 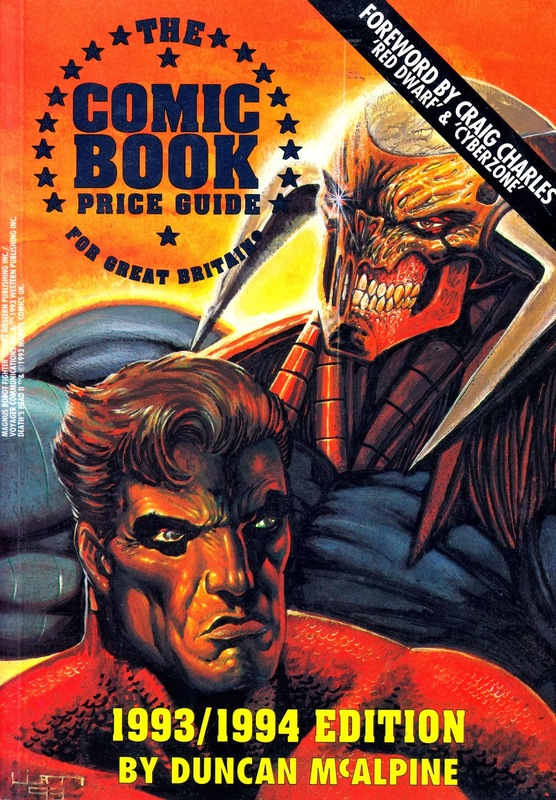 I was amused to see that DK have published a new, updated, edition of the DC COMICS chronology at a substantial cover price AFTER they released a far cheaper revised edition (same contents) which WHS have been selling for a fiver. Smaller (so it devours less shelf space) and a lot cheaper. LOL. 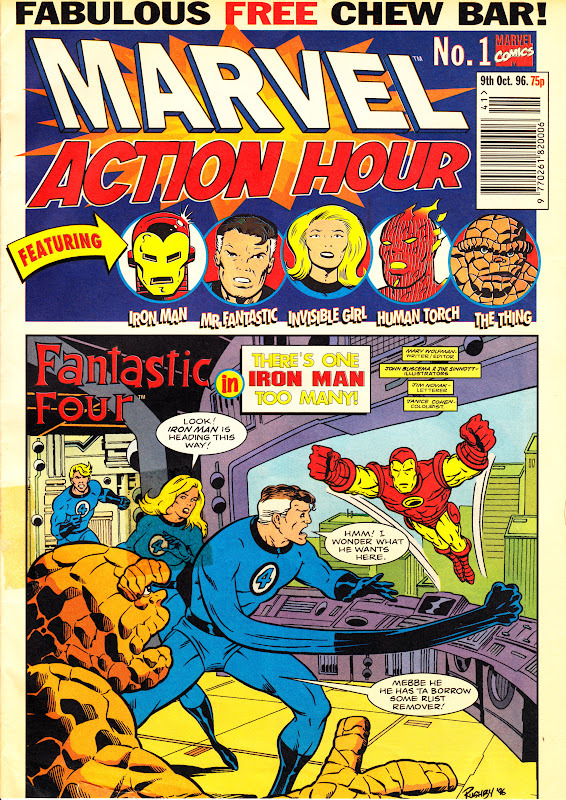 WHS are also carrying a new edition of the Marvel chronology for £5 AND some branches have been selling the STAR WARS version for £3! Cheaper than a magazine. 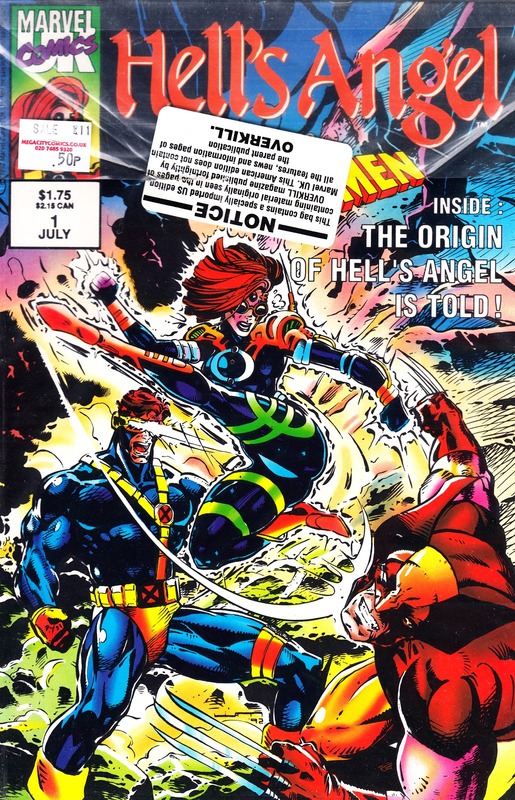 I spotted THE FLASH one-shot the other day and grabbed a copy. 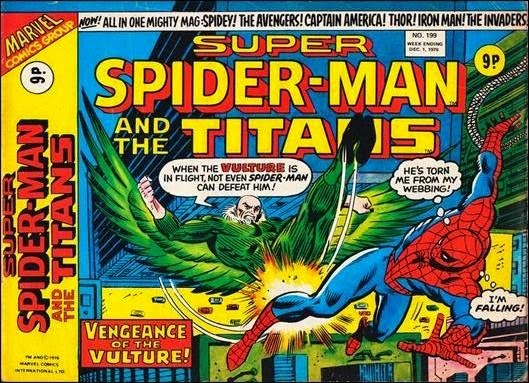 I've not had a chance to really look at it yet but I did see that one of the stories continues in one of Titan's ongoing DC reprint titles. 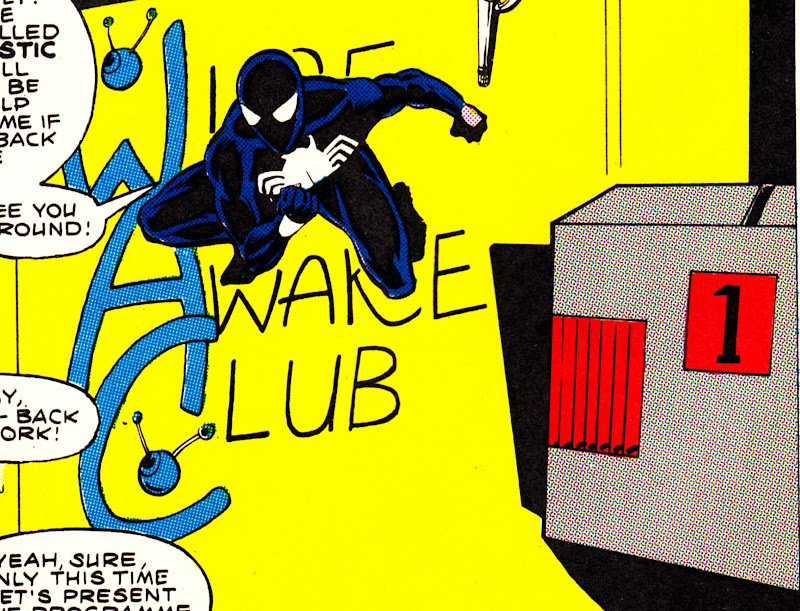 I also spotted Daredevil was back in MWOM... no doubt to capitalize on the Netflix show. 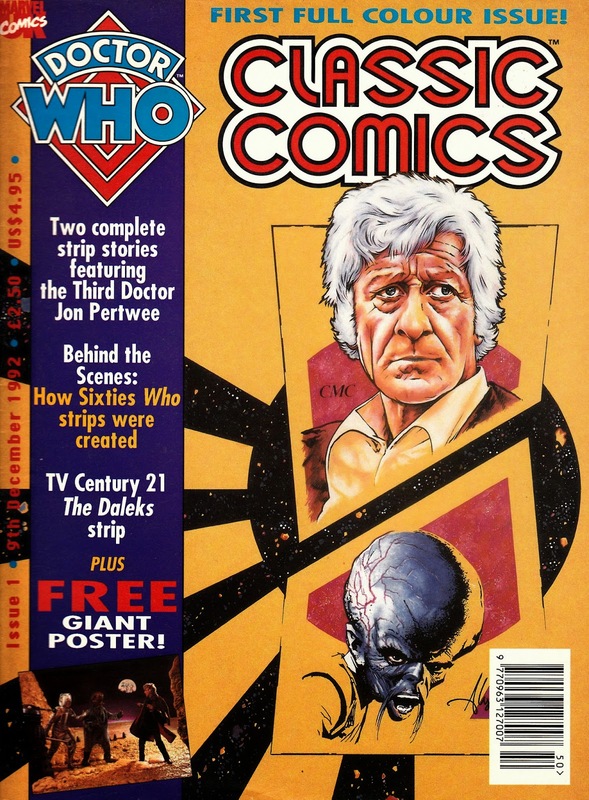 THE GOOD SOLDIER, the latest volume of DWM strip reprints from Panini, is now out in Forbidden Planet. 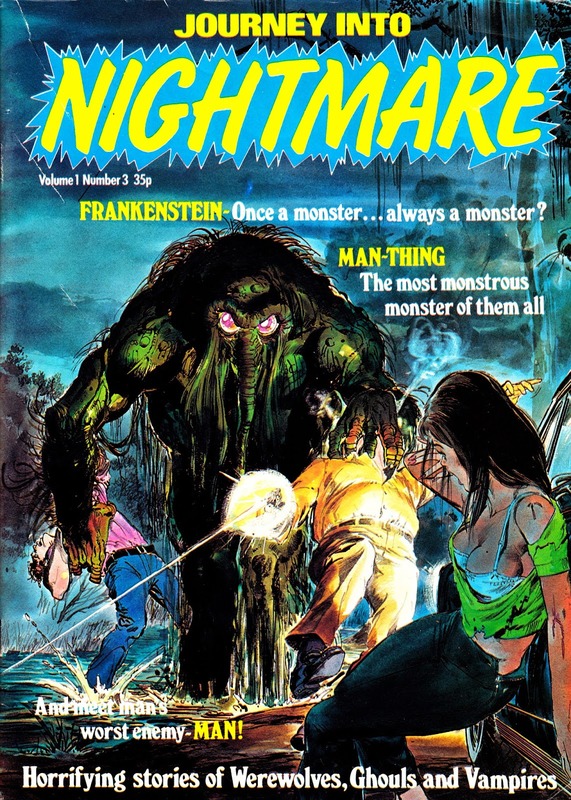 It's another excellent compilation and has great supplementary material tucked away at the back. 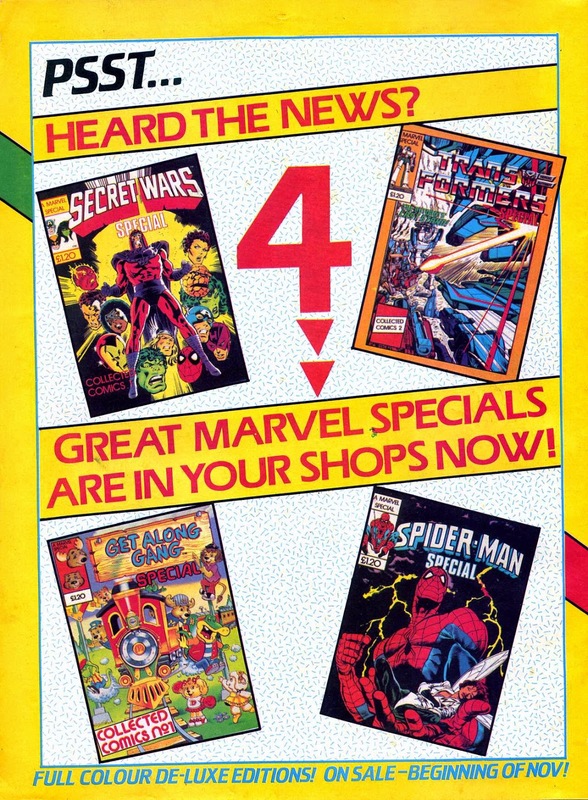 RE: the SECRET WARS goodies currently available in-store. There is also a freebie Preview Edition sampler for some of the new series spinning-off from the core series. Stores in London seem to have stacks of them to give away. 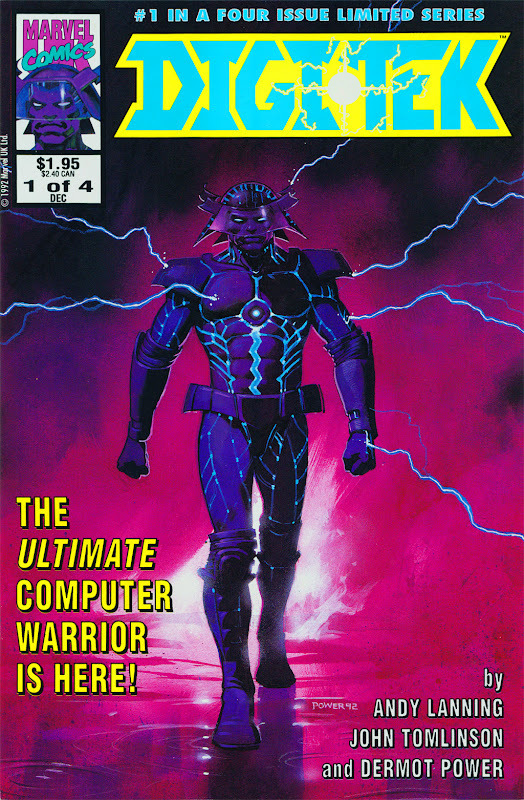 actually daredevil has been in MWOM for some time now, long before the Netflix show. 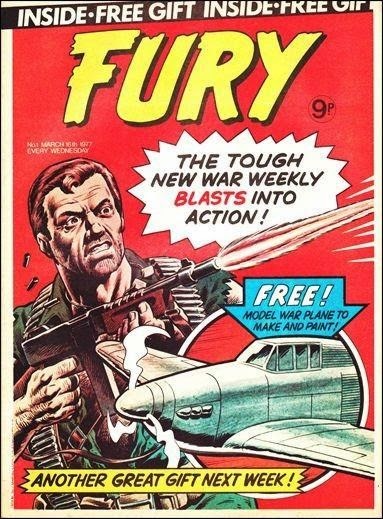 I'm still hoping to get THE GOOD SOLDIER in forbidden planet. 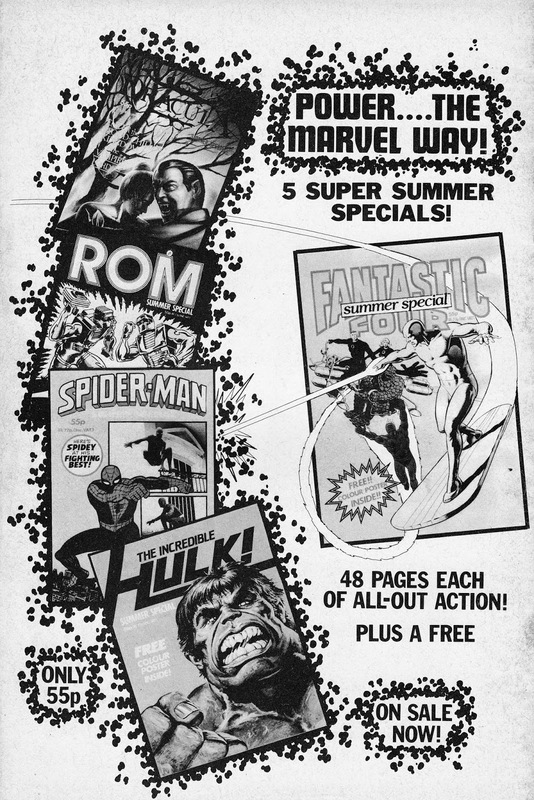 And I picked up that preview sampler along with issue 1 of secret wars. 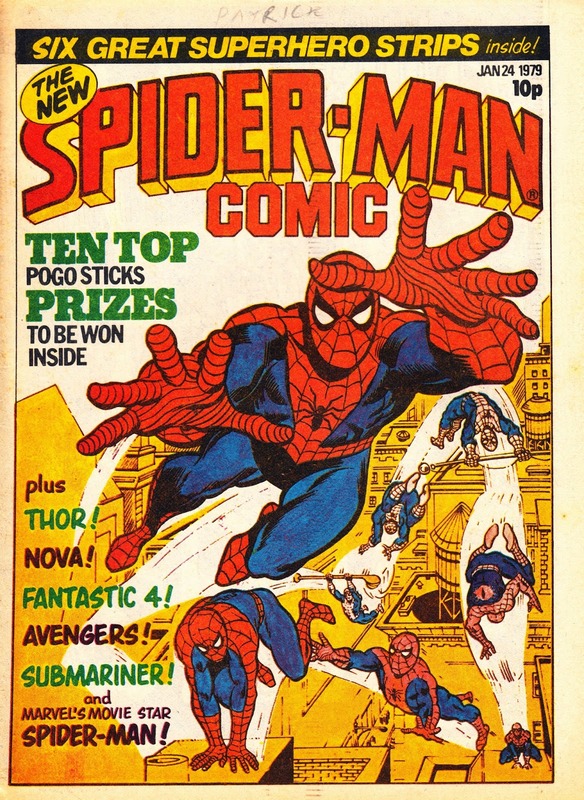 I'm loving your blogspot, especially the last post, a potted history of MarvelUK. 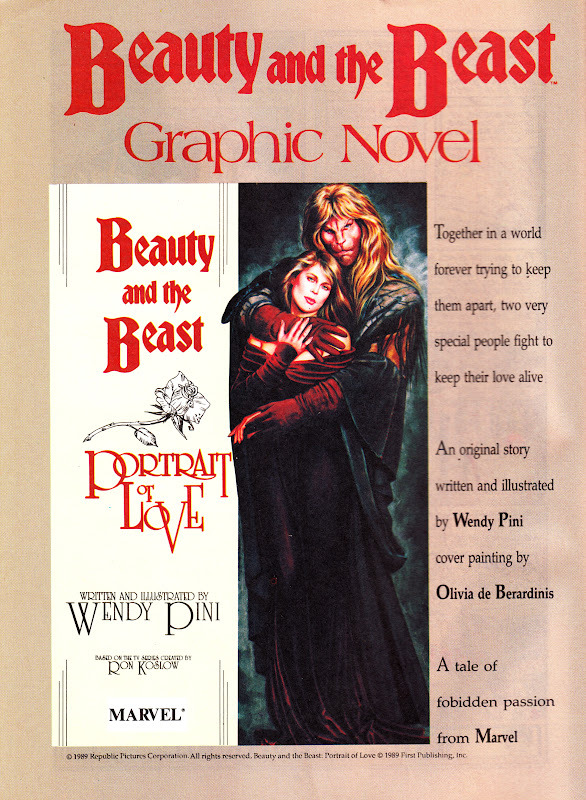 A true labour of love, a nostalgia trip through my childhood and teens, that I've read and re-read time and time again. Although I would love to read more nostalgic nuggets your last post seems a fitting conclusion. 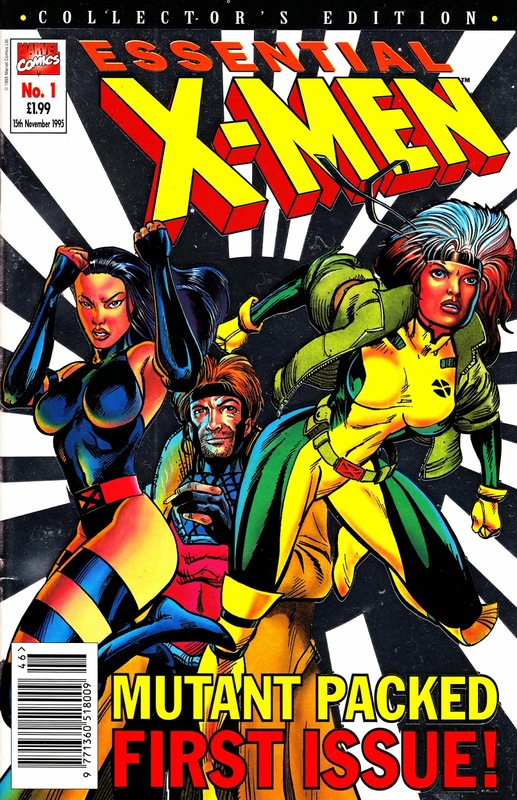 Whether or not this is meant as an end, I for one still log on to the blog for more tales from the Marvel Annex. 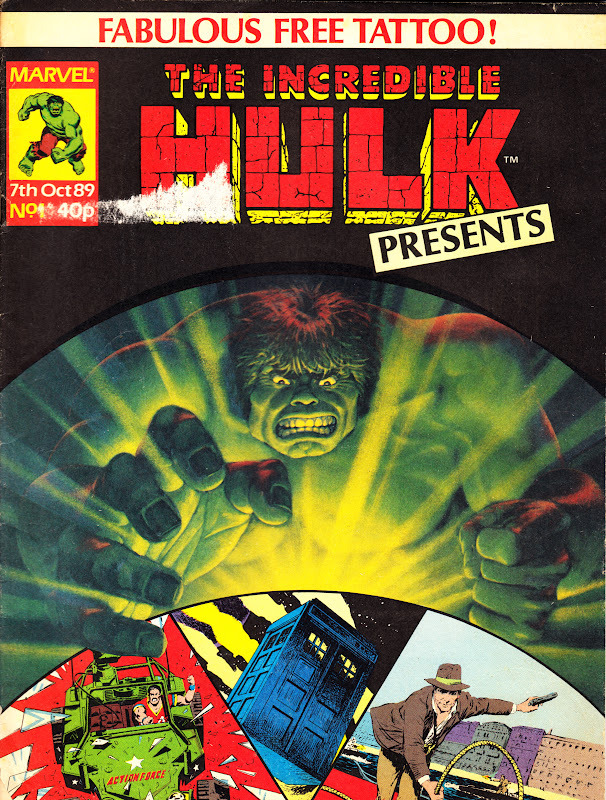 There will be more to come... although not necessarily lots more MARVEL UK (that well has been fairly well drained) in the near future. I spent Election Night on a marathon through-the-night scanning session so I'll be posting some new bits-and-bobs soon. looking forward to those new bits and bobs !